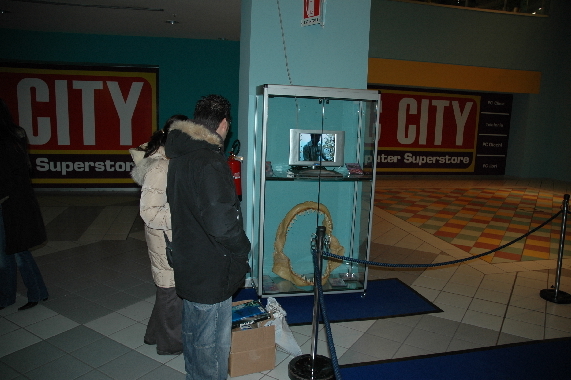 BRESCIA (ITA). 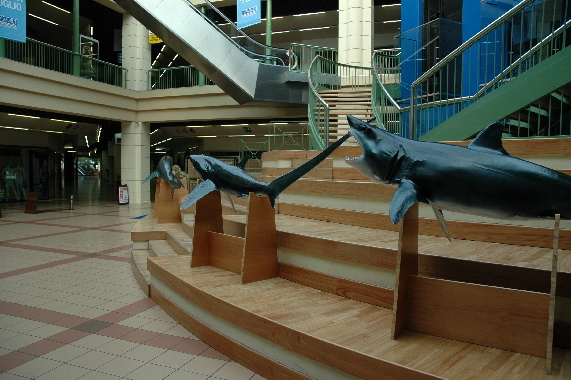 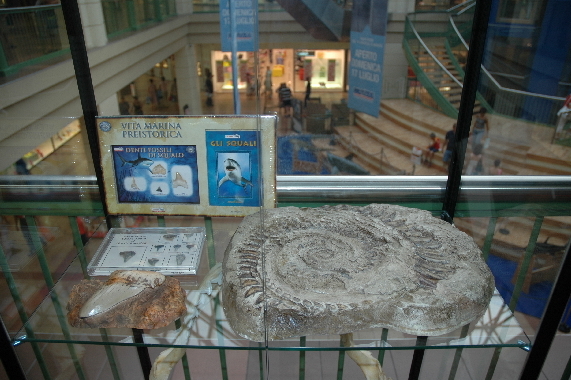 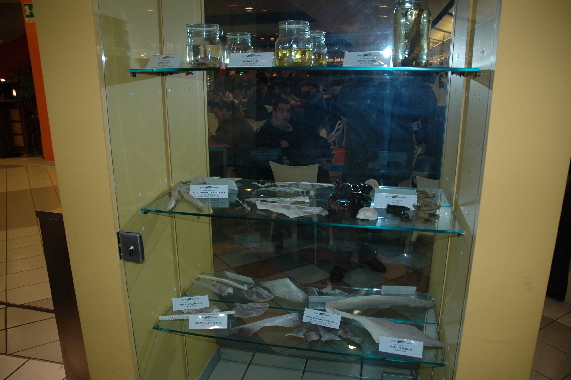 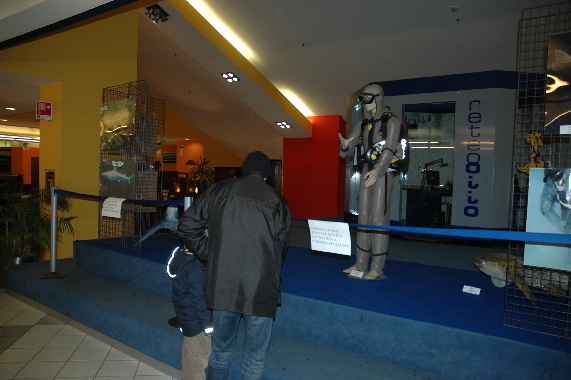 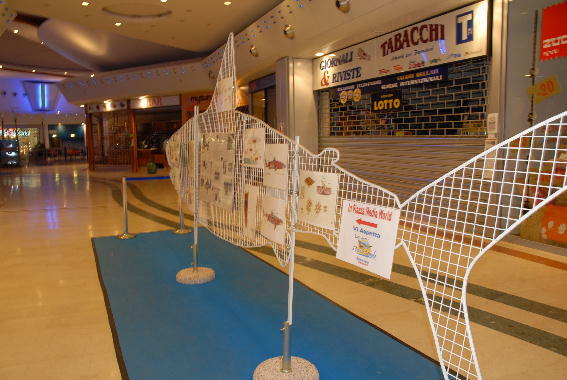 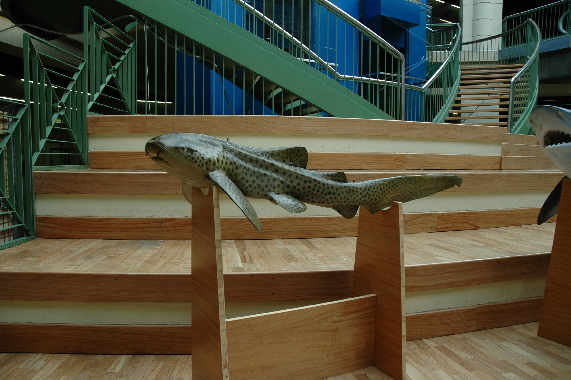 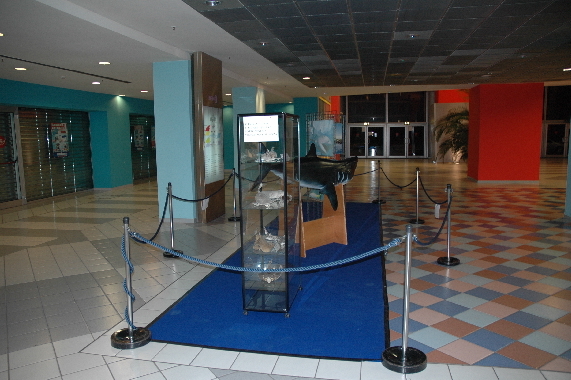 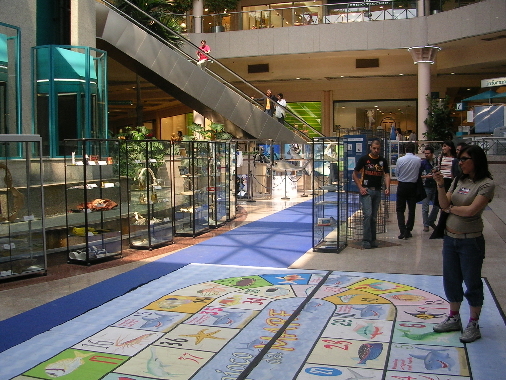 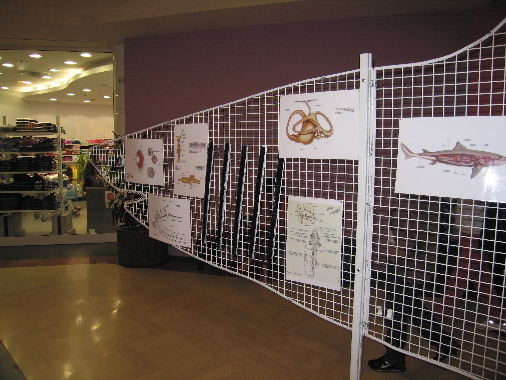 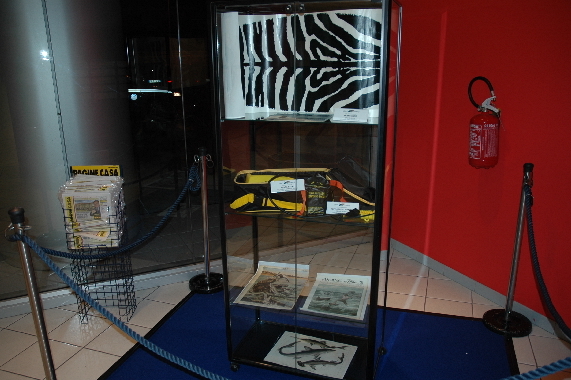 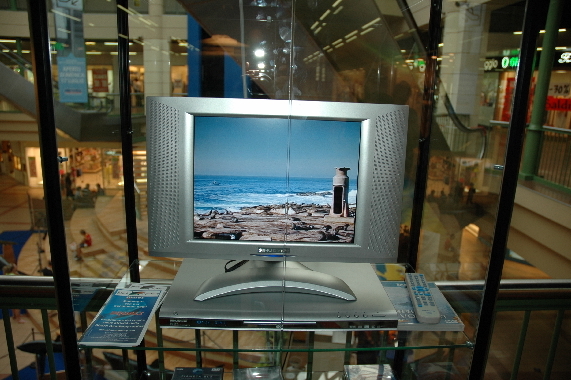 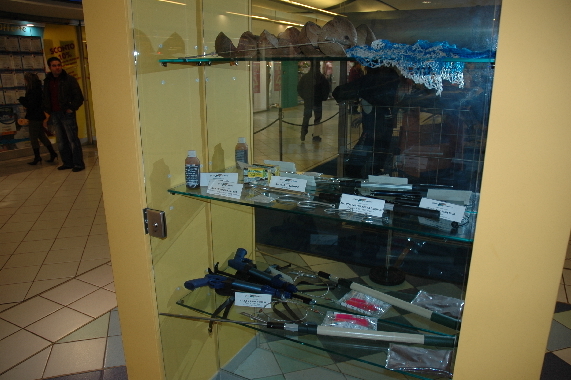 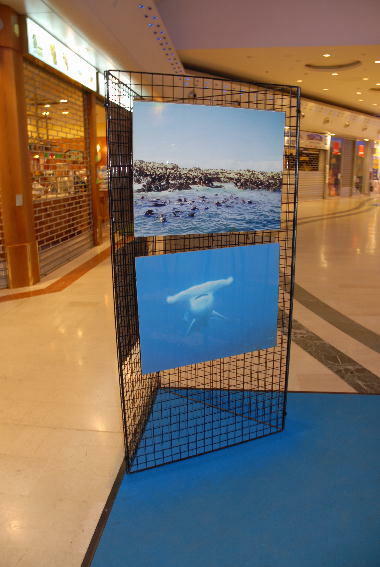 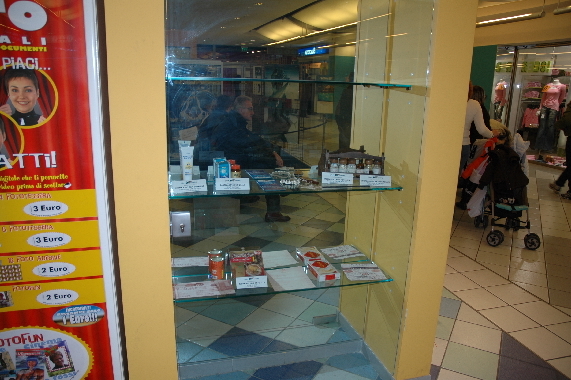 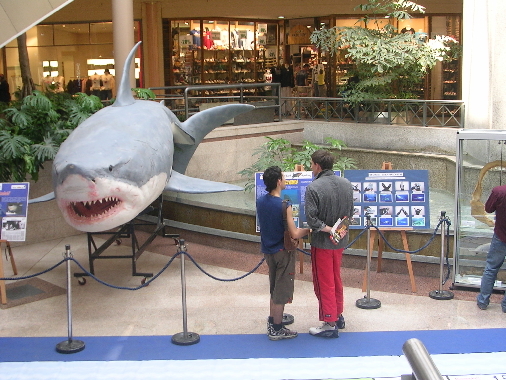 This is the first exposition inside the Brescia Shopping center "Le Rondinelle". 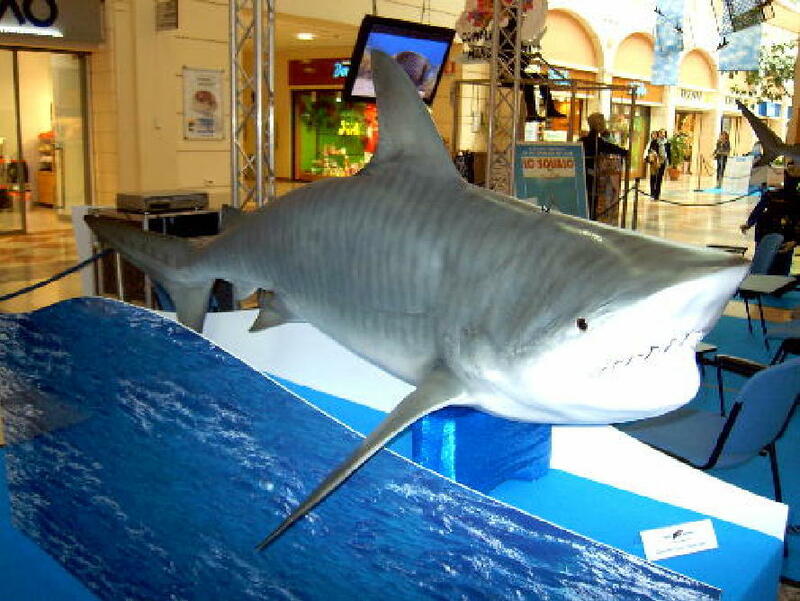 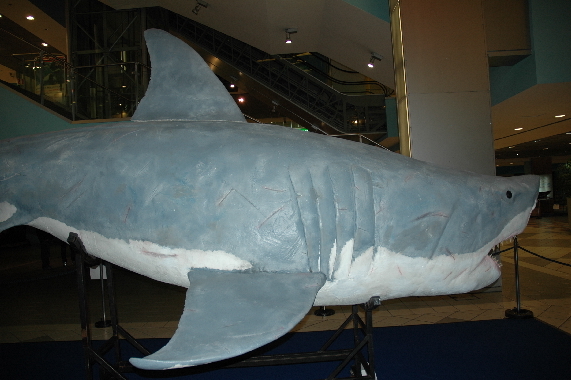 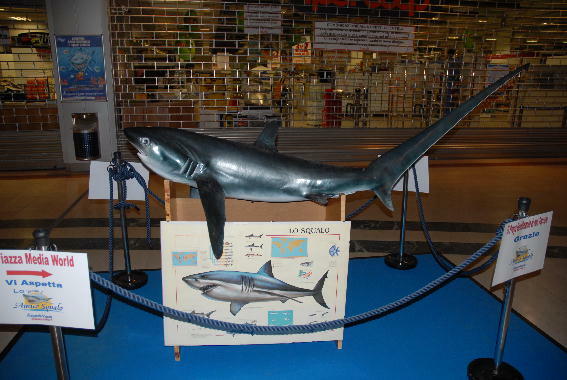 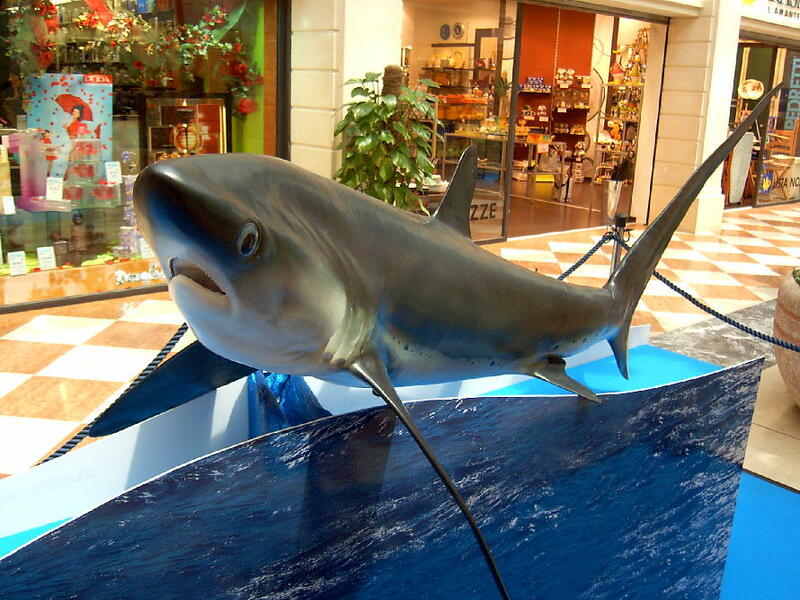 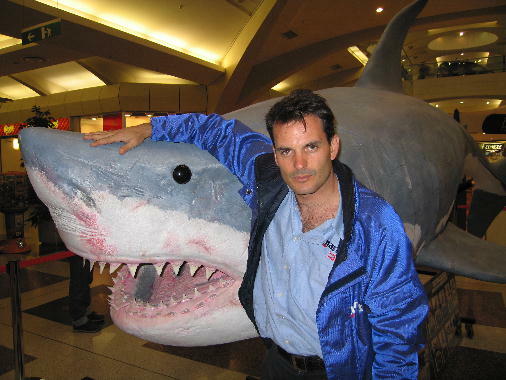 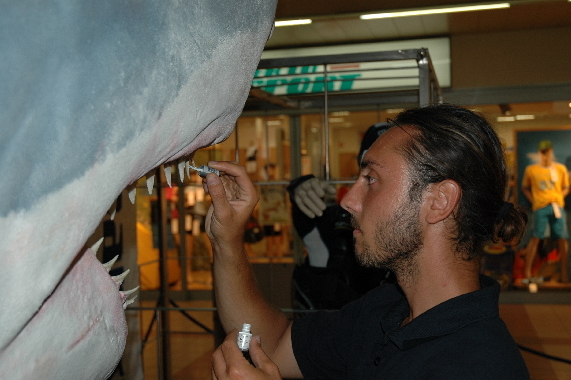 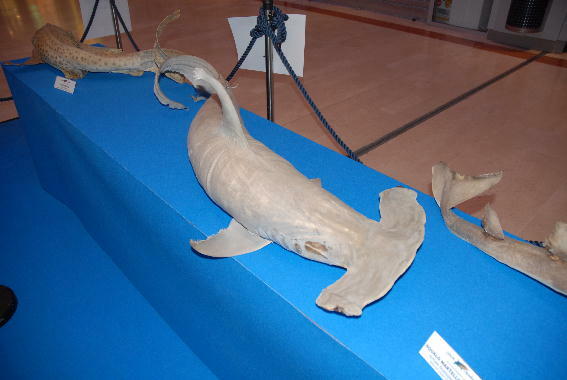 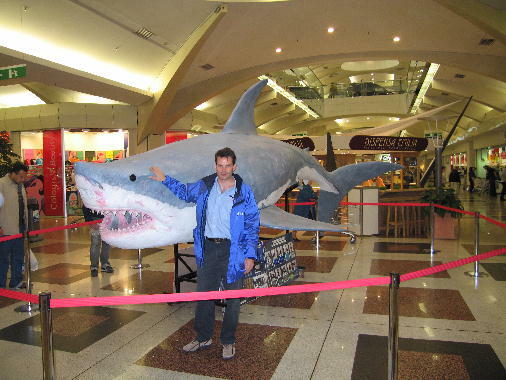 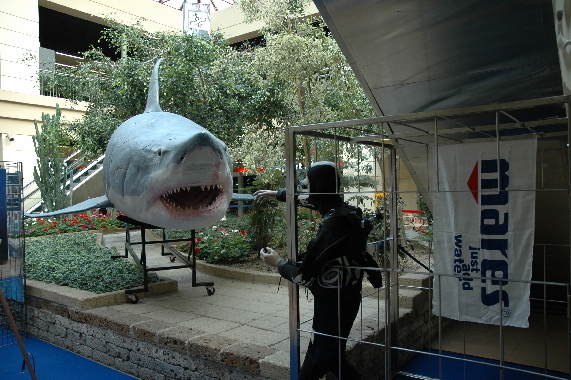 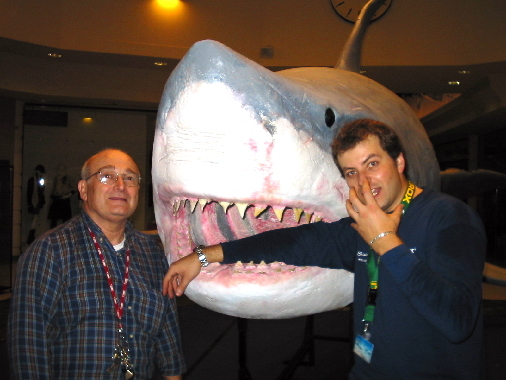 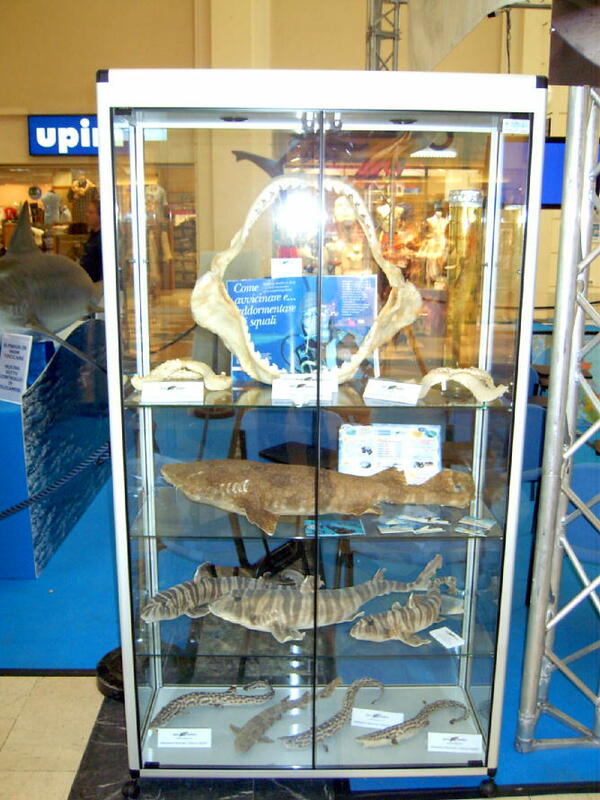 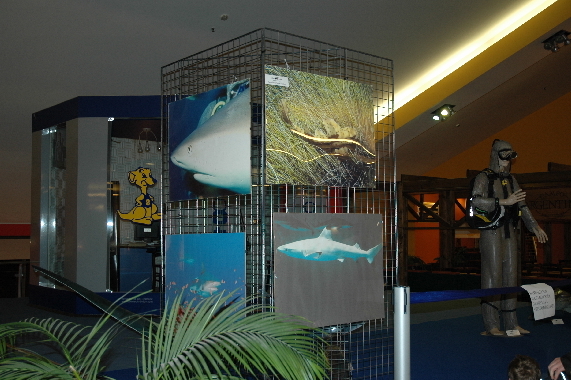 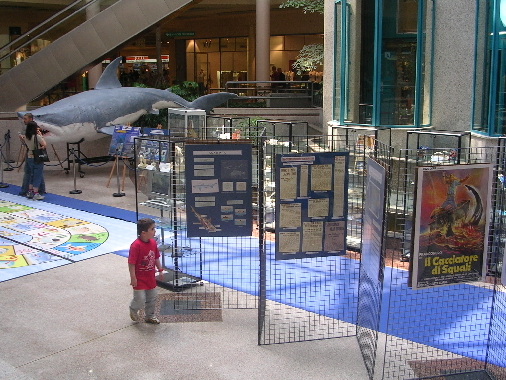 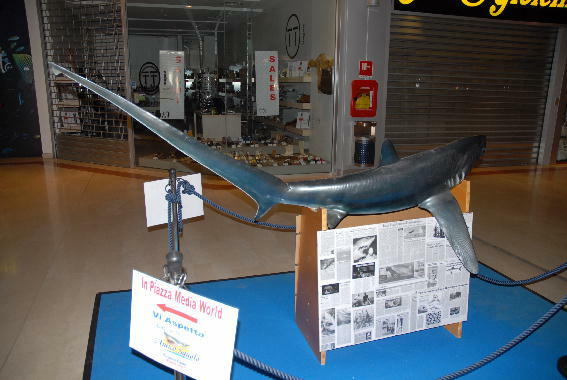 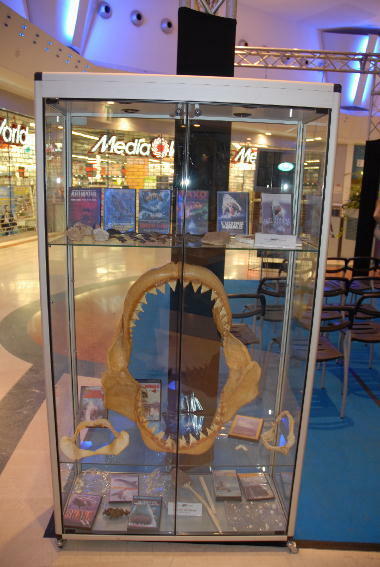 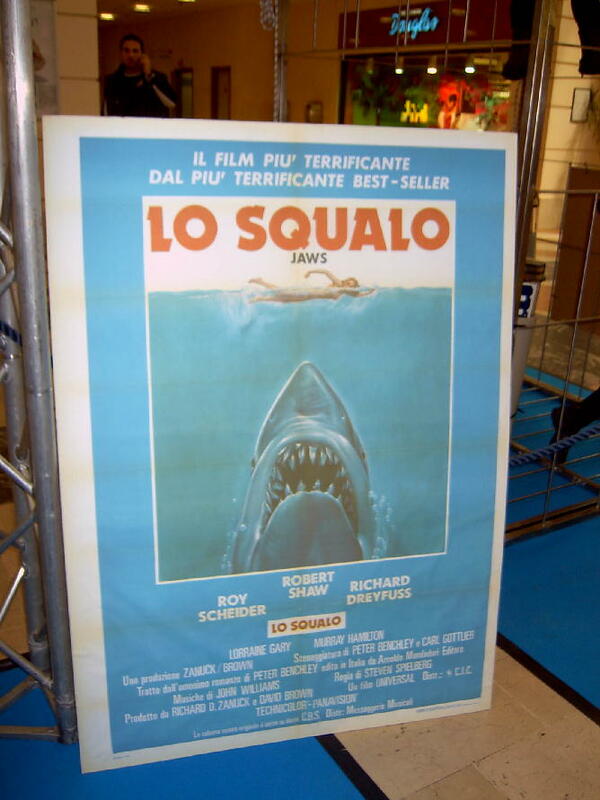 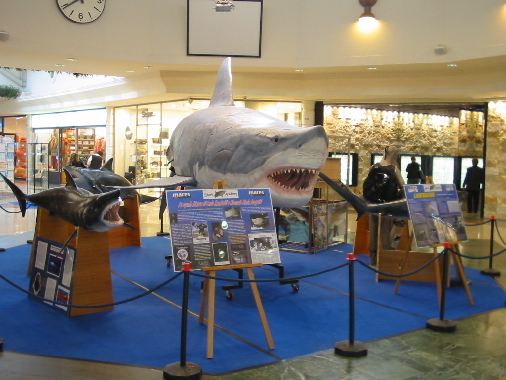 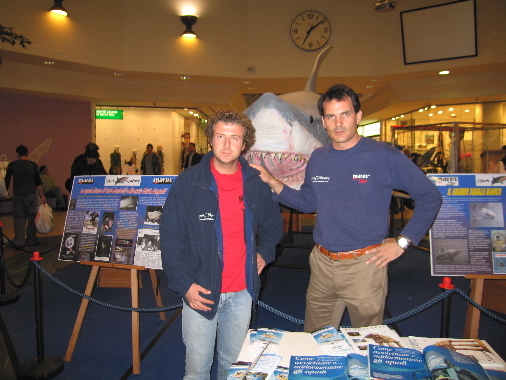 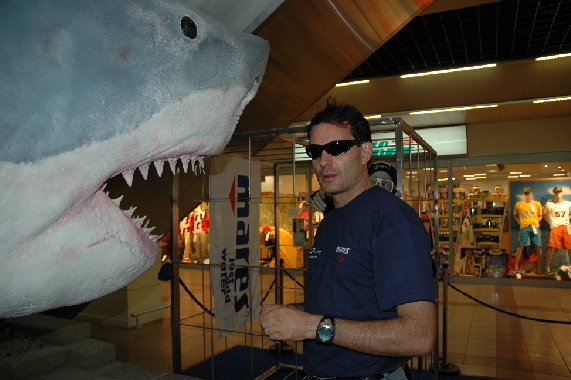 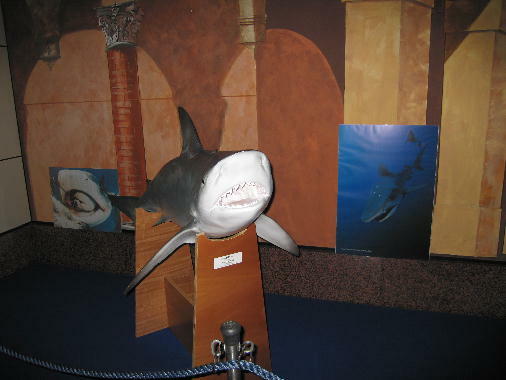 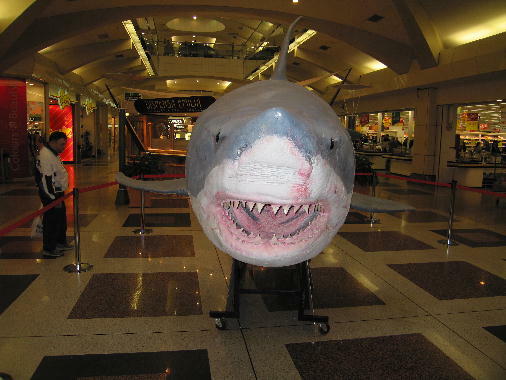 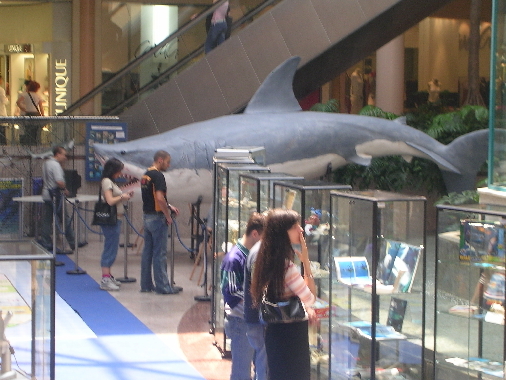 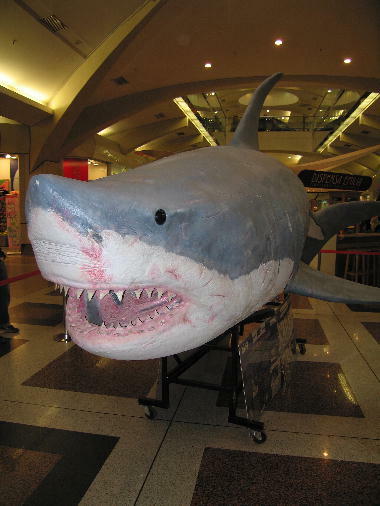 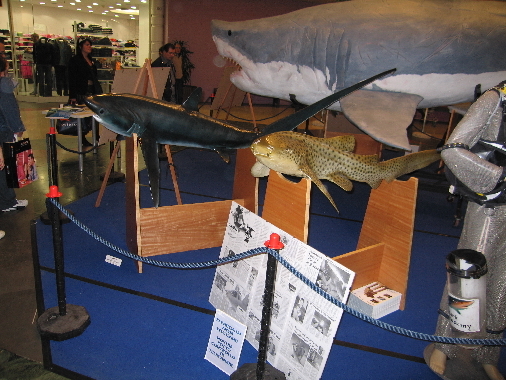 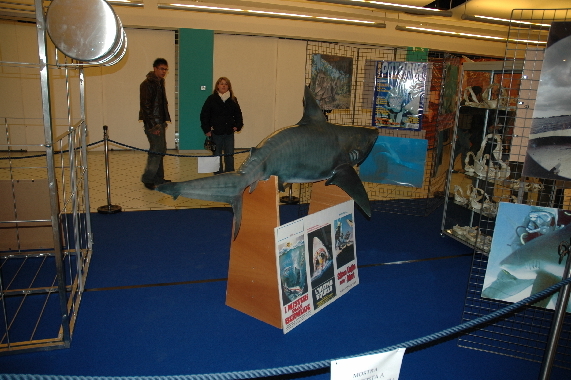 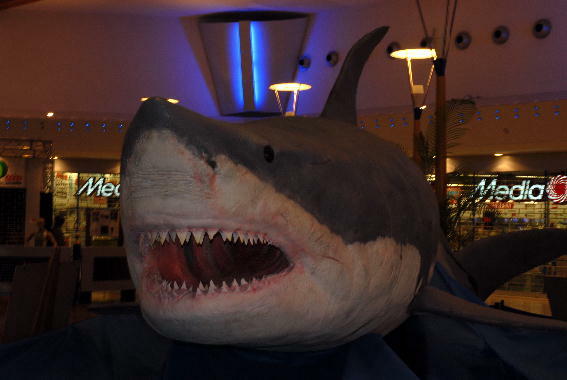 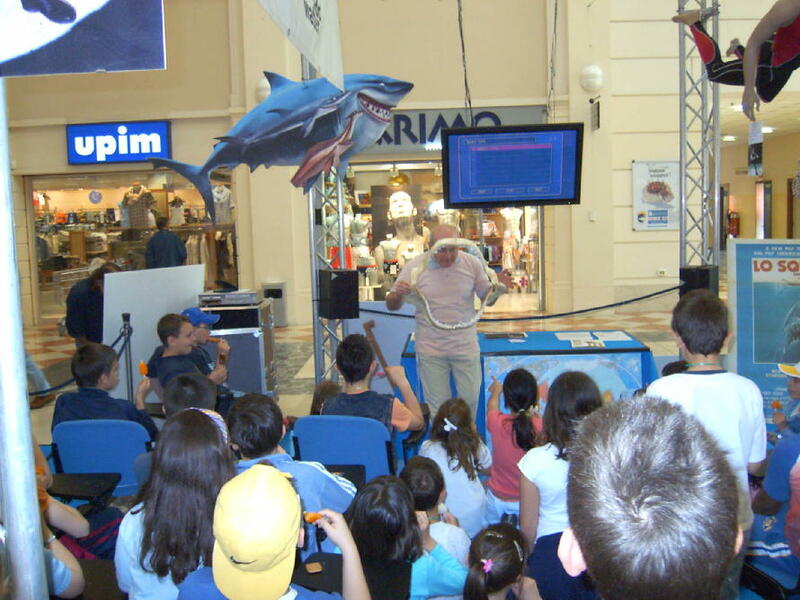 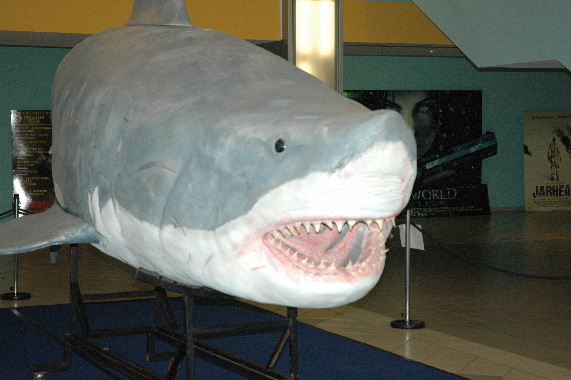 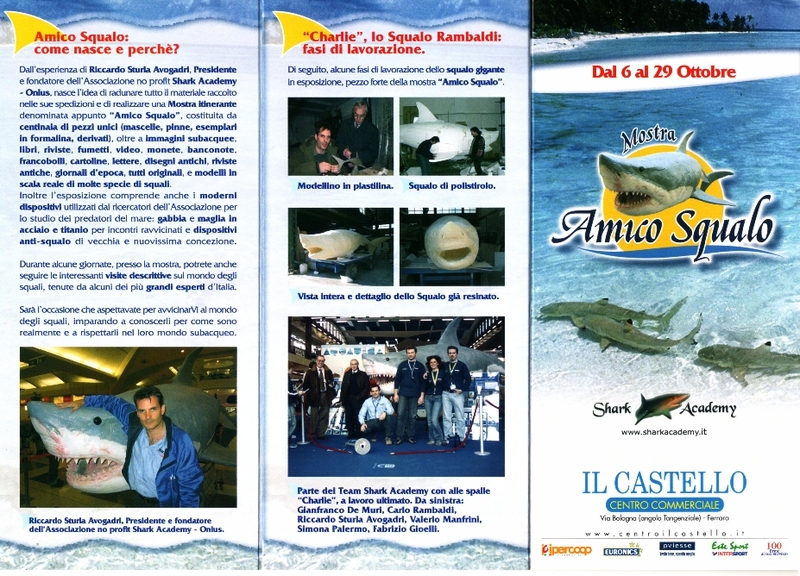 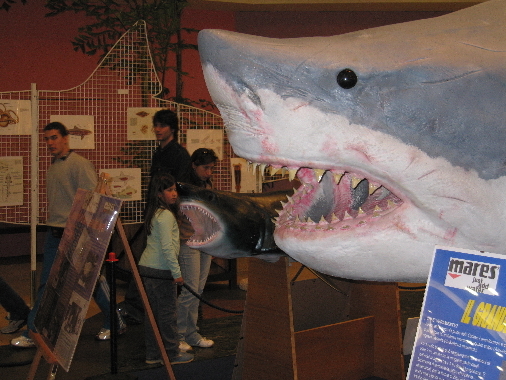 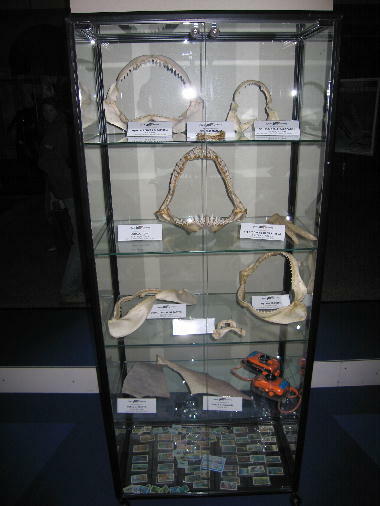 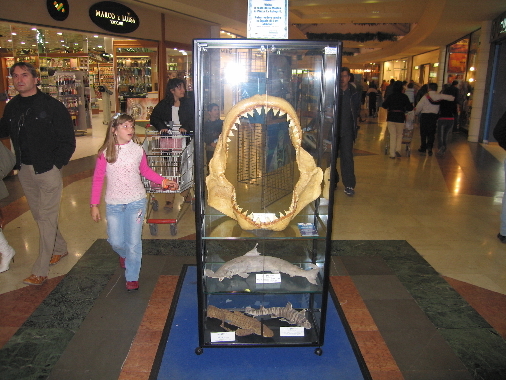 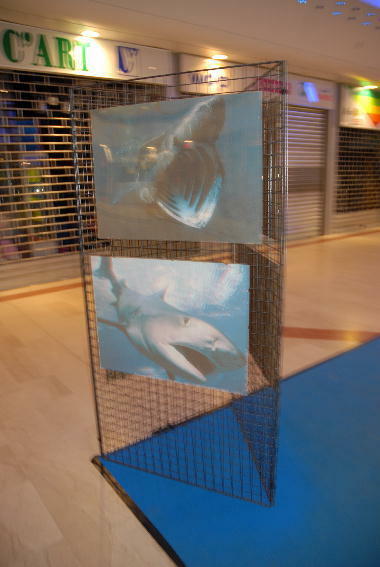 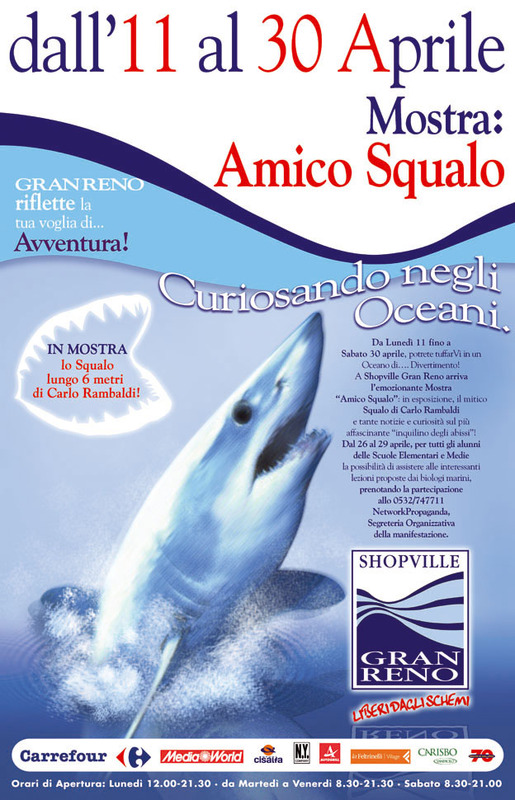 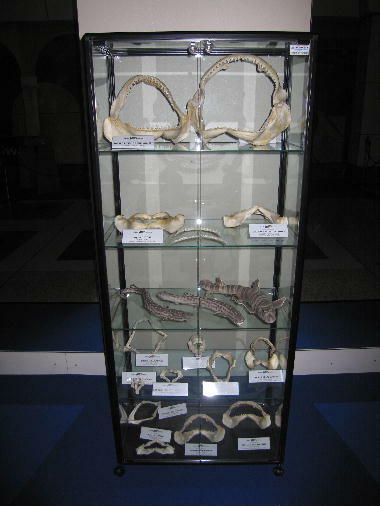 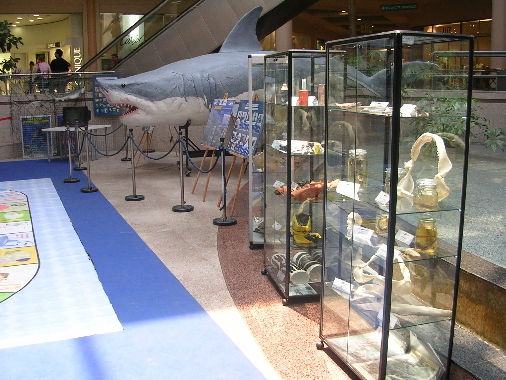 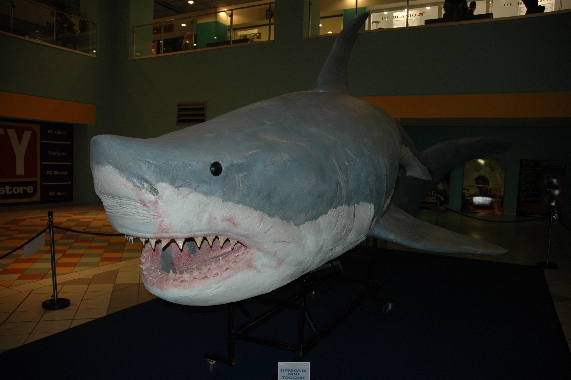 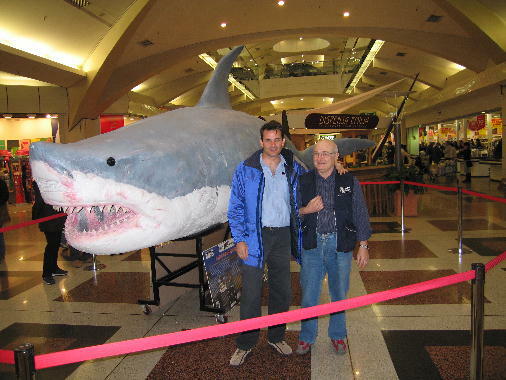 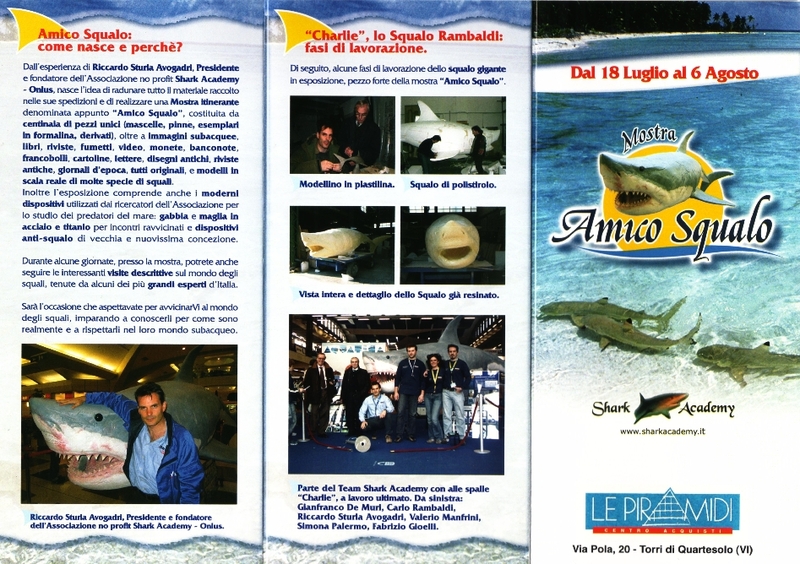 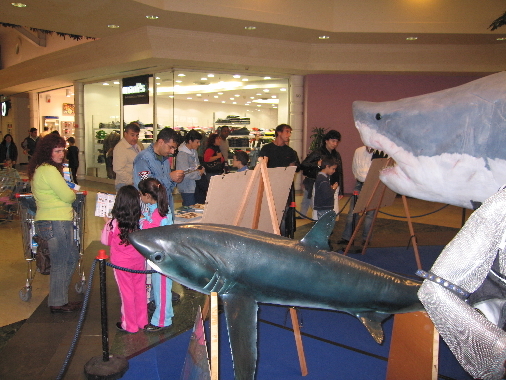 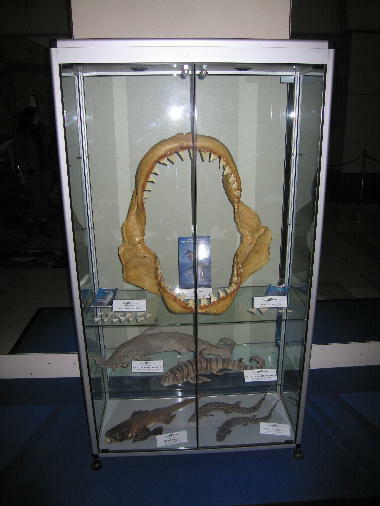 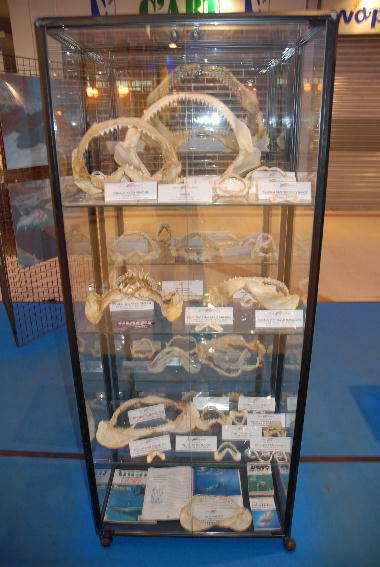 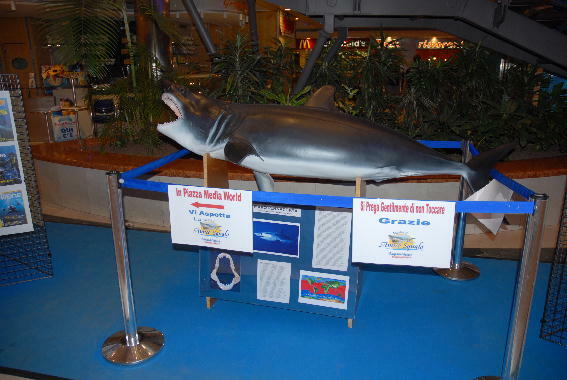 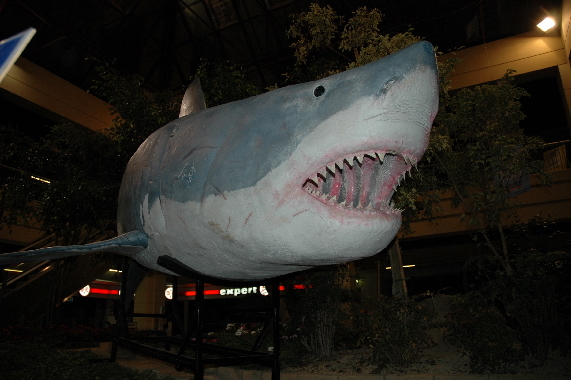 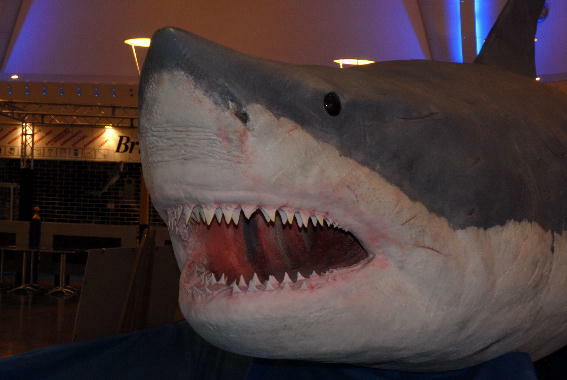 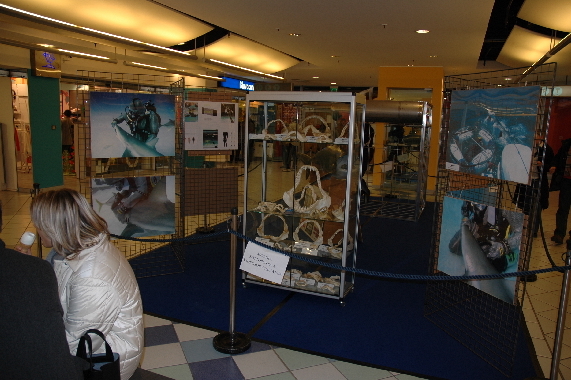 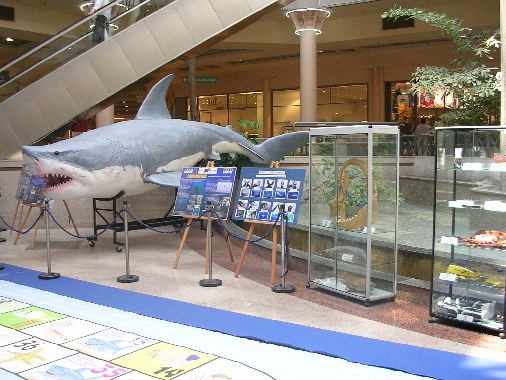 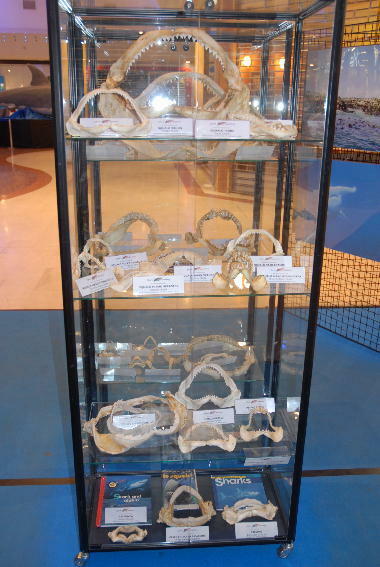 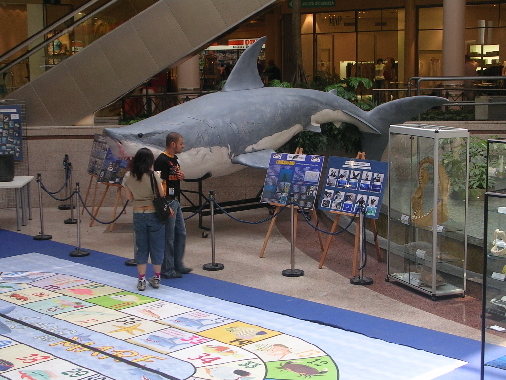 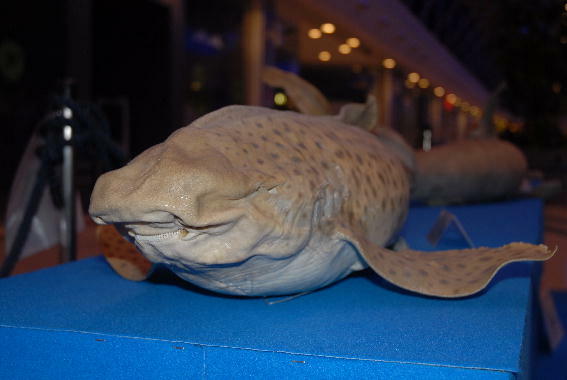 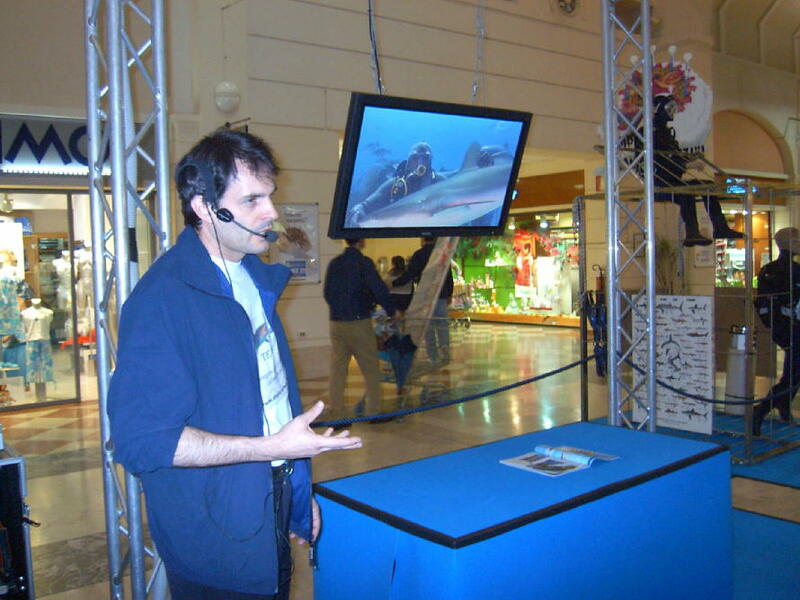 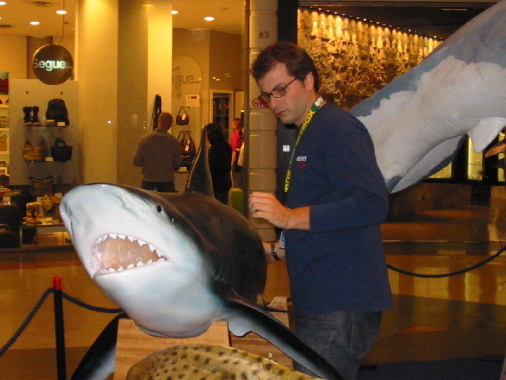 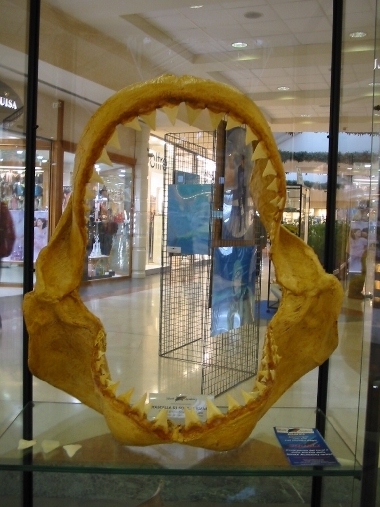 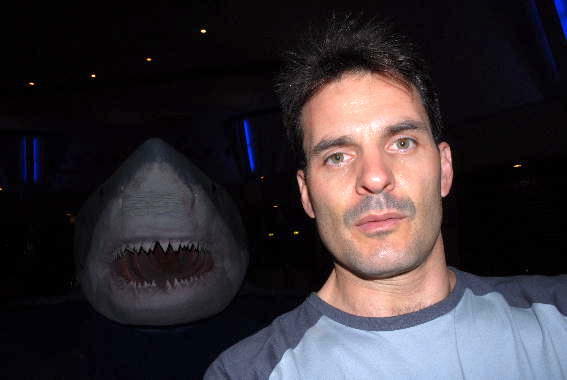 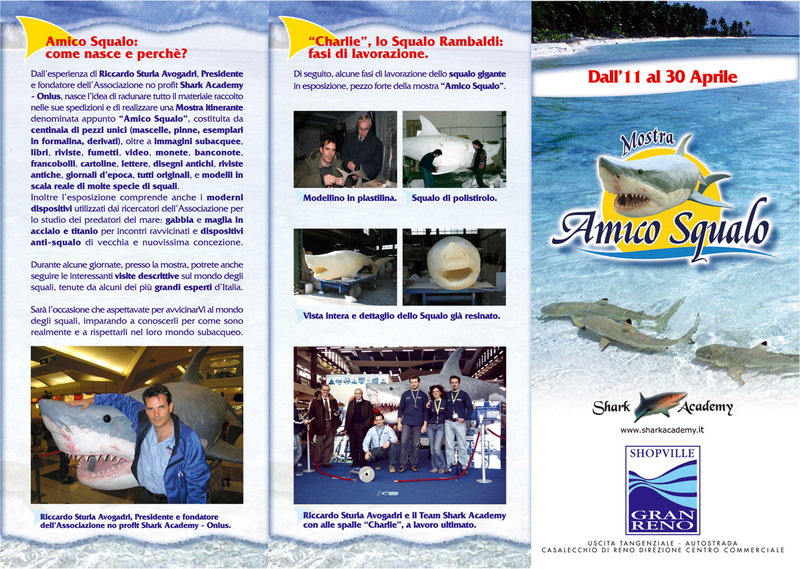 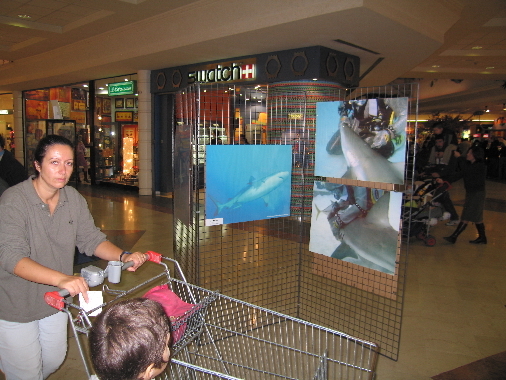 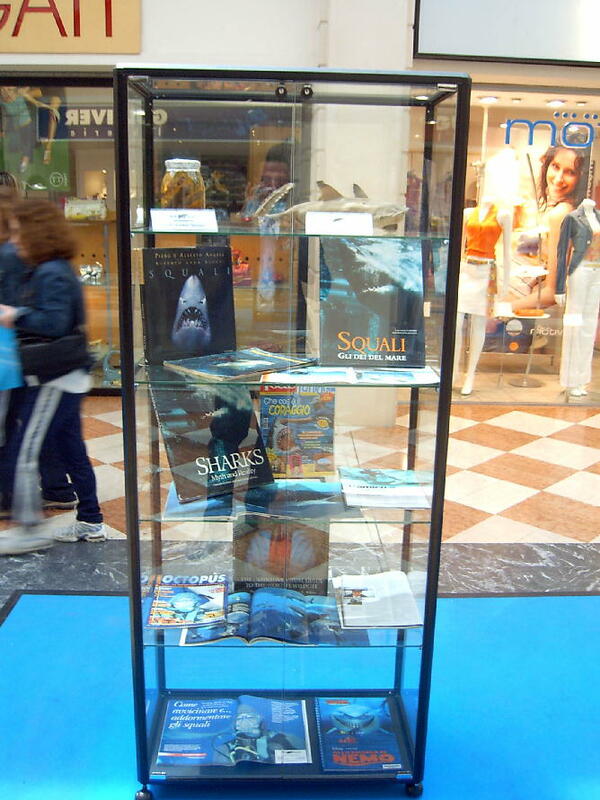 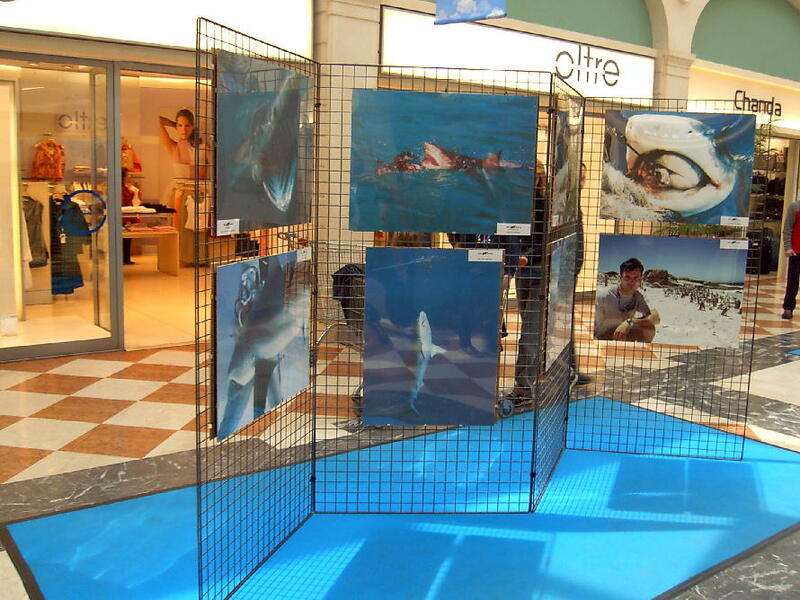 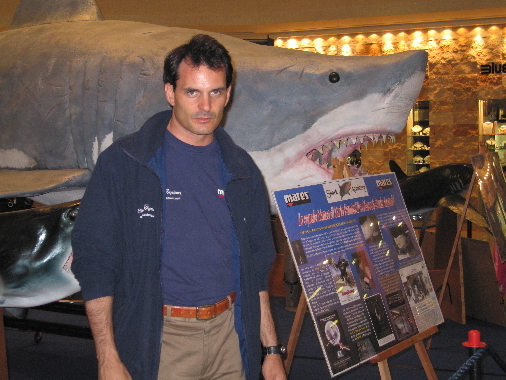 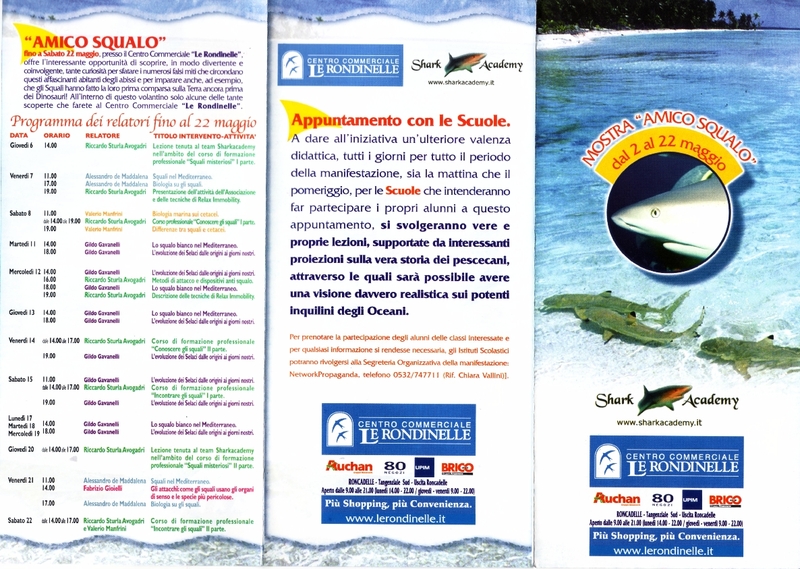 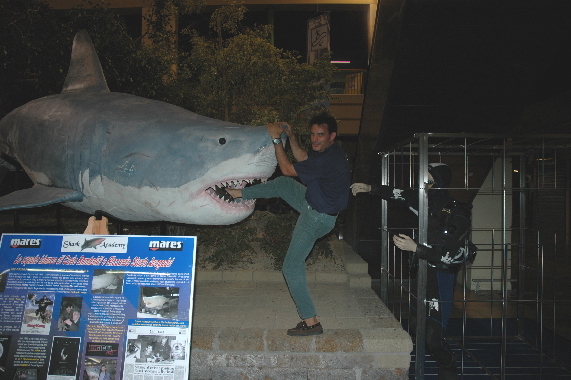 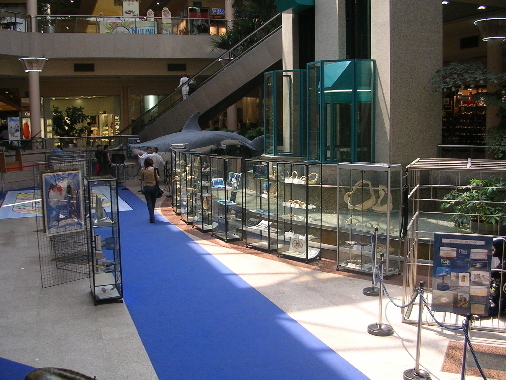 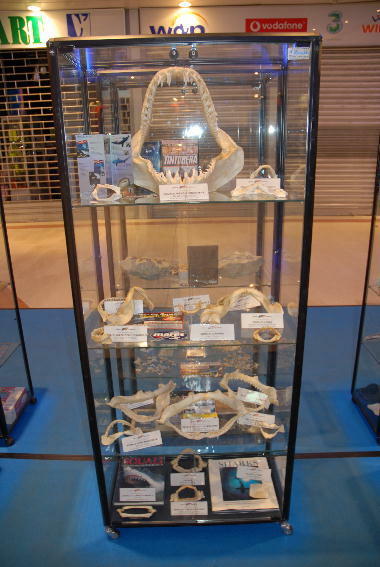 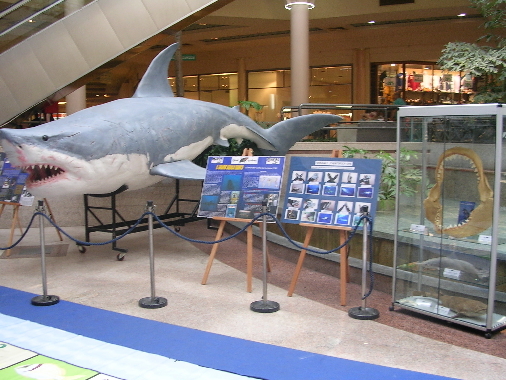 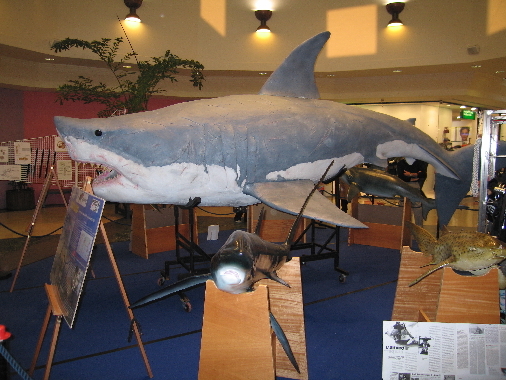 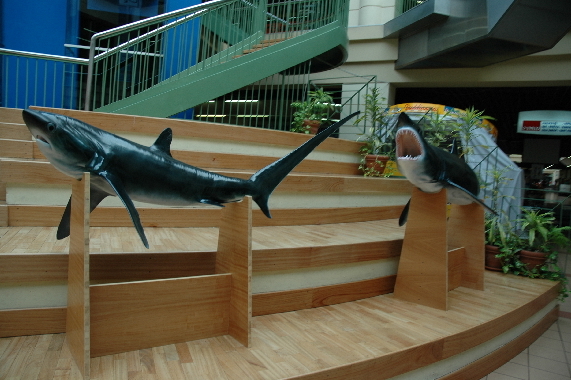 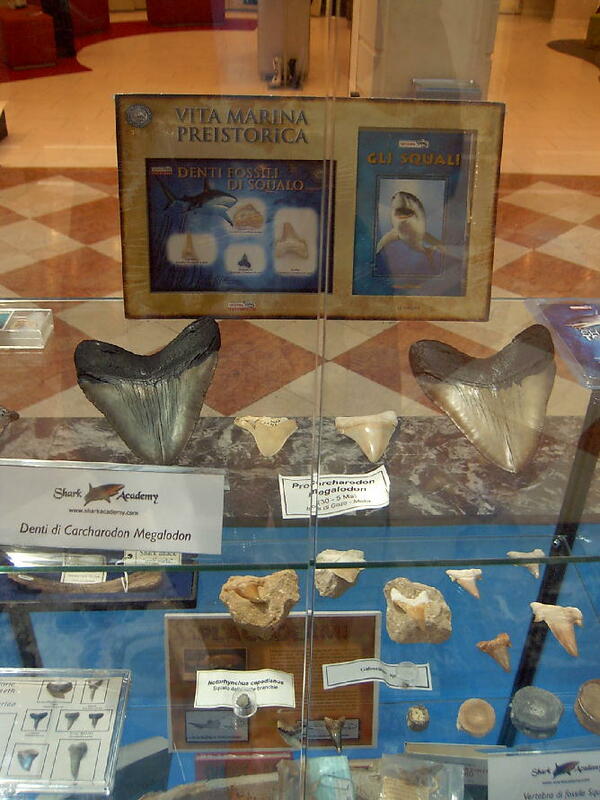 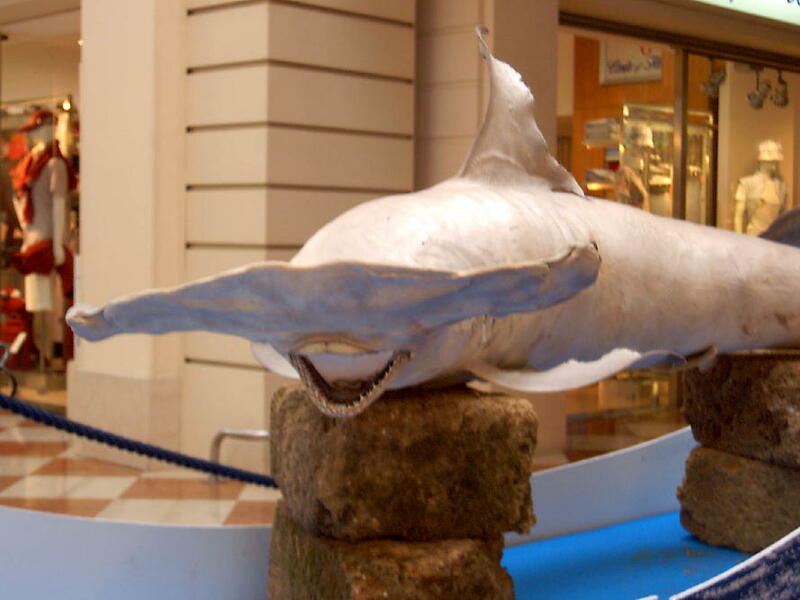 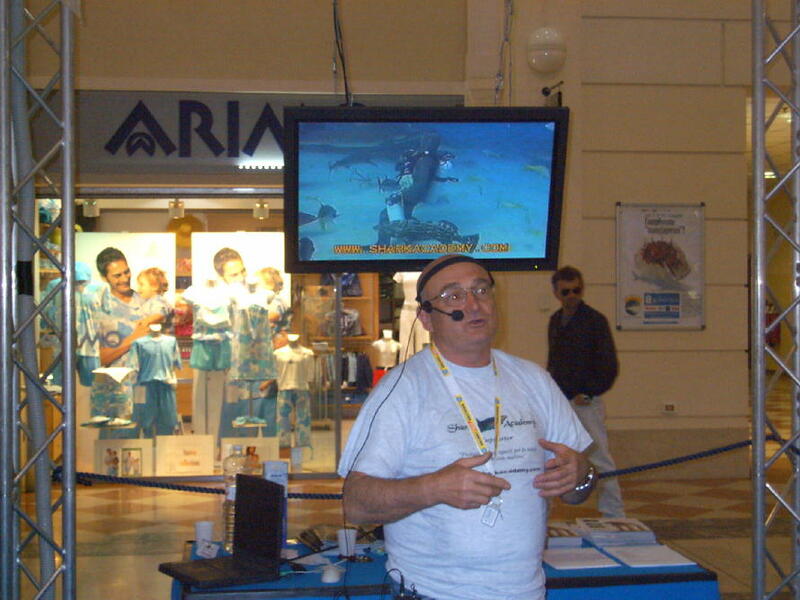 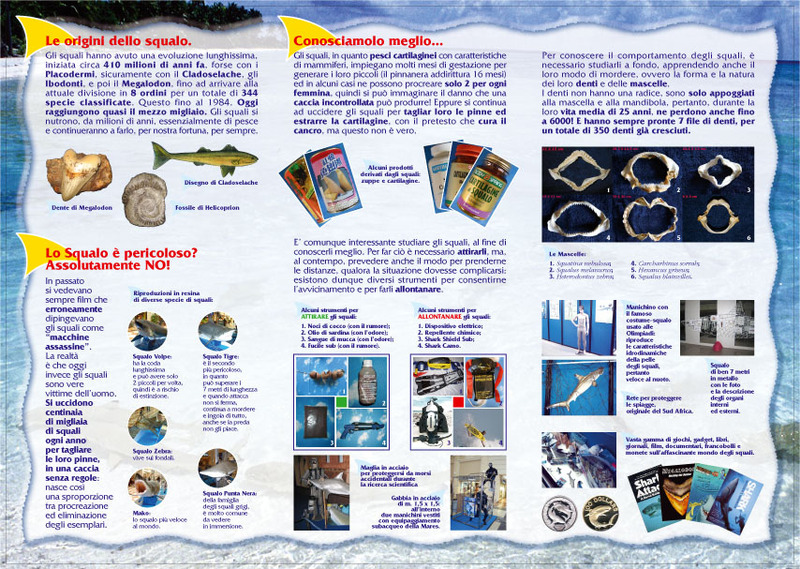 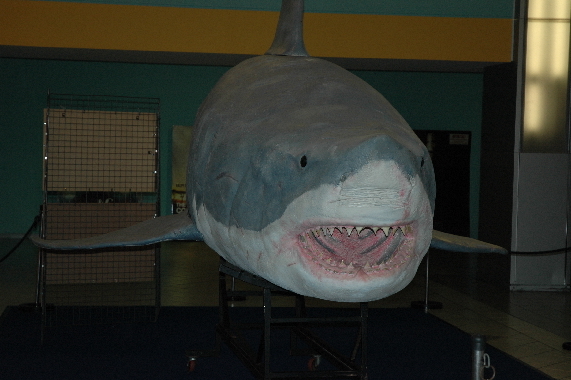 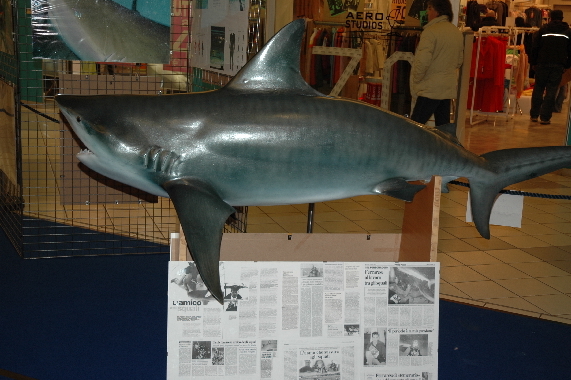 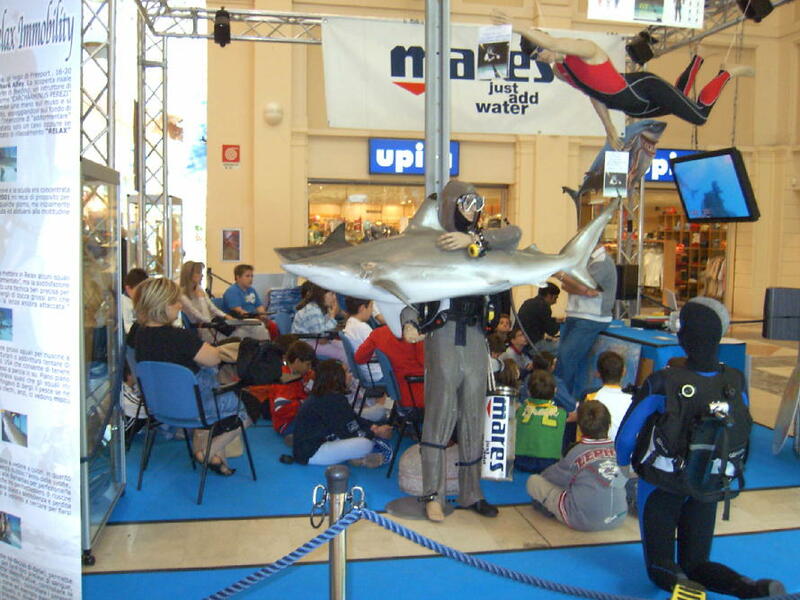 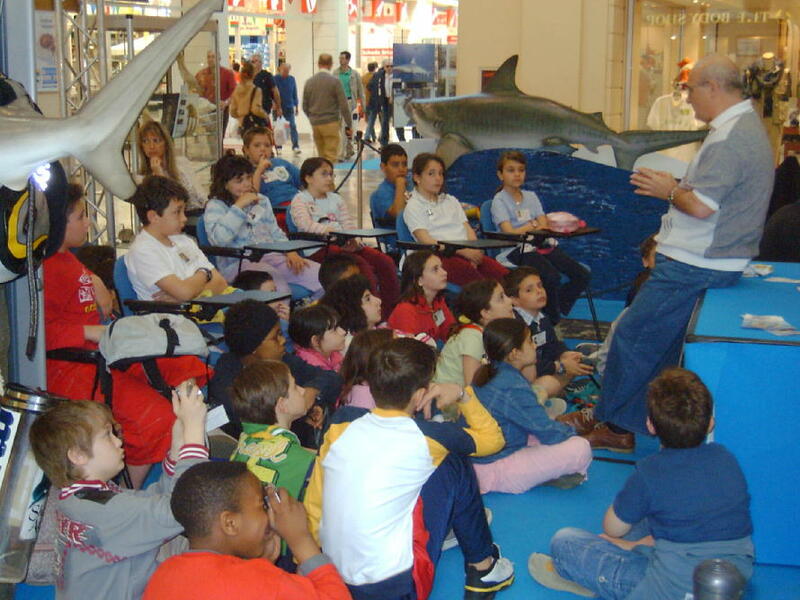 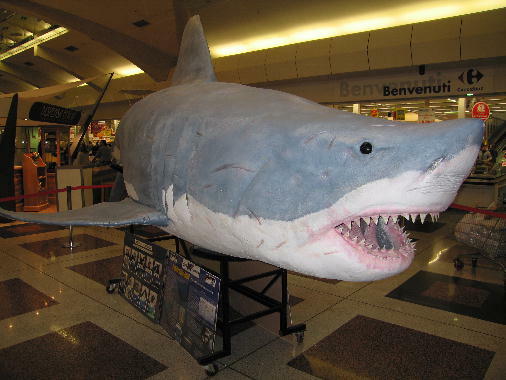 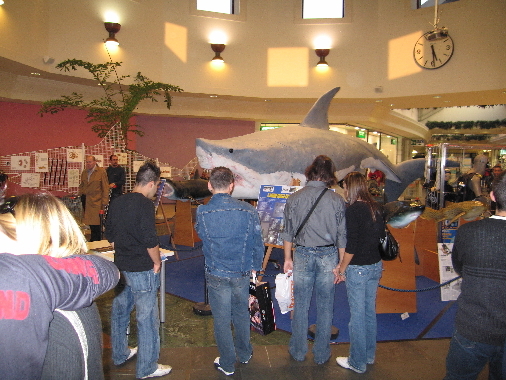 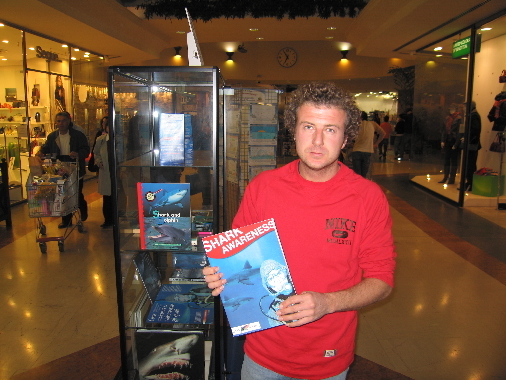 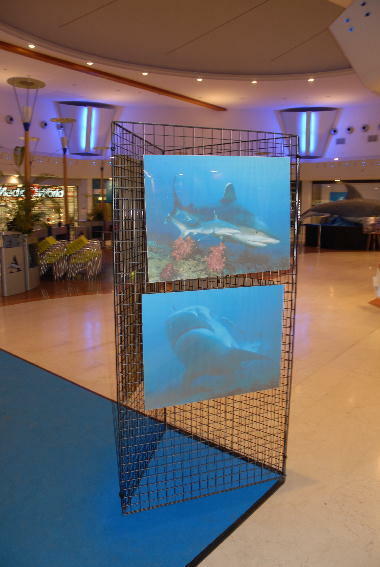 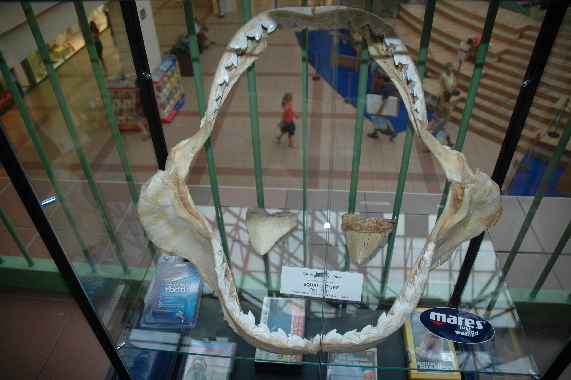 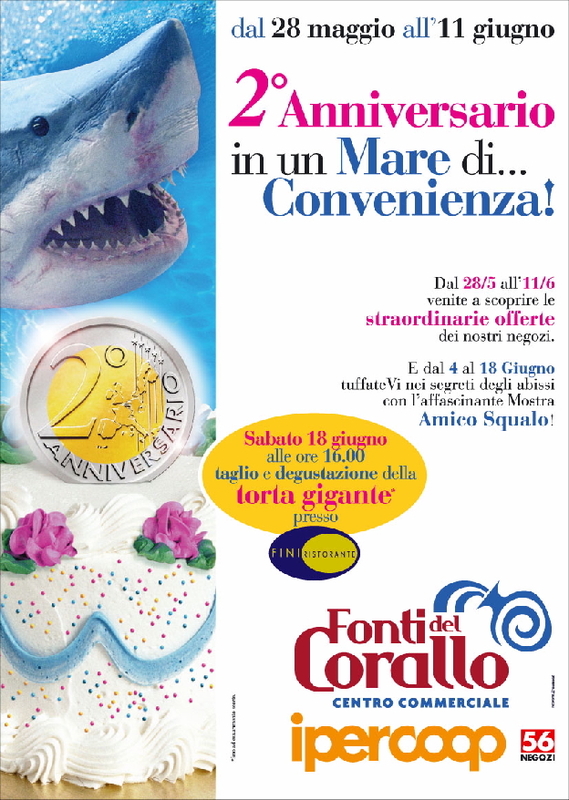 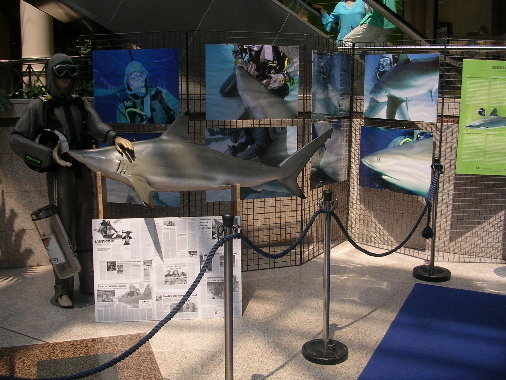 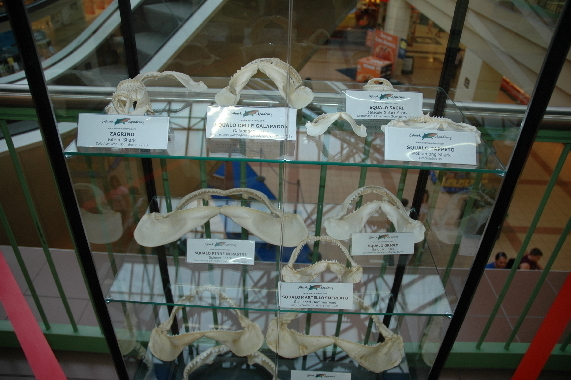 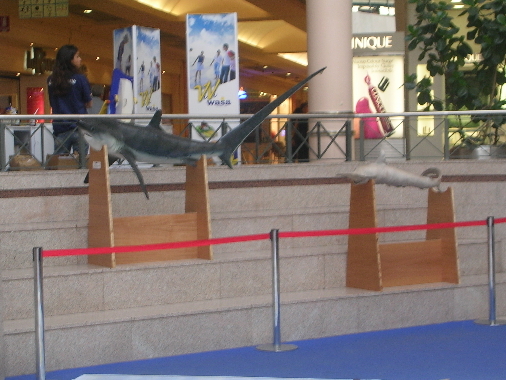 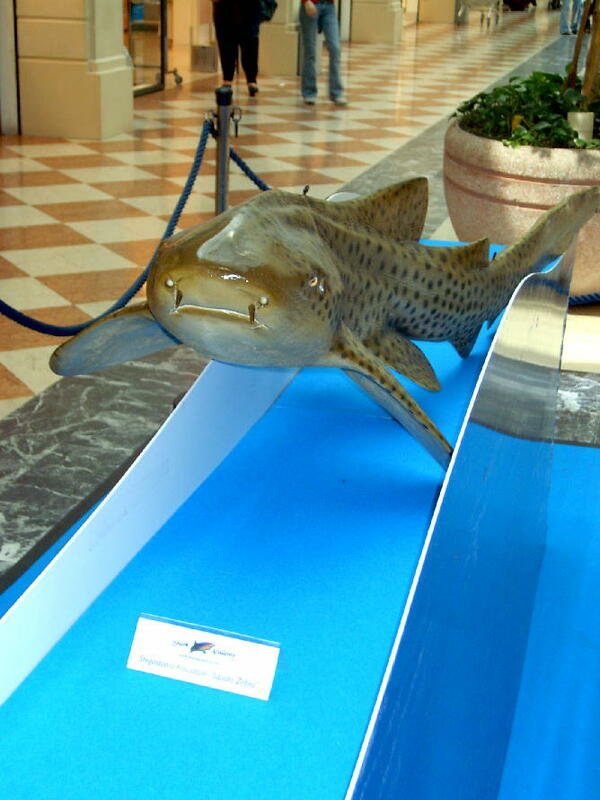 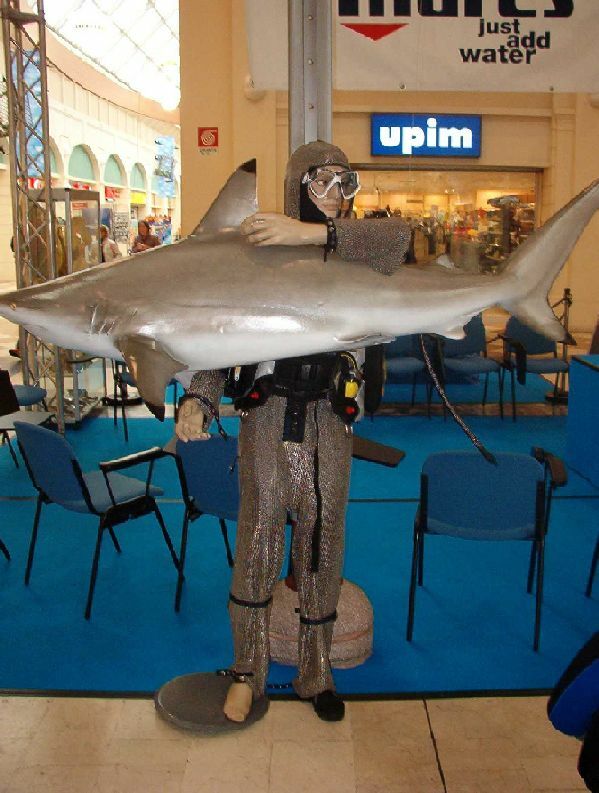 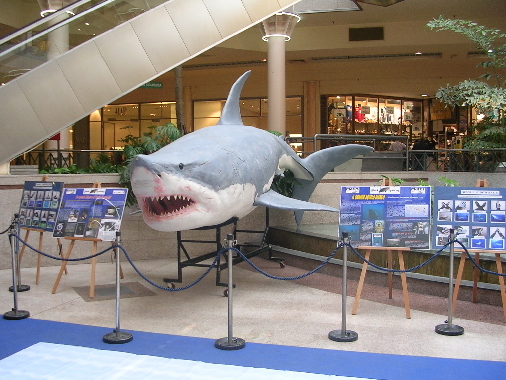 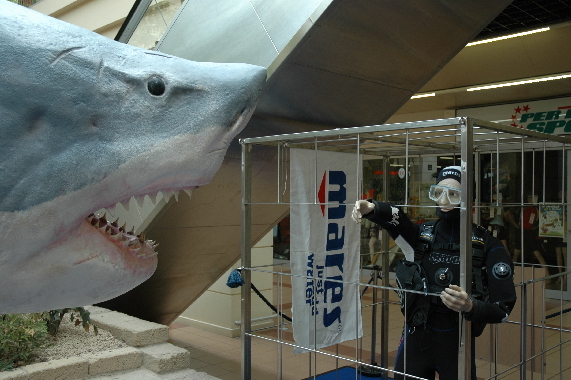 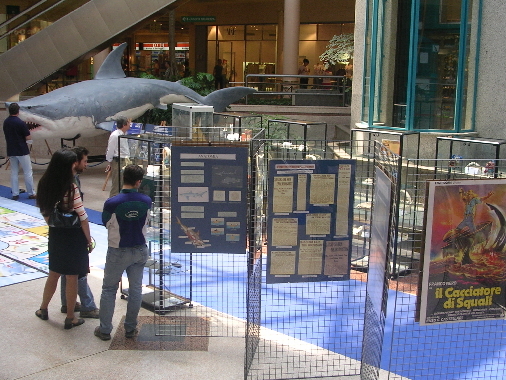 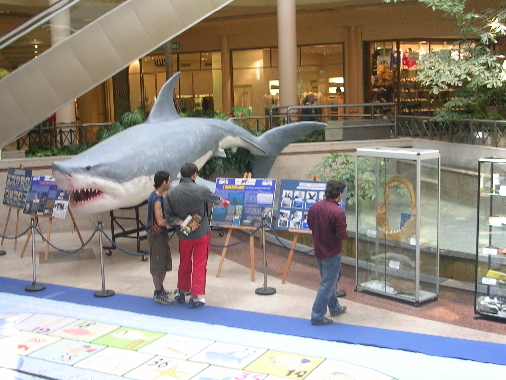 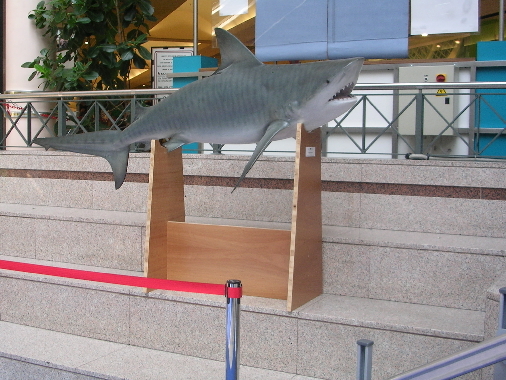 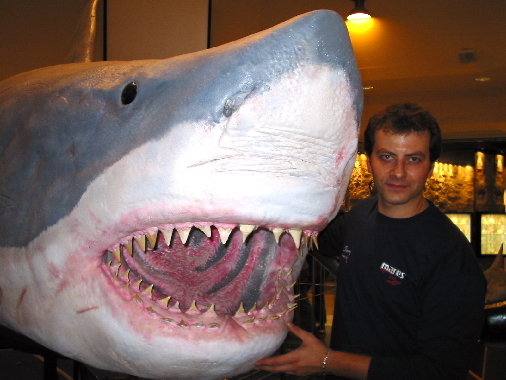 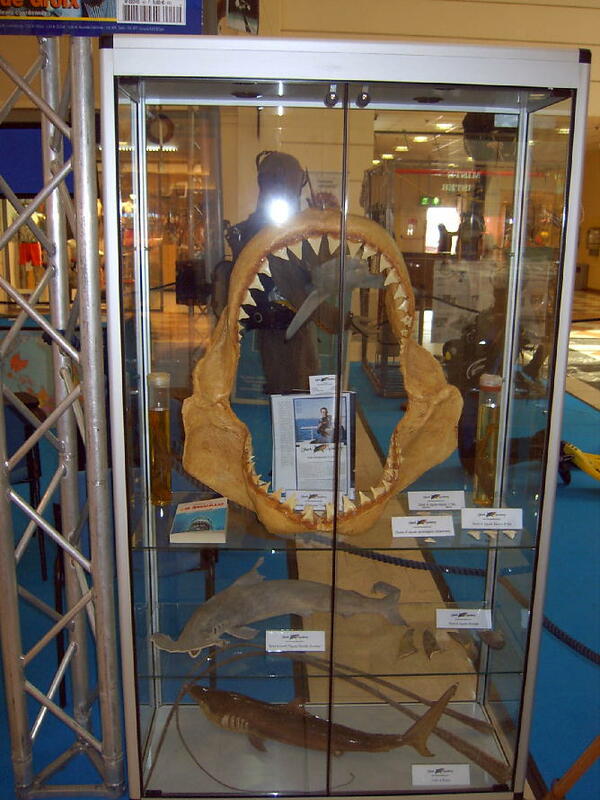 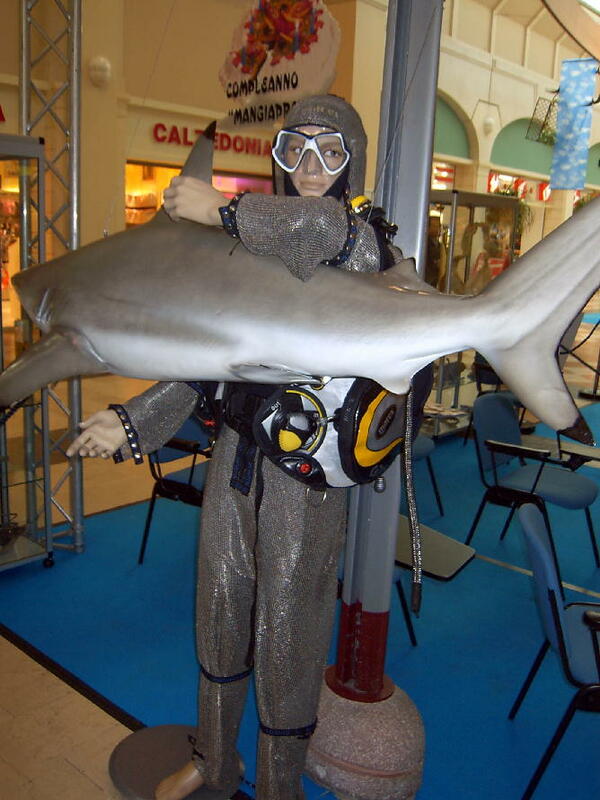 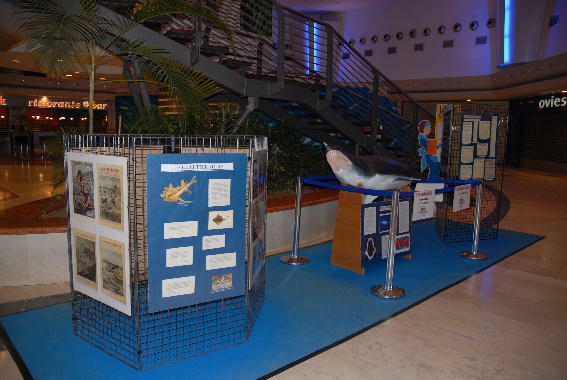 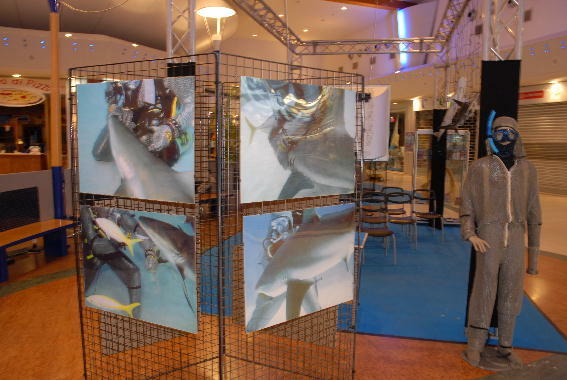 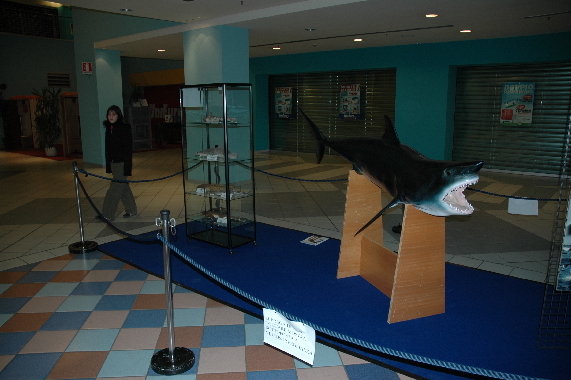 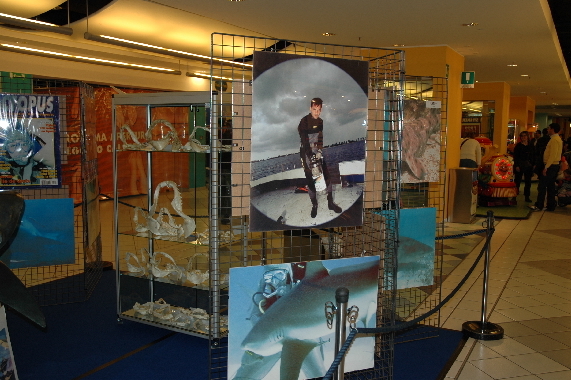 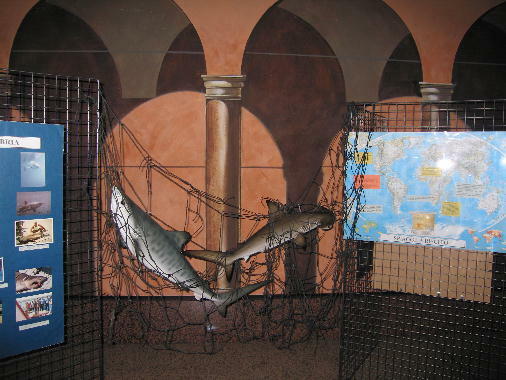 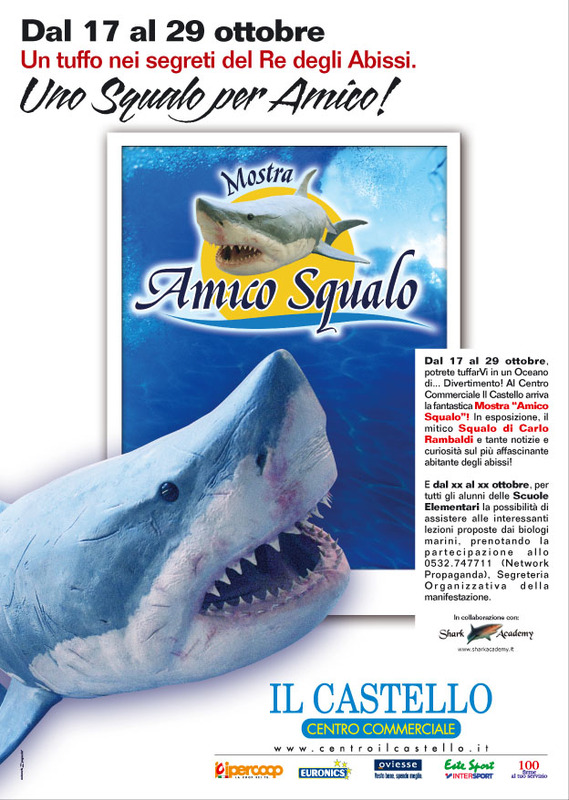 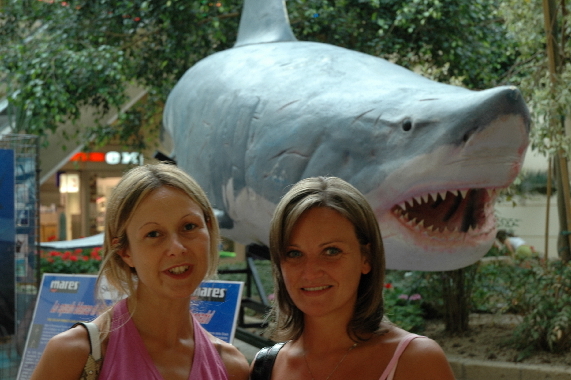 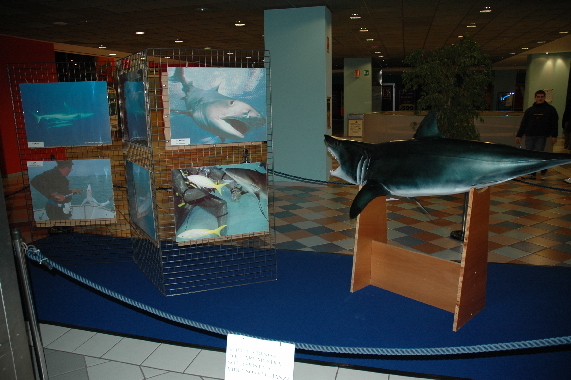 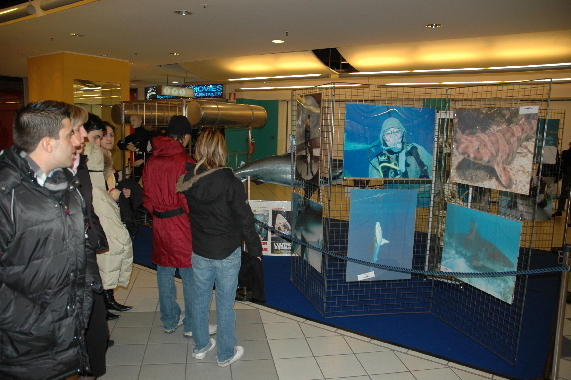 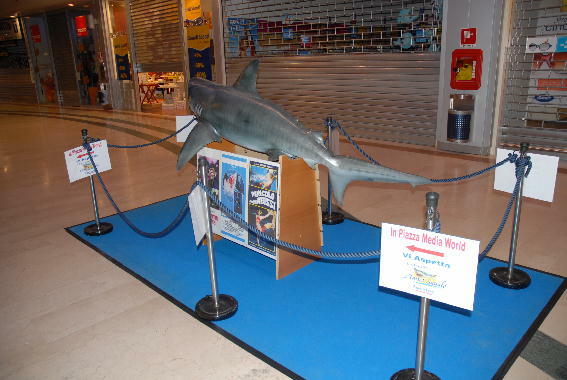 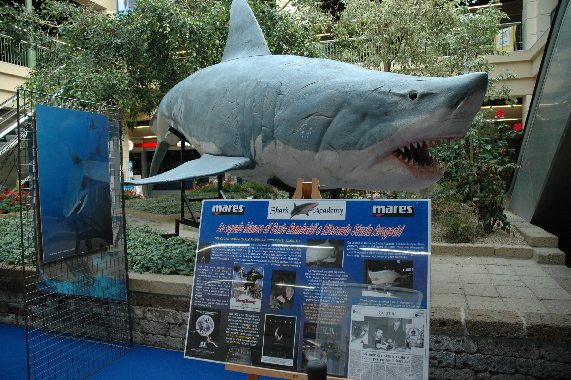 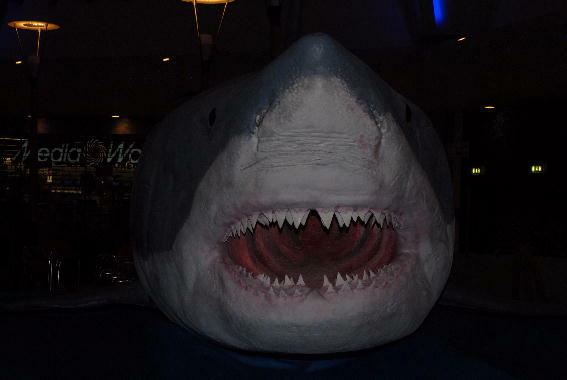 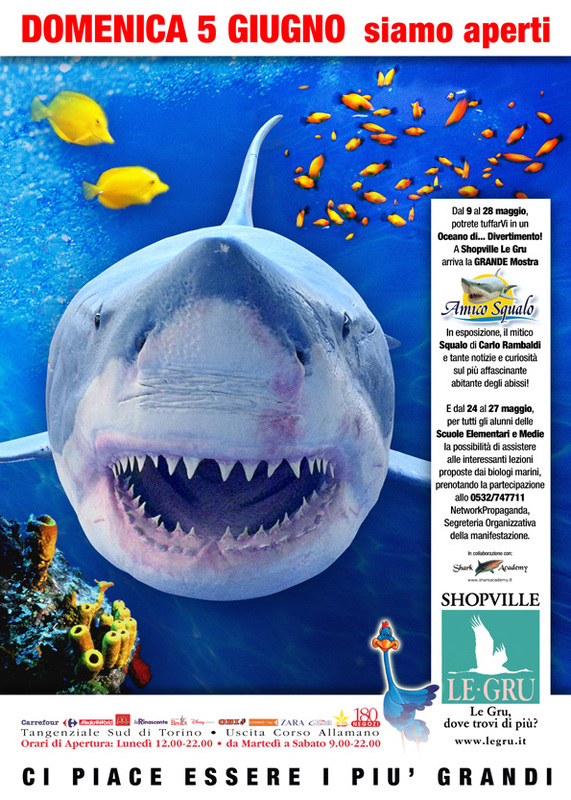 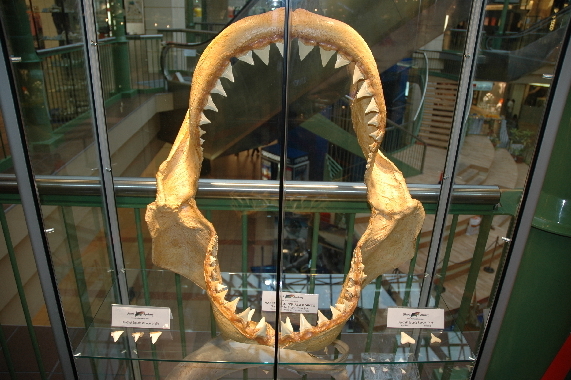 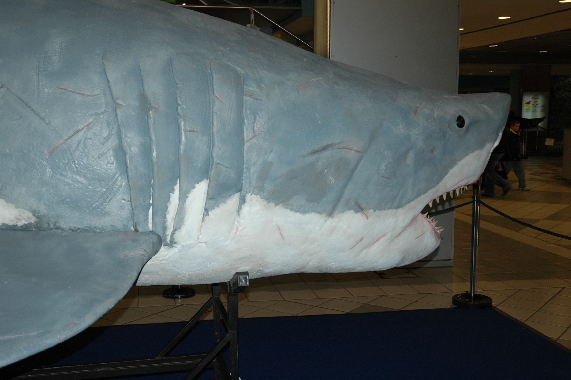 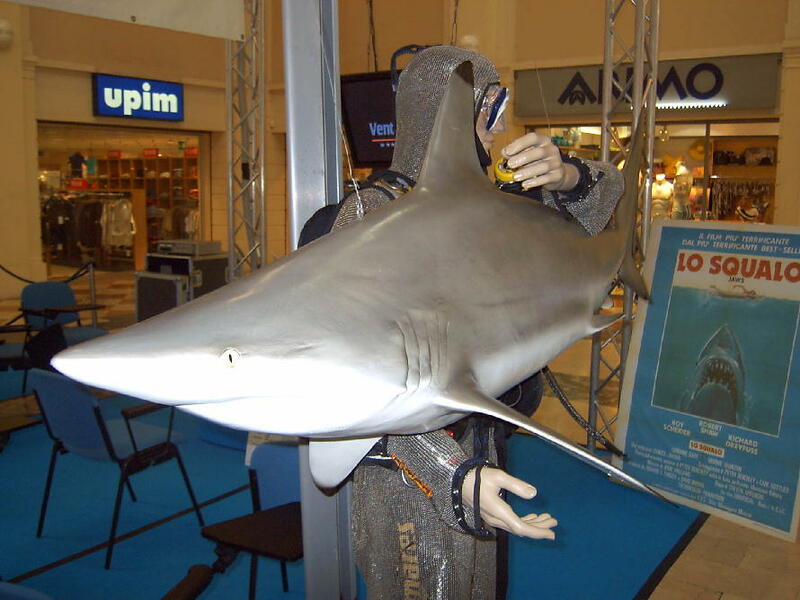 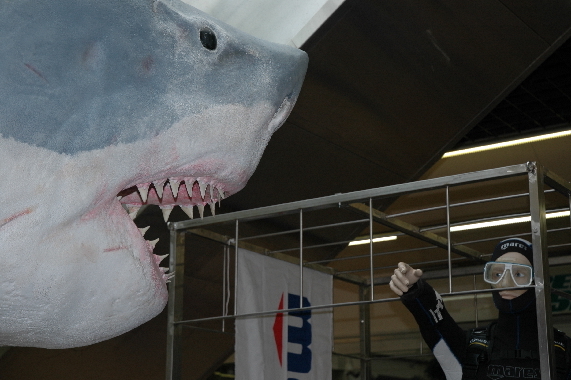 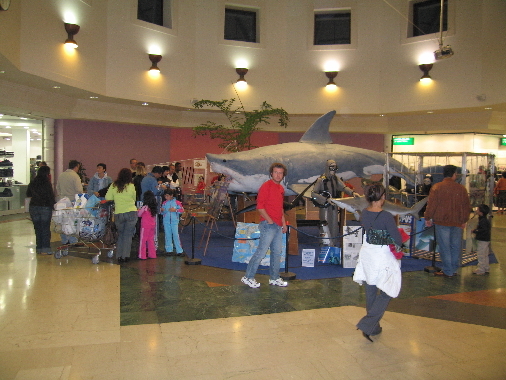 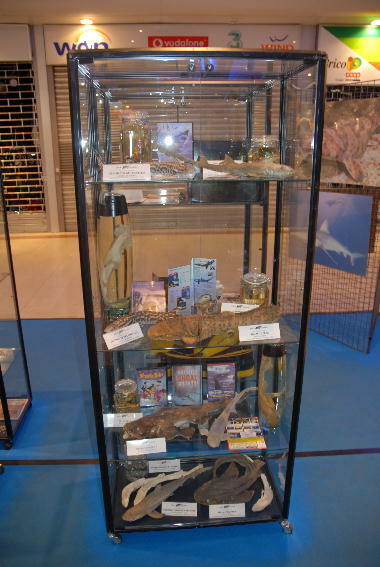 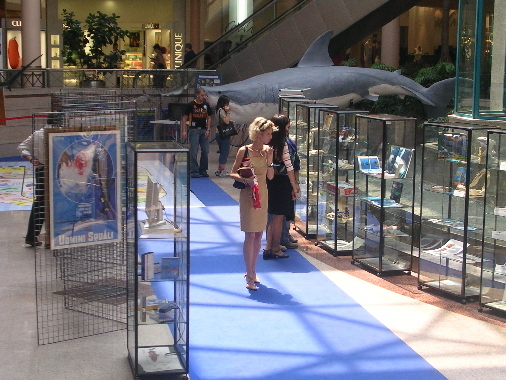 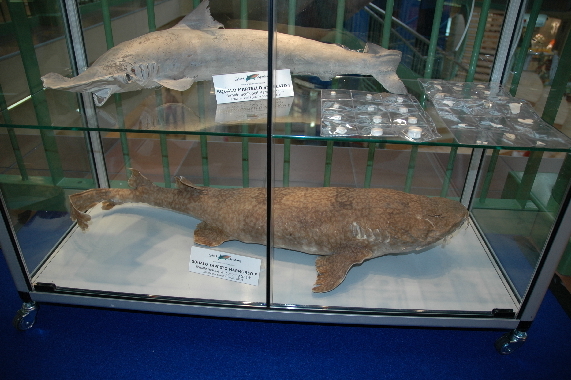 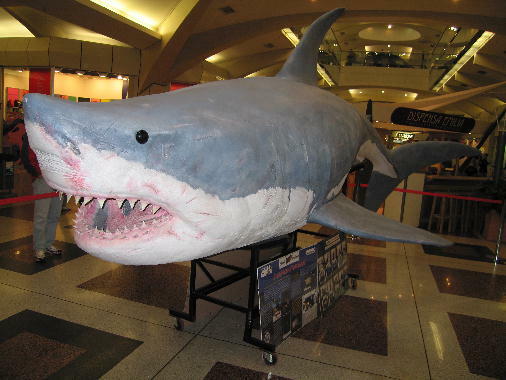 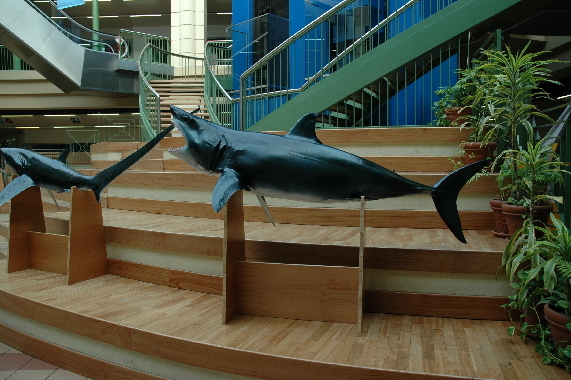 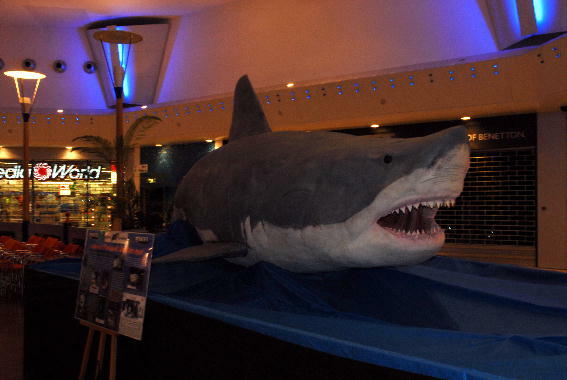 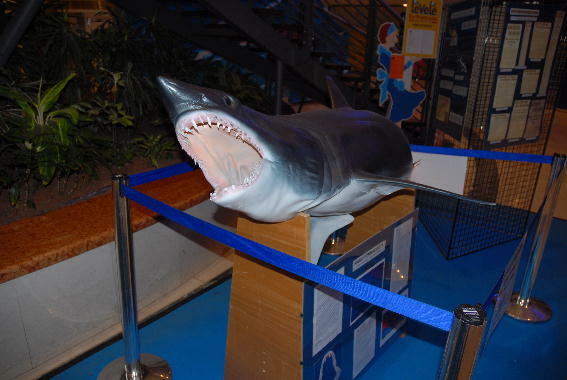 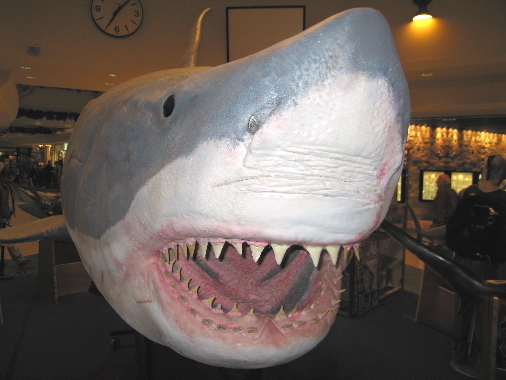 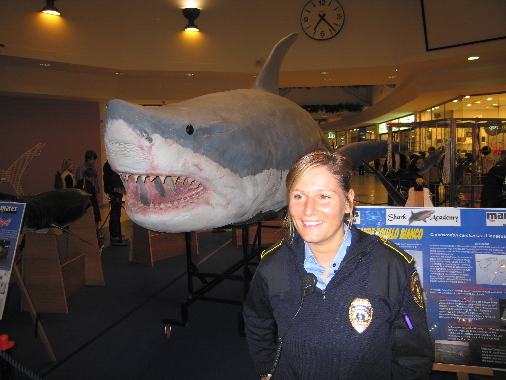 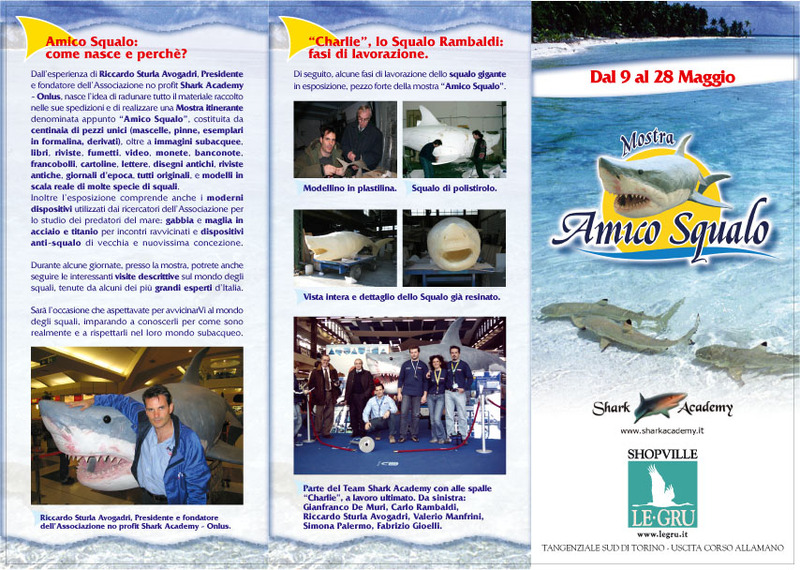 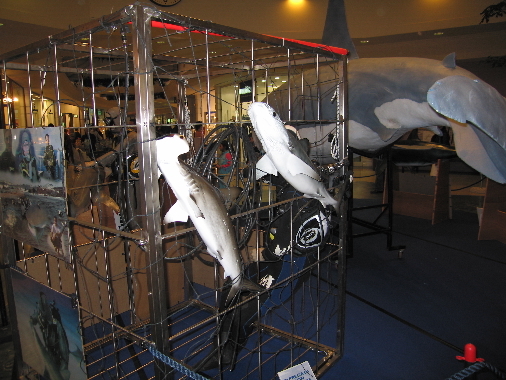 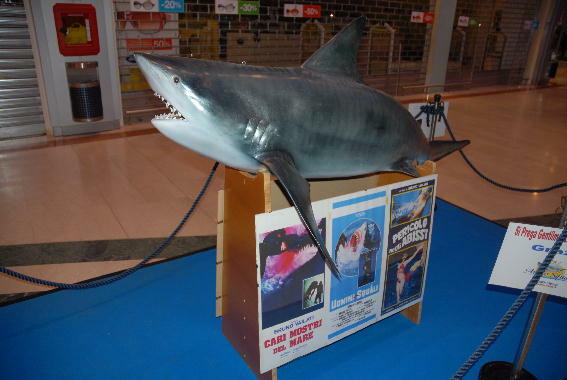 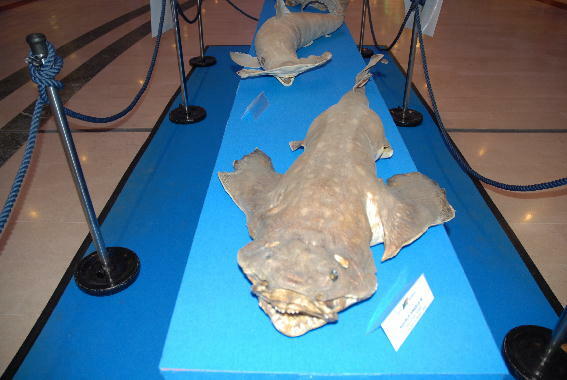 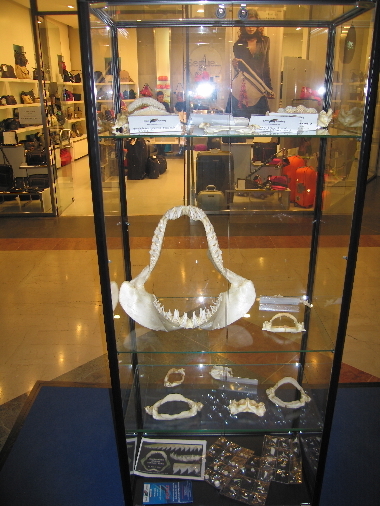 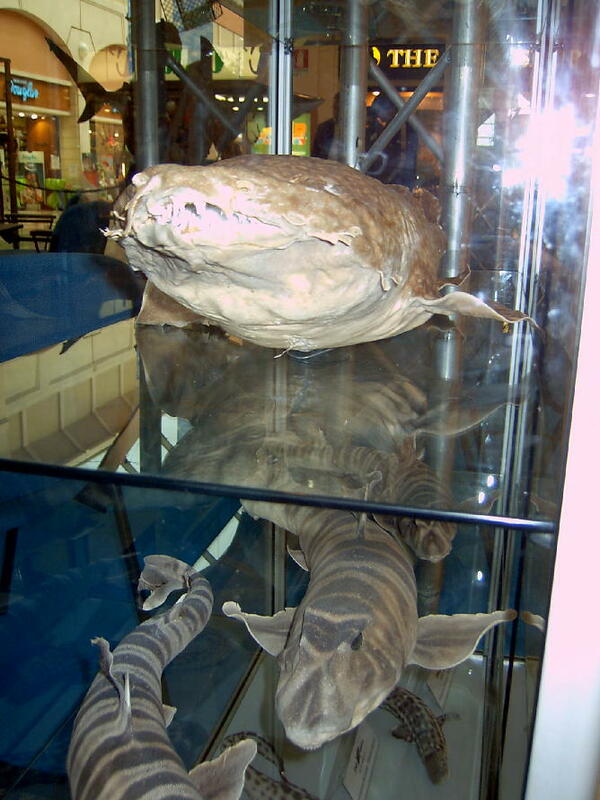 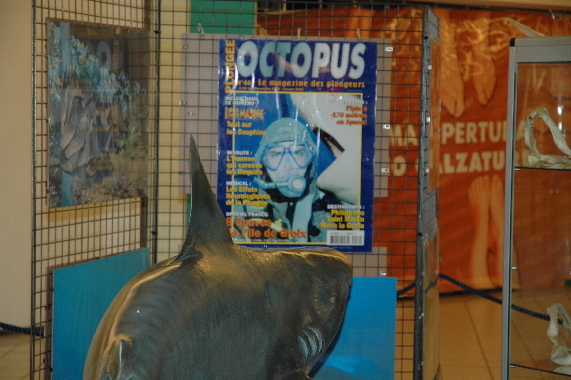 First Shark exposition in Italy. 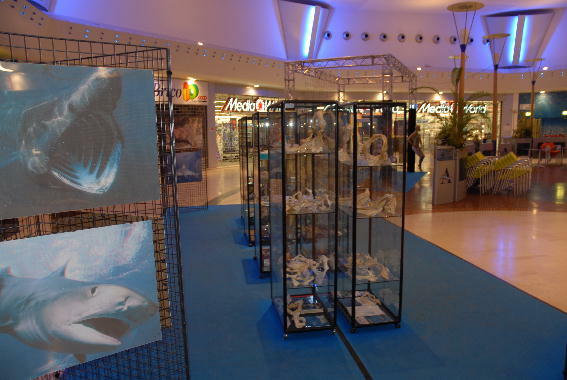 We won the first award for the best exposition inside a Shopping center in Italy. 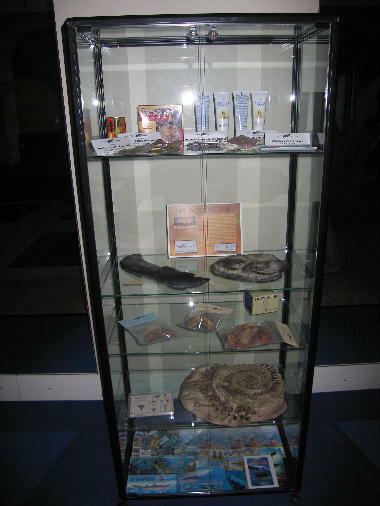 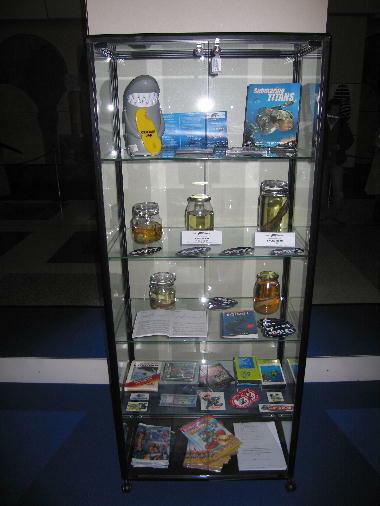 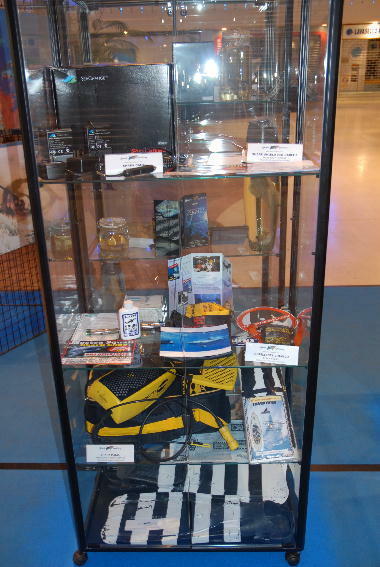 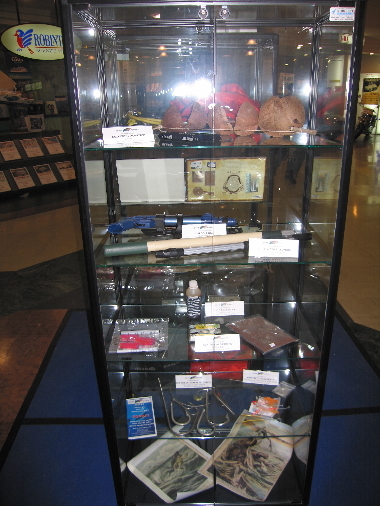 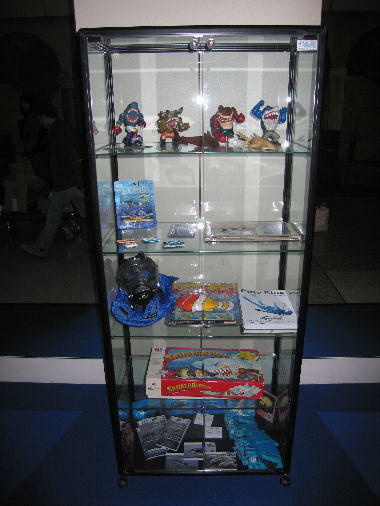 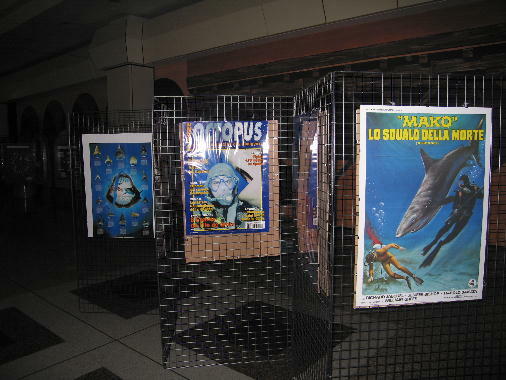 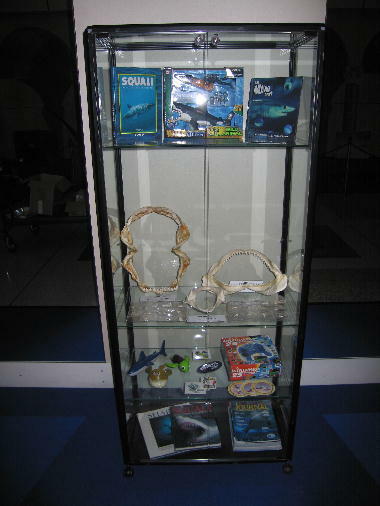 Thank you to "Network Propaganda" the agency who organize the exposition and thank you to Shark Academy Corp for the items. 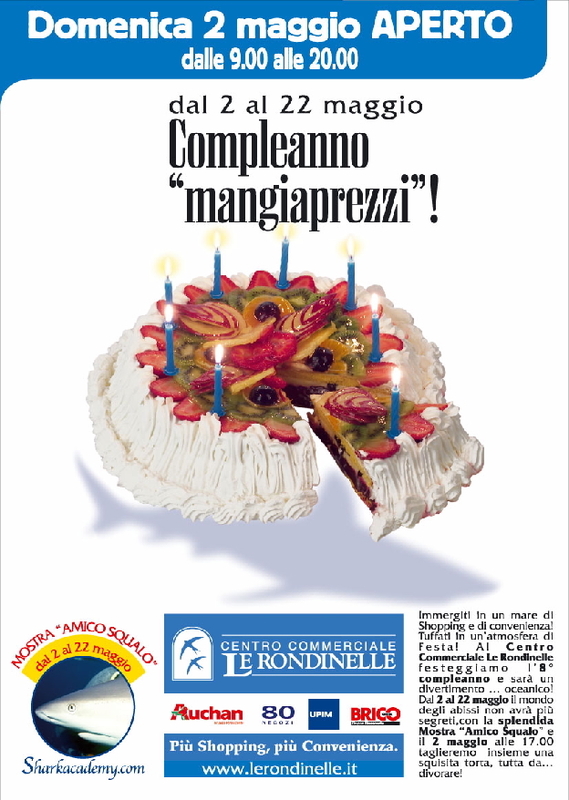 Thank you to Gildo Gavanelli, Renzo, and all the other people who make this happen. 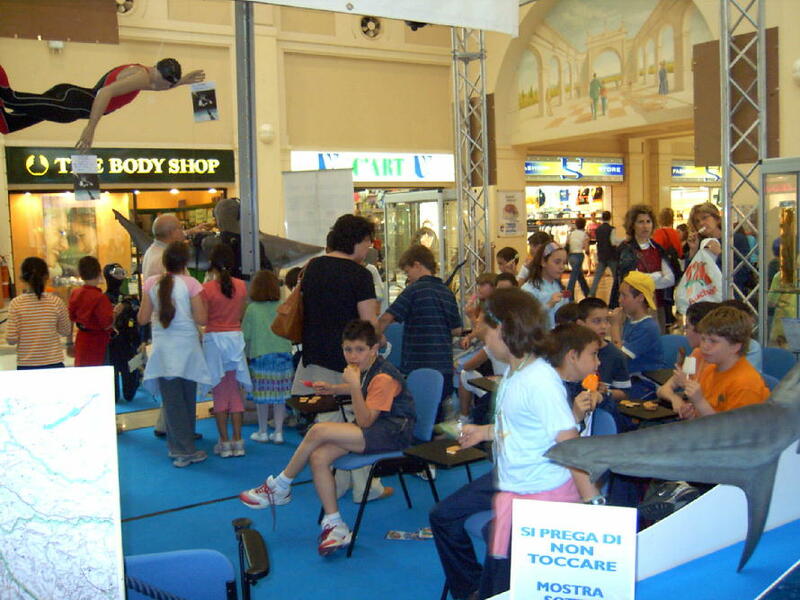 VICENZA (ITA). 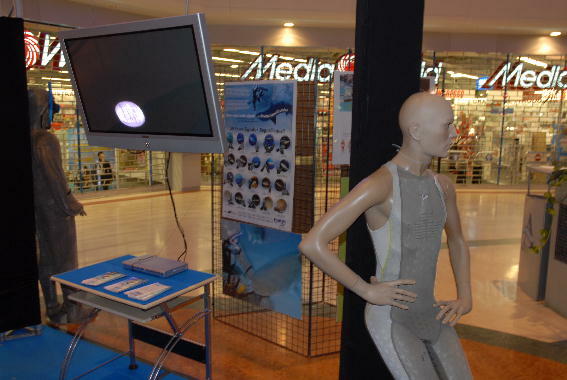 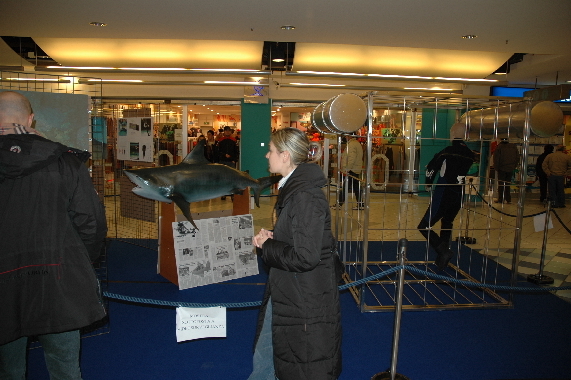 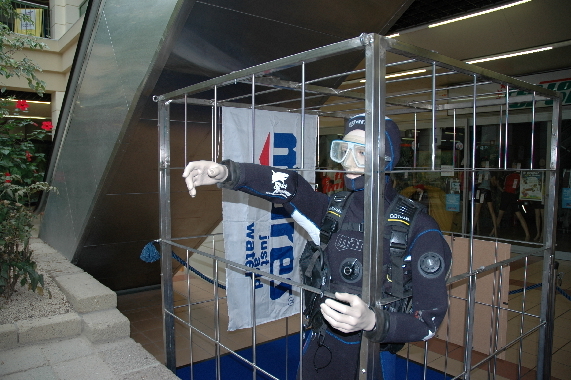 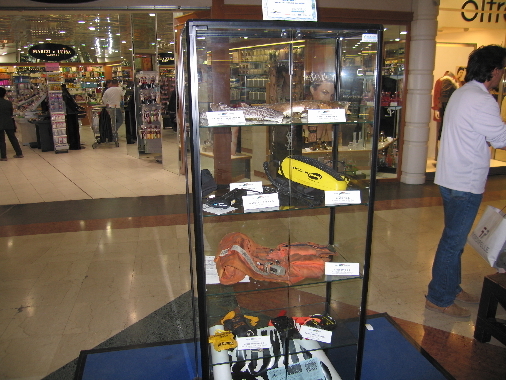 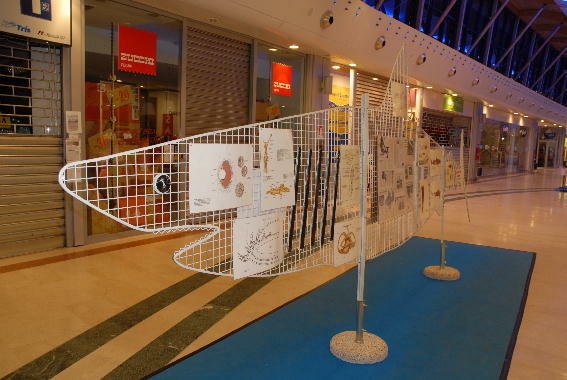 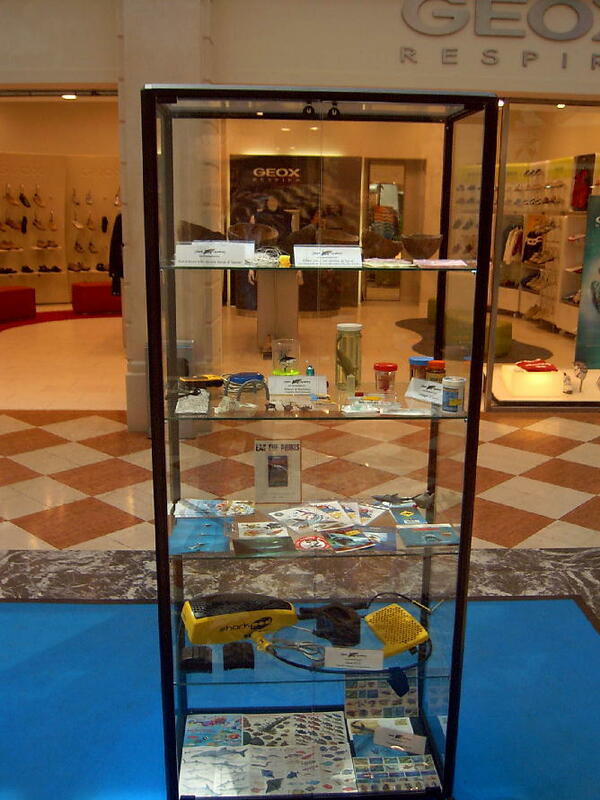 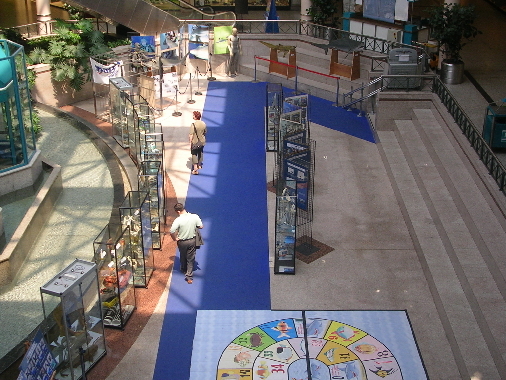 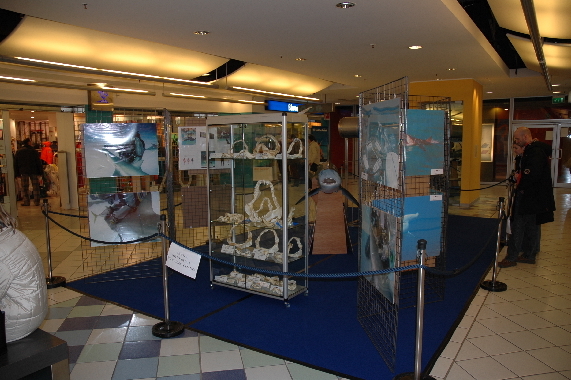 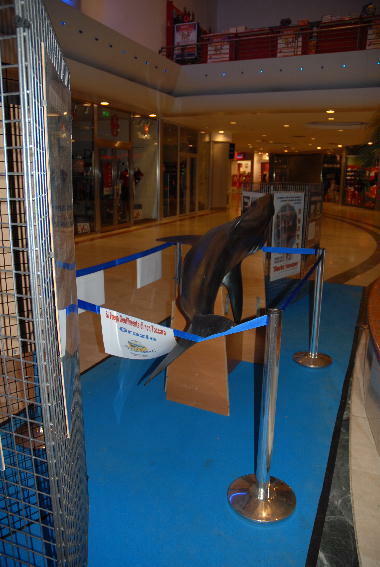 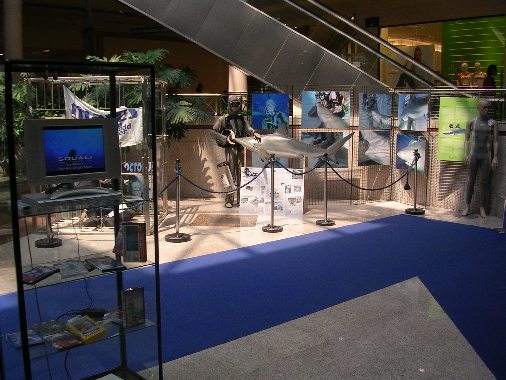 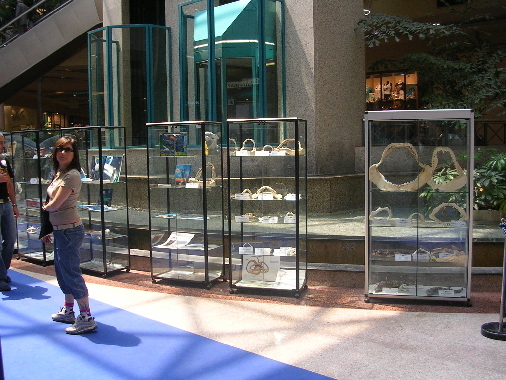 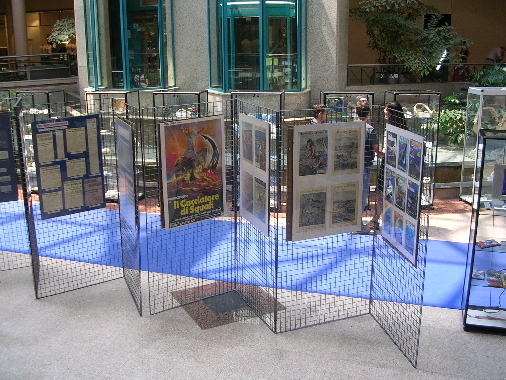 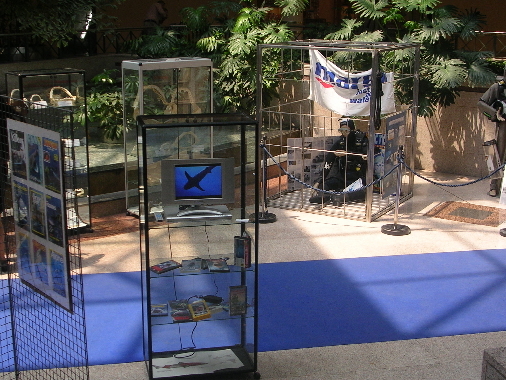 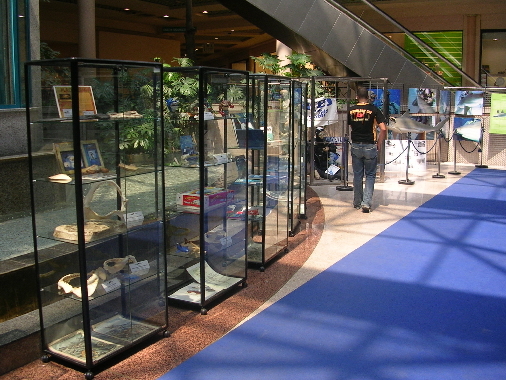 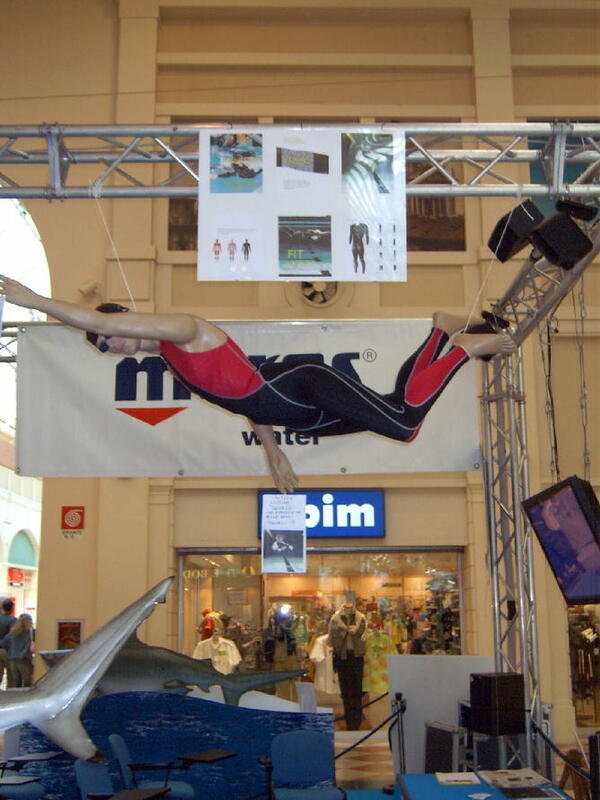 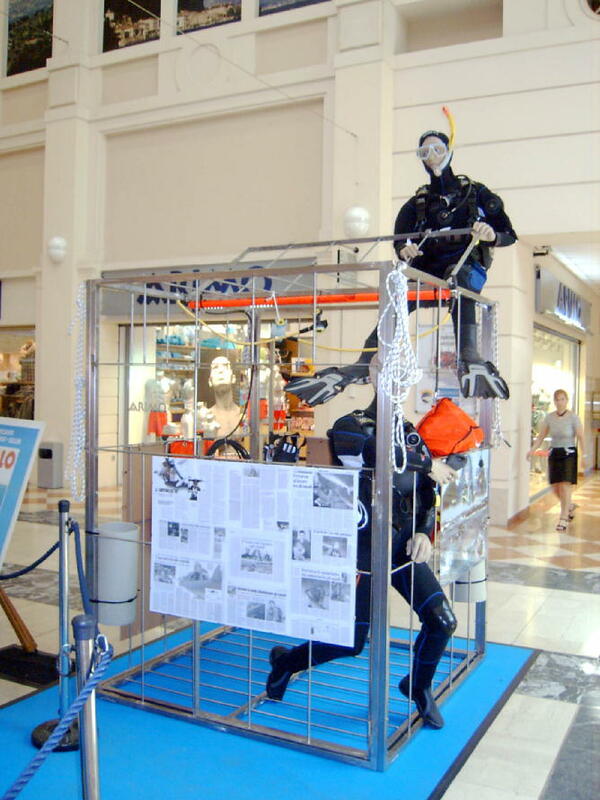 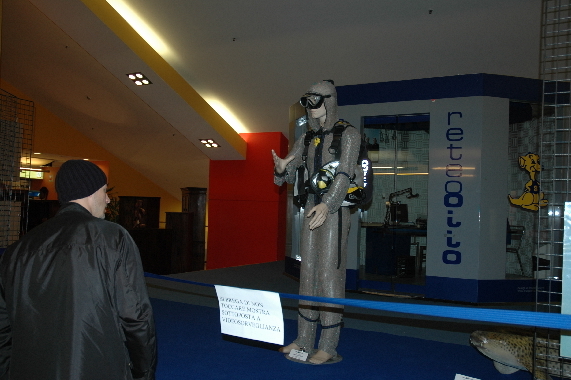 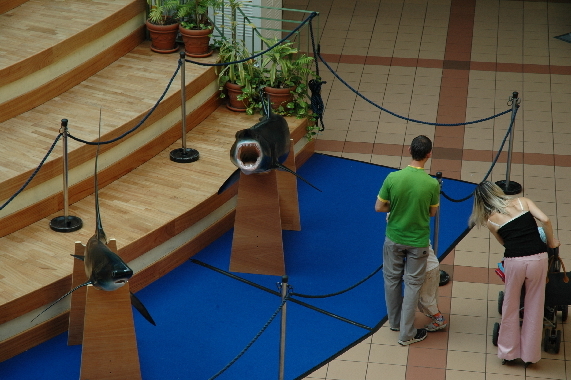 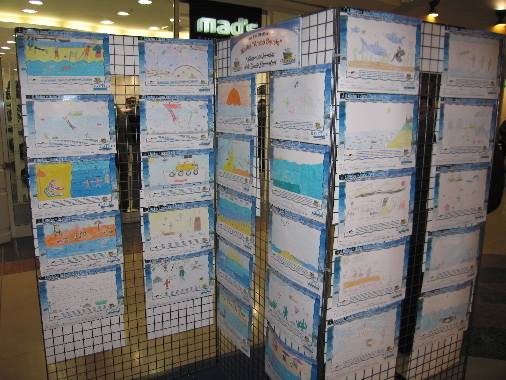 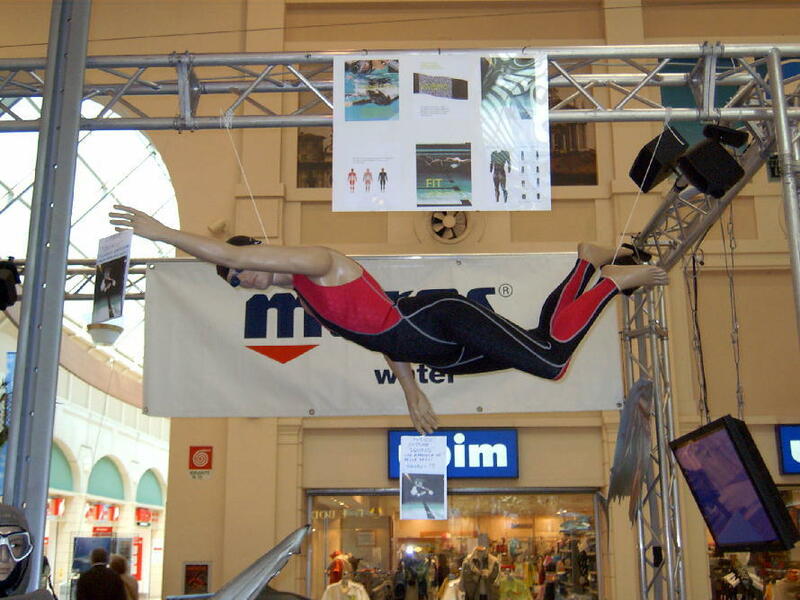 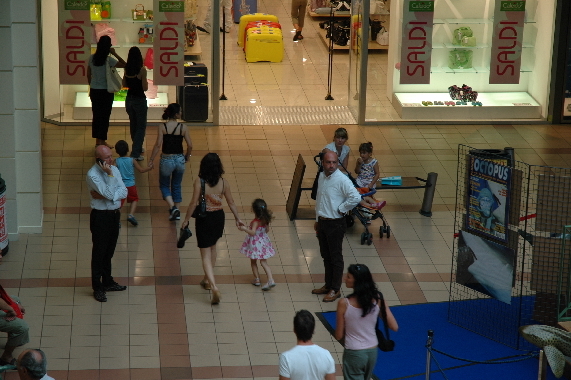 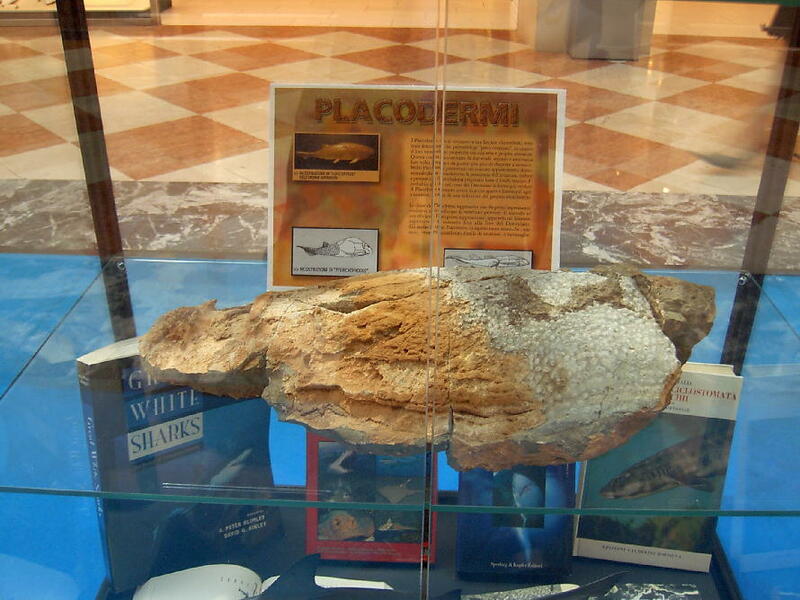 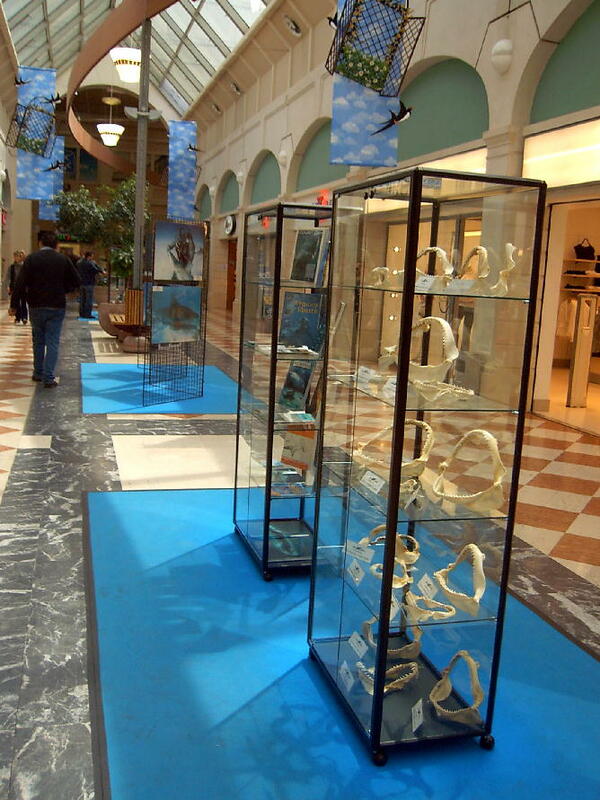 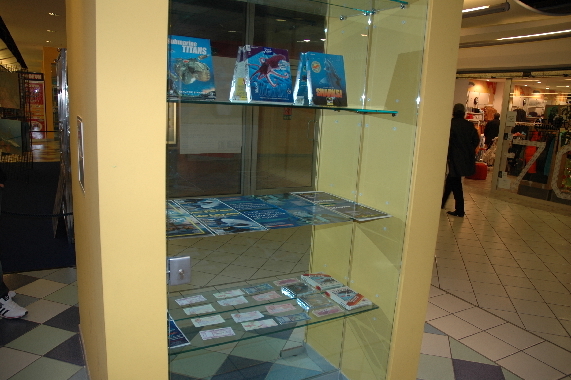 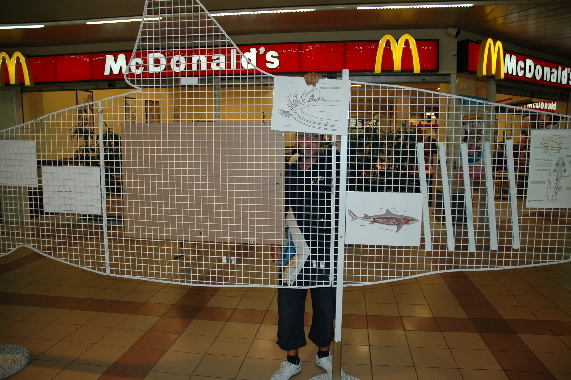 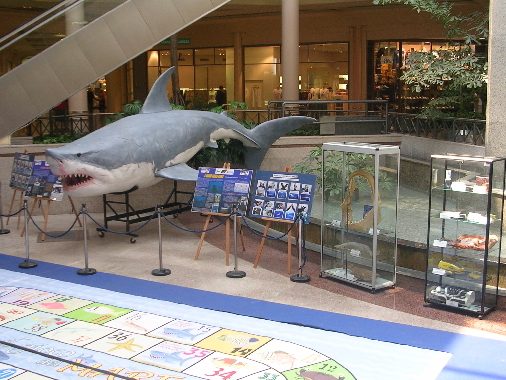 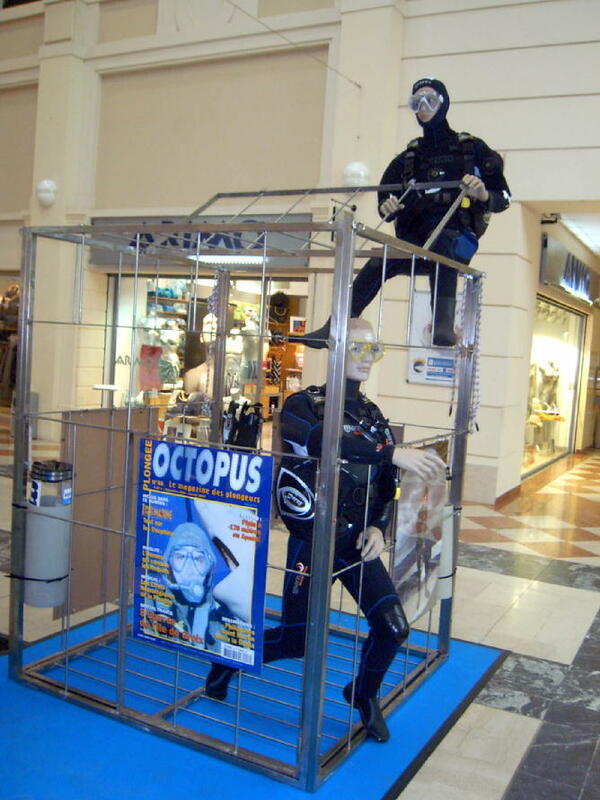 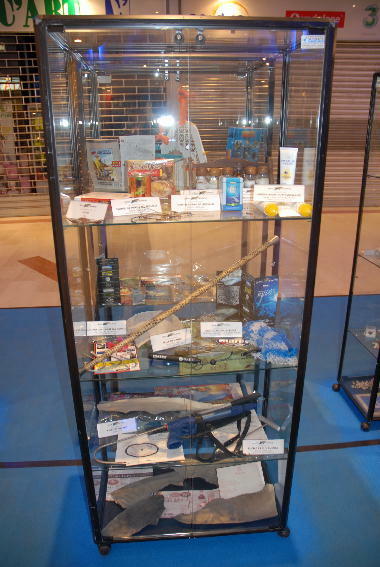 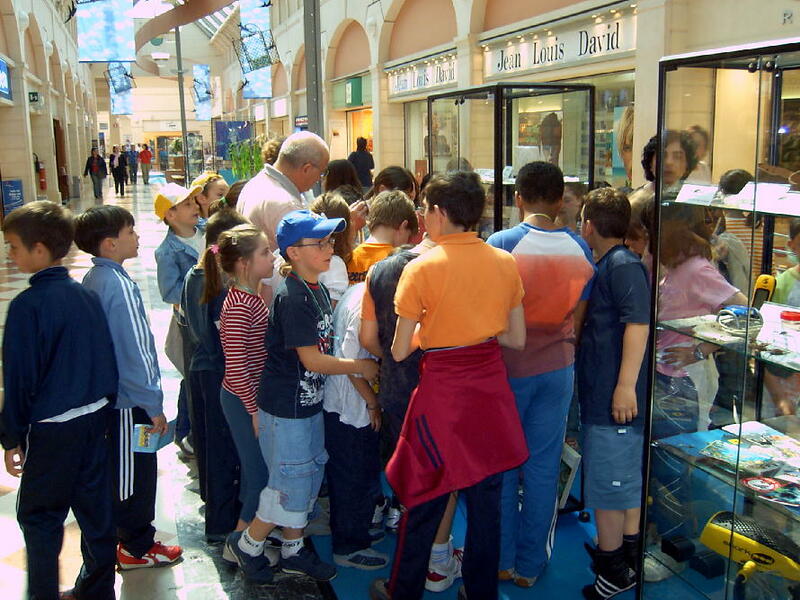 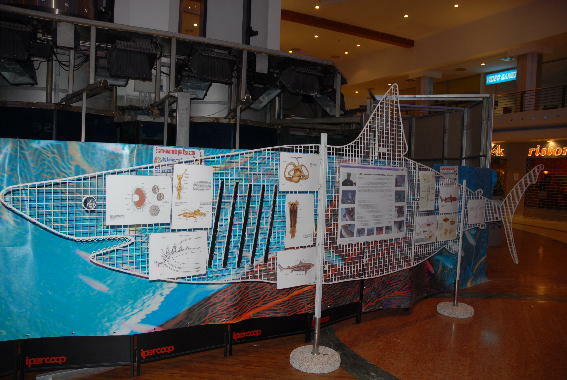 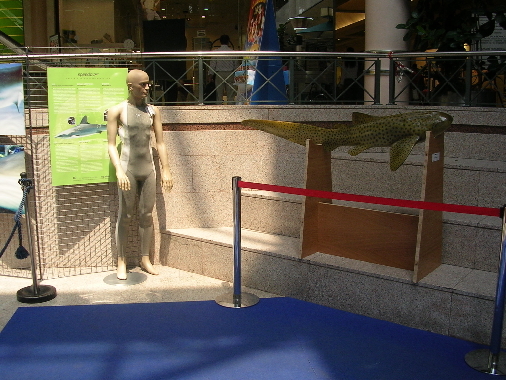 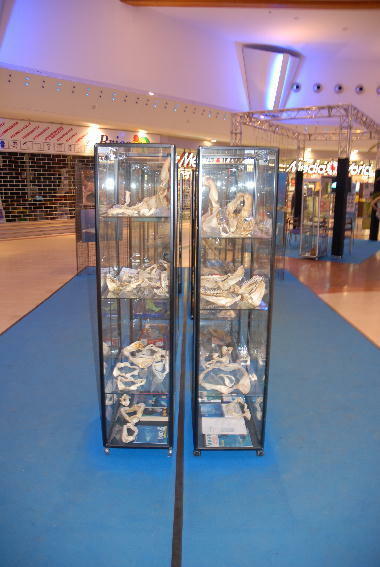 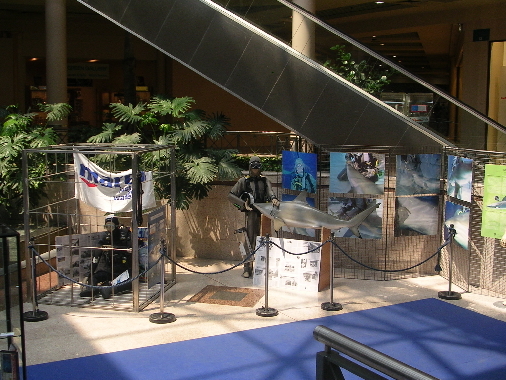 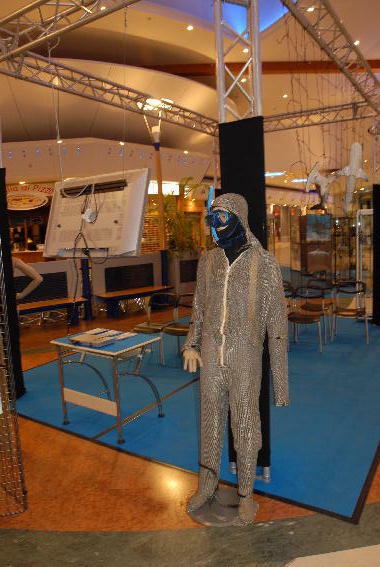 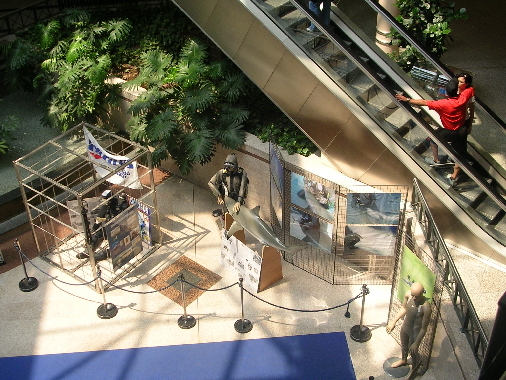 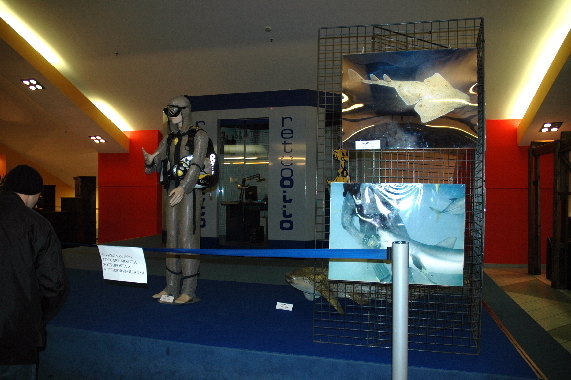 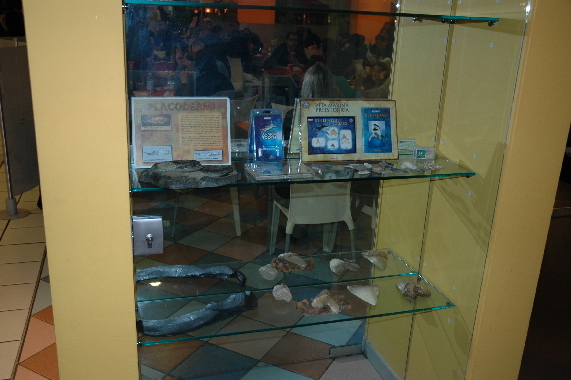 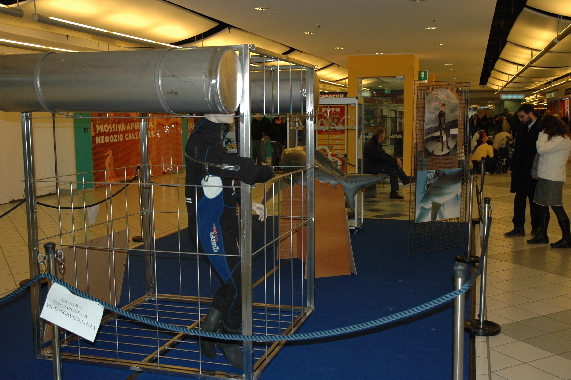 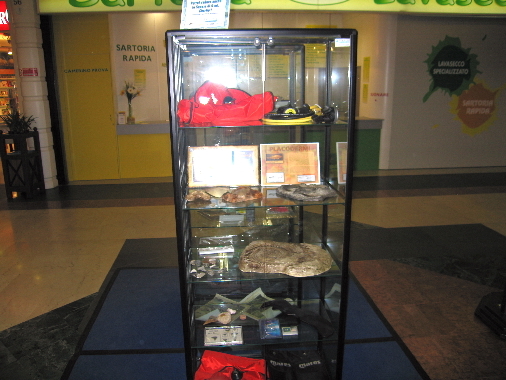 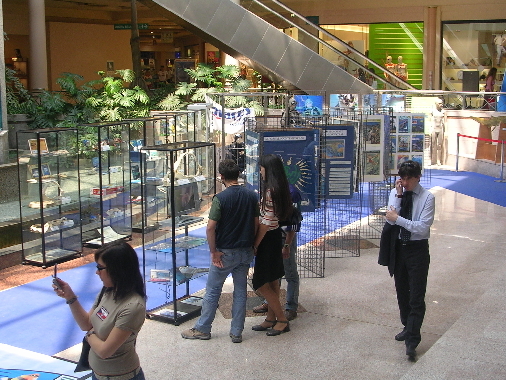 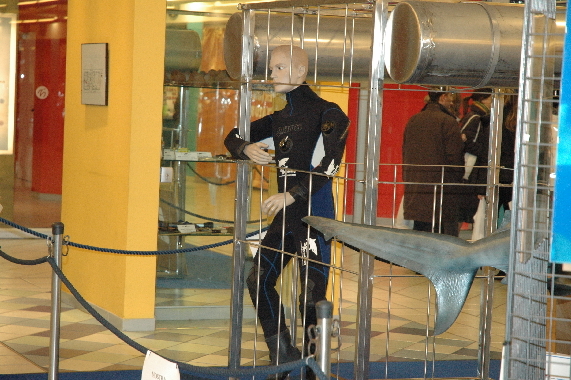 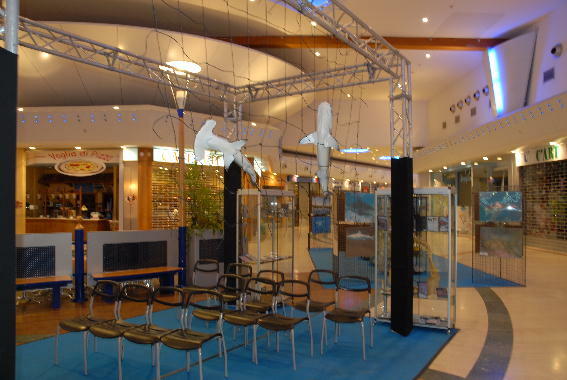 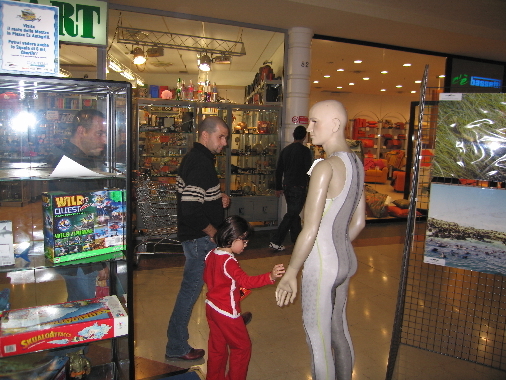 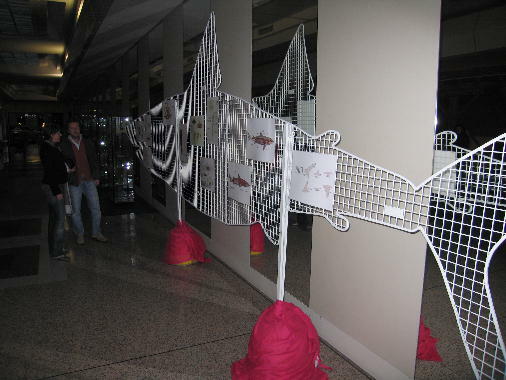 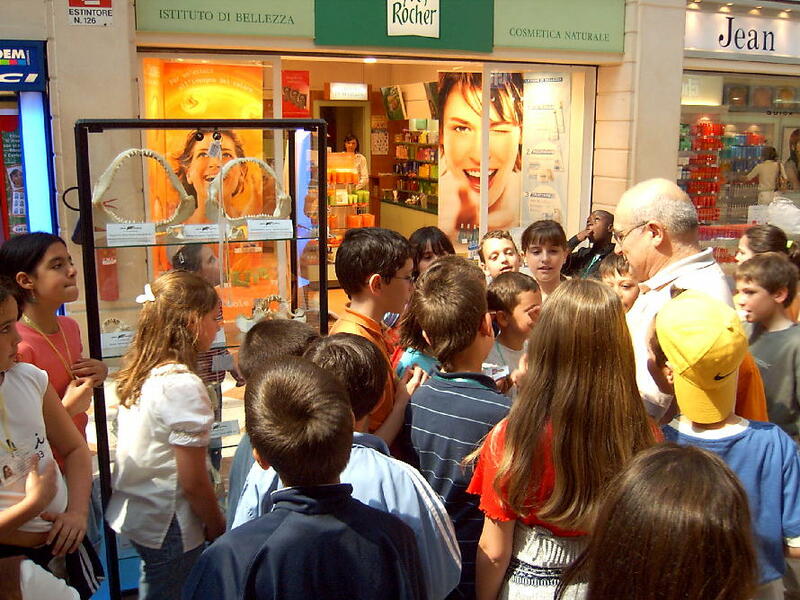 This is the second exposition inside the Vicenza Shopping center "Le Piramidi". 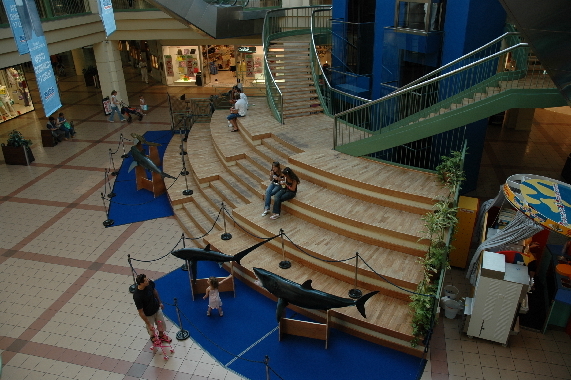 Two levels for the best exposition inside a Shopping center in Italy. 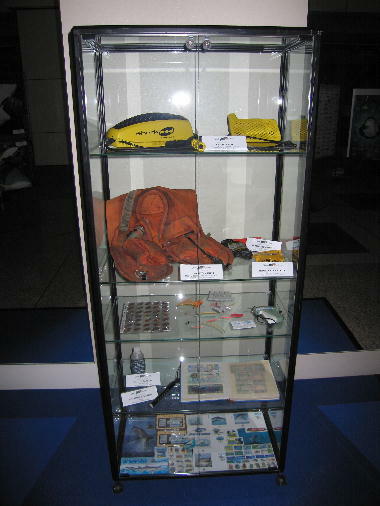 Thank you to "Network Propaganda" the agency who organize the exposition and thank you to Shark Academy Corp for the items. 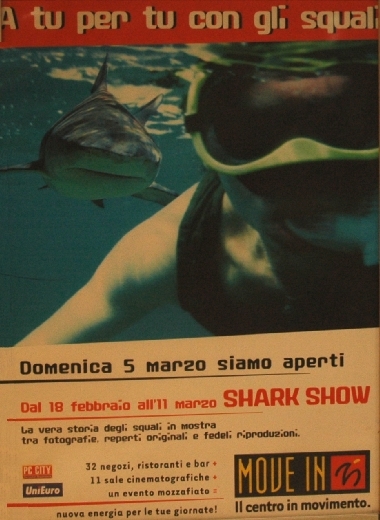 Thank you to Gildo Gavanelli, Renzo, and all the other people who make this happen. 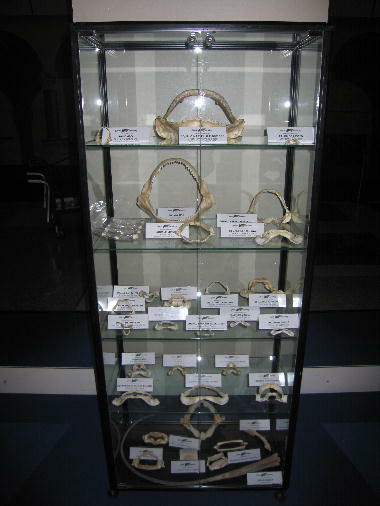 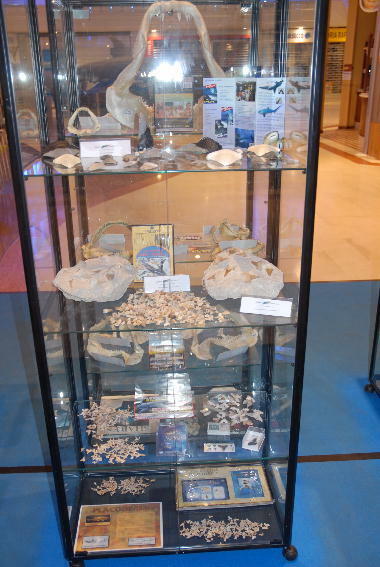 We distribute 2000 shark fossils teeth for free for kids between 8 and 14 y.o. 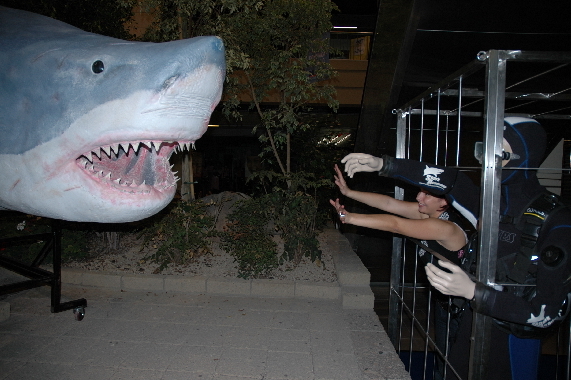 Was an amazing experience! 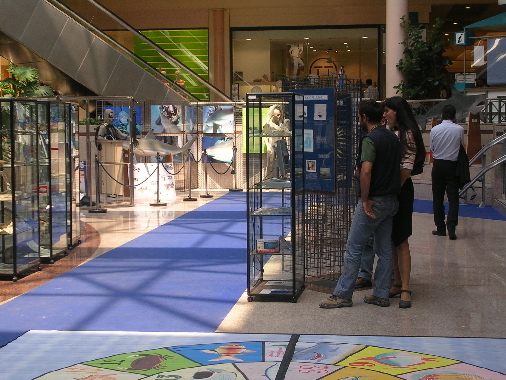 BOLOGNA (ITA). 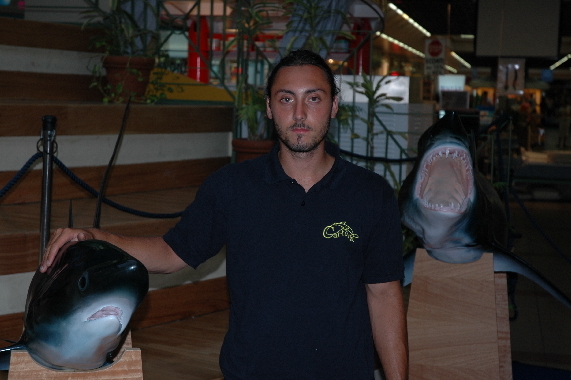 There is no two without three! 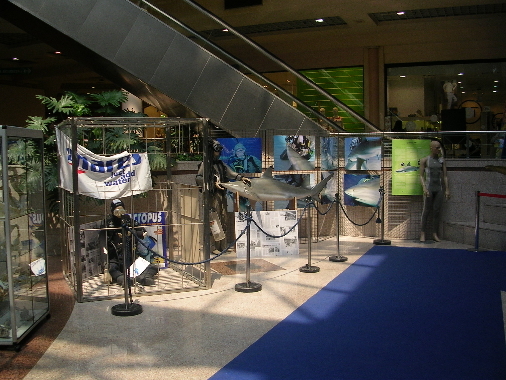 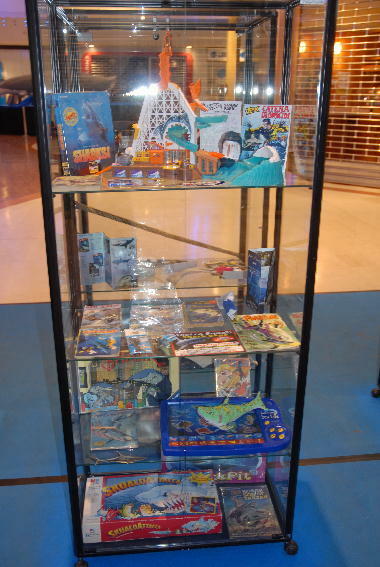 This is the third exposition inside the Bologna Shopping center "Shop Ville Gran Reno". 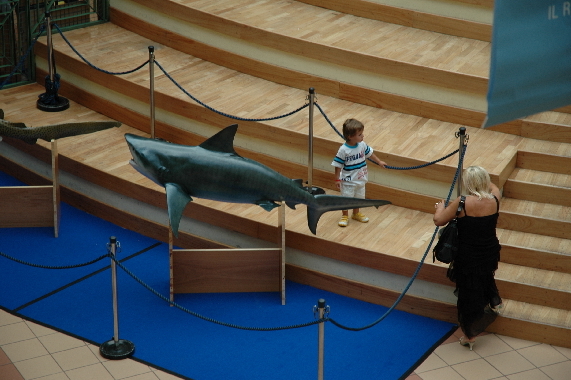 Two levels for the best exposition inside a Shopping center in Italy. 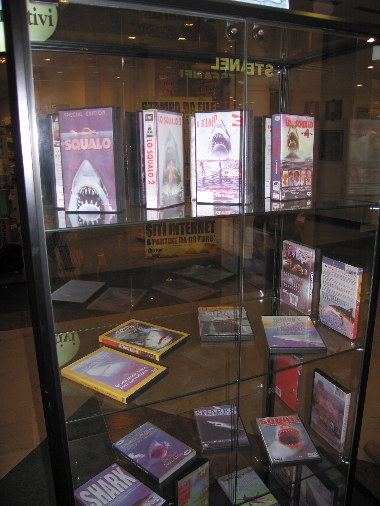 Thank you to "Network Propaganda" the agency who organize the exposition and thank you to Shark Academy Corp for the items. 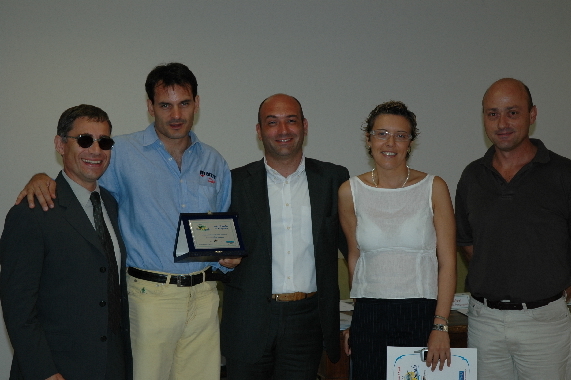 Thank you to Gildo Gavanelli, Renzo, Valerio Manfrini and all the other people who make this happen. 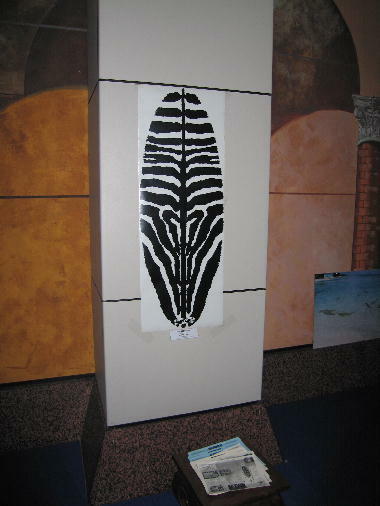 First time to expose most of the material in one single point! 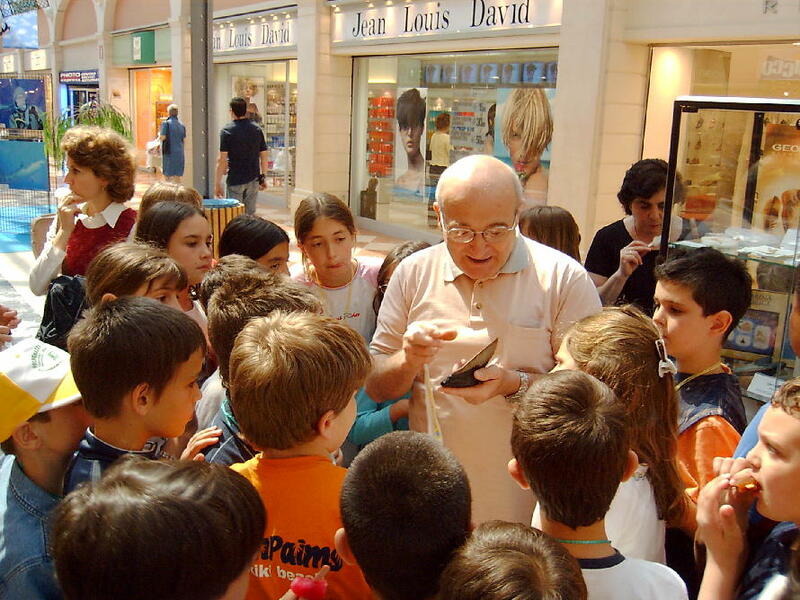 FERRARA (ITA). 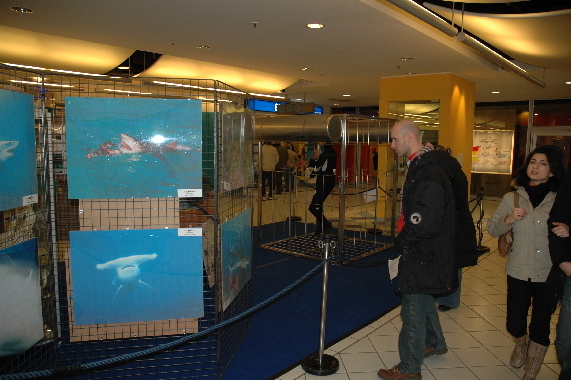 Exposition number four!!! 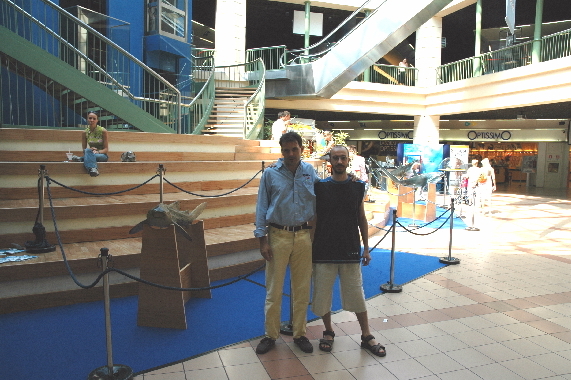 Today we are in Ferrara my birth town...Shopping center "Il Castello". 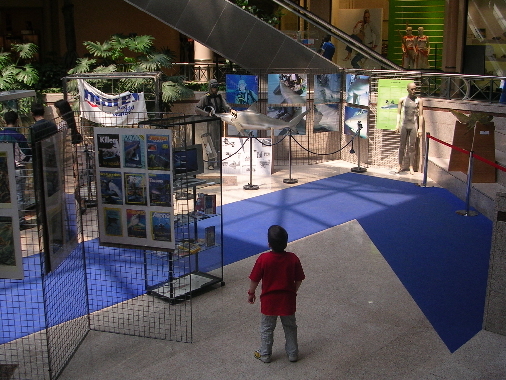 Big exposition in the main entrance more than 30000 people in one month, big success in the North Italy. 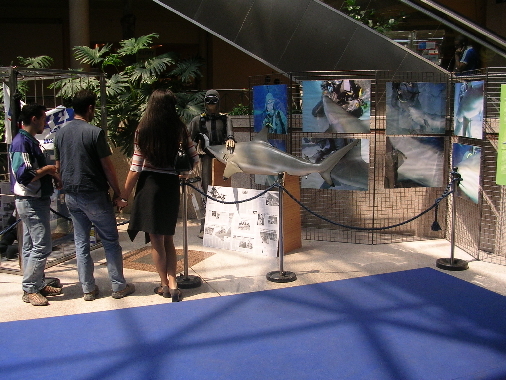 Thank you to "Network Propaganda" the agency who organize the exposition and thank you to Shark Academy Corp for the items. 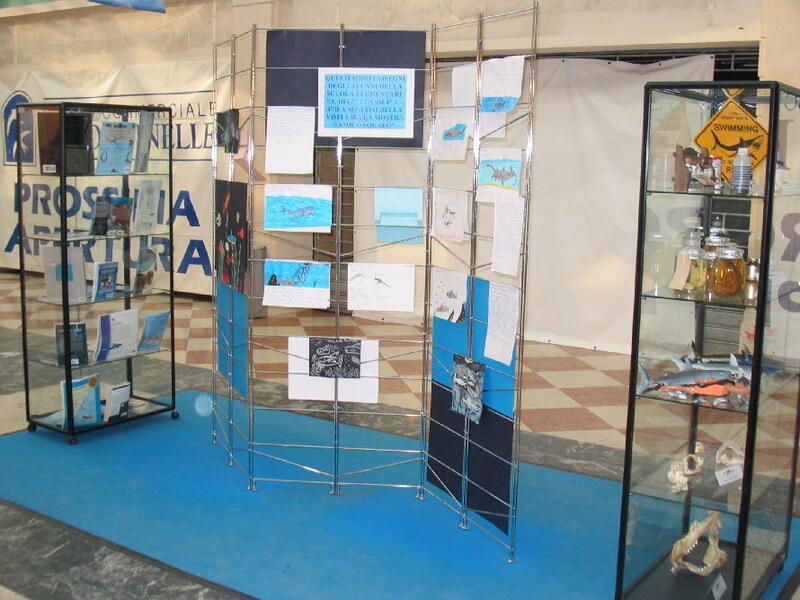 Thank you to Gildo Gavanelli, Renzo, Valerio Manfrini, Filippo Forniti and all the other people who make this happen. 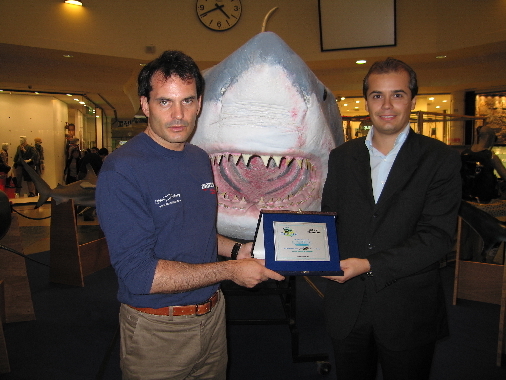 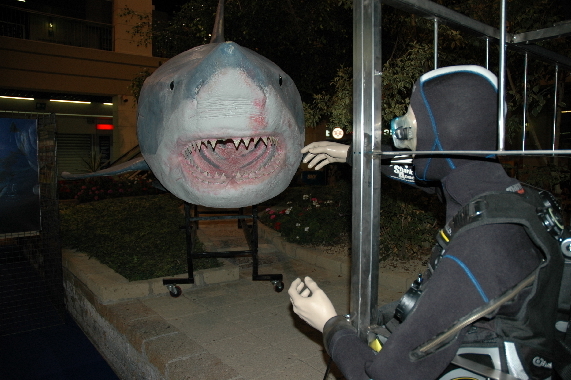 We win one other awards for the shark education and protection. 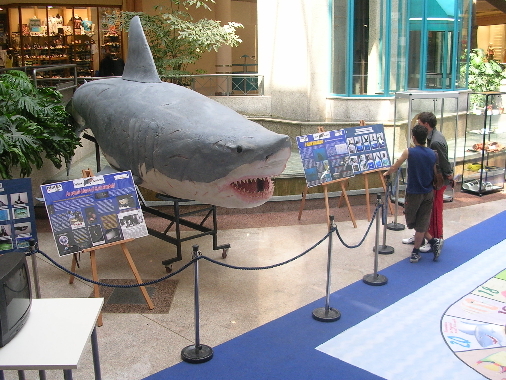 TORINO (ITA). 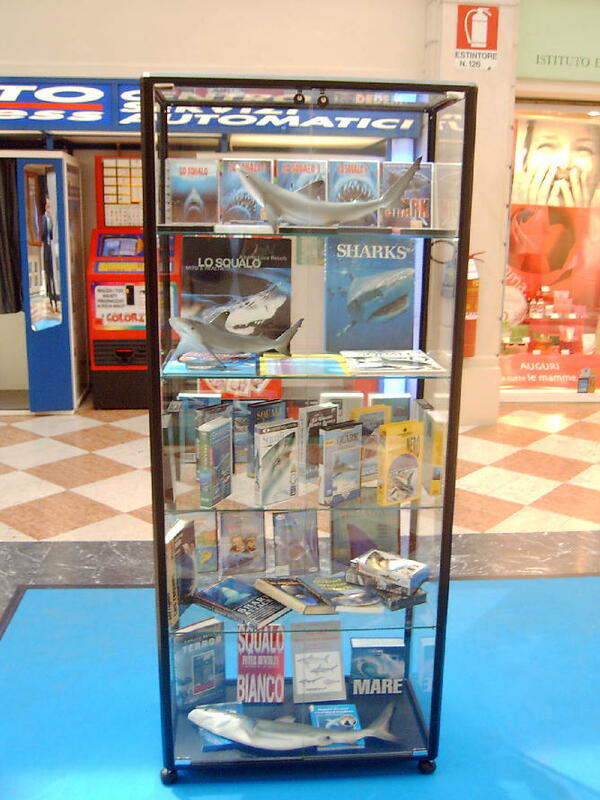 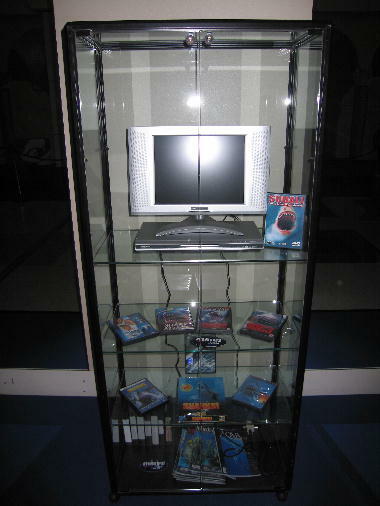 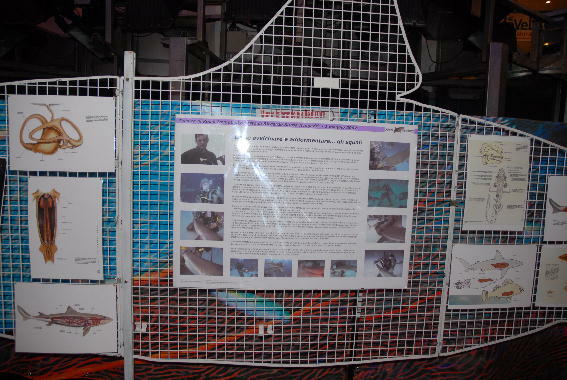 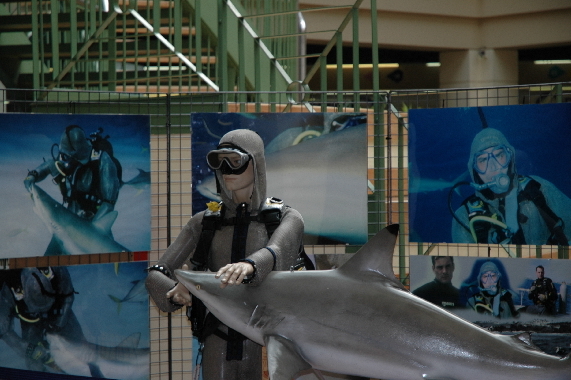 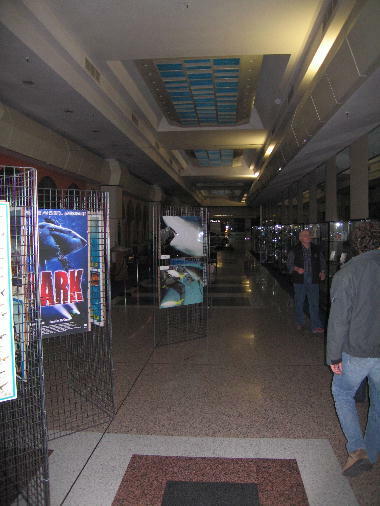 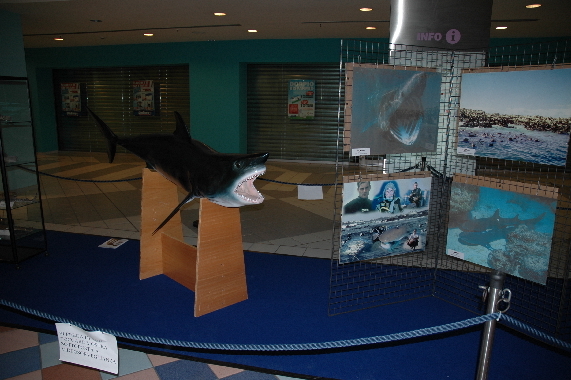 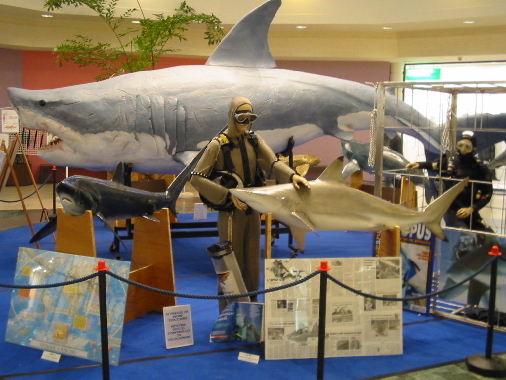 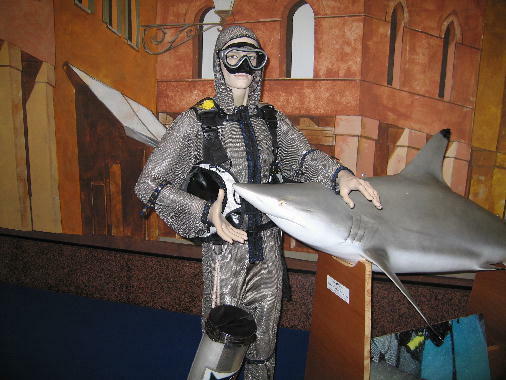 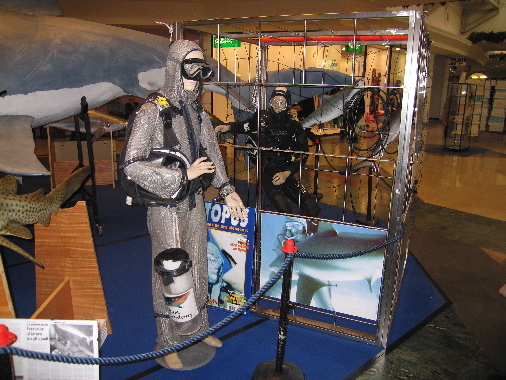 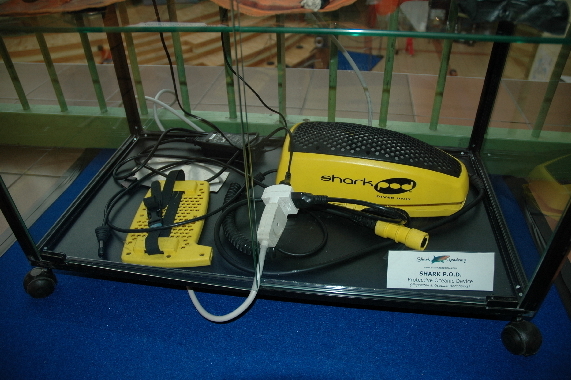 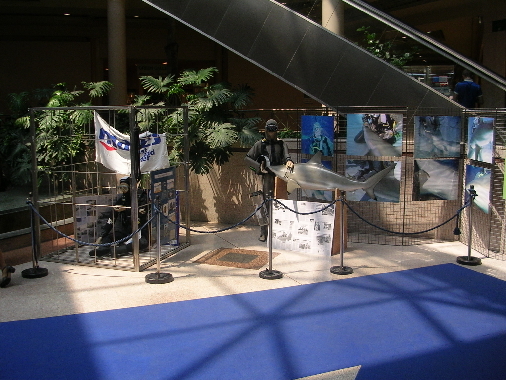 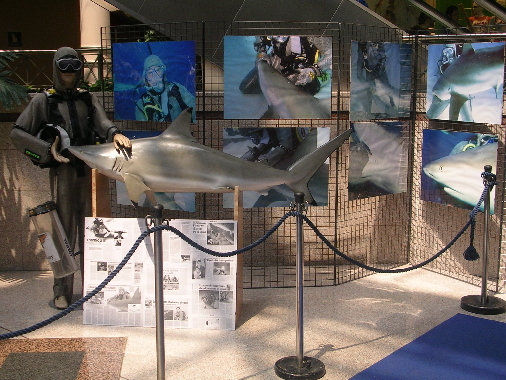 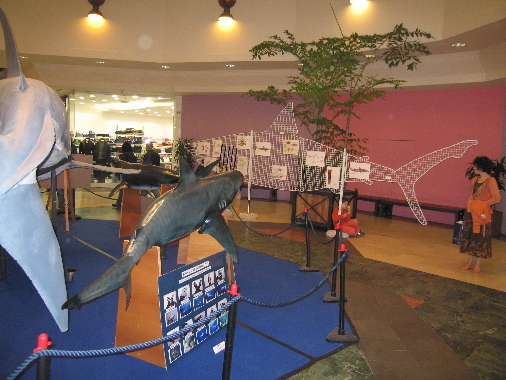 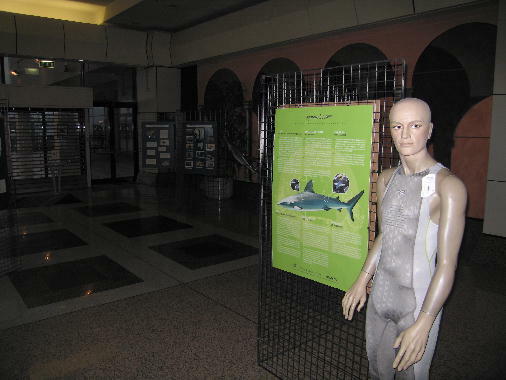 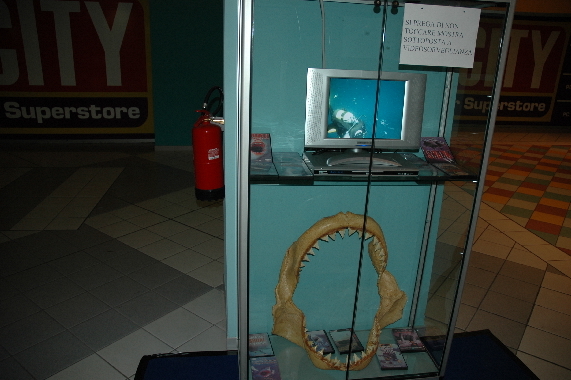 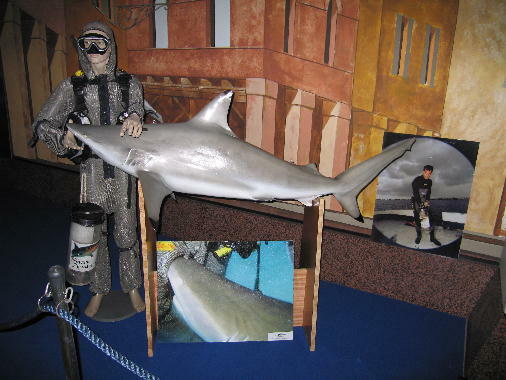 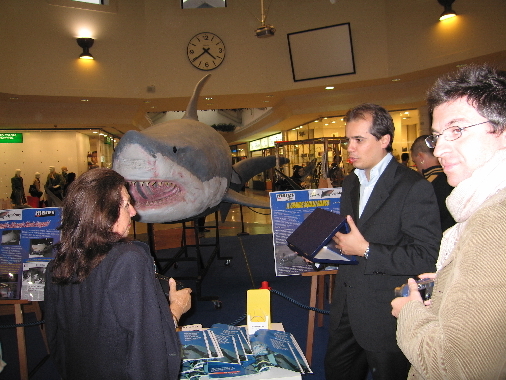 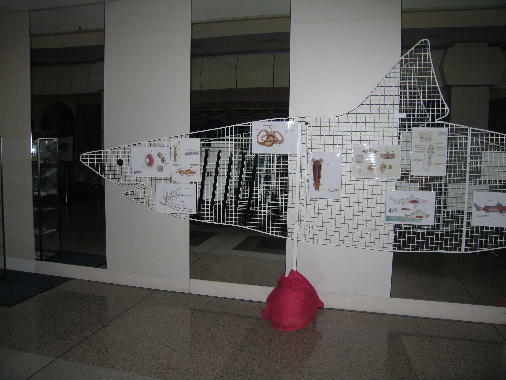 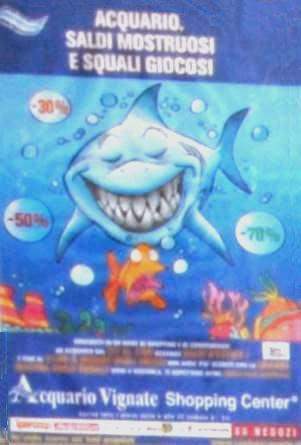 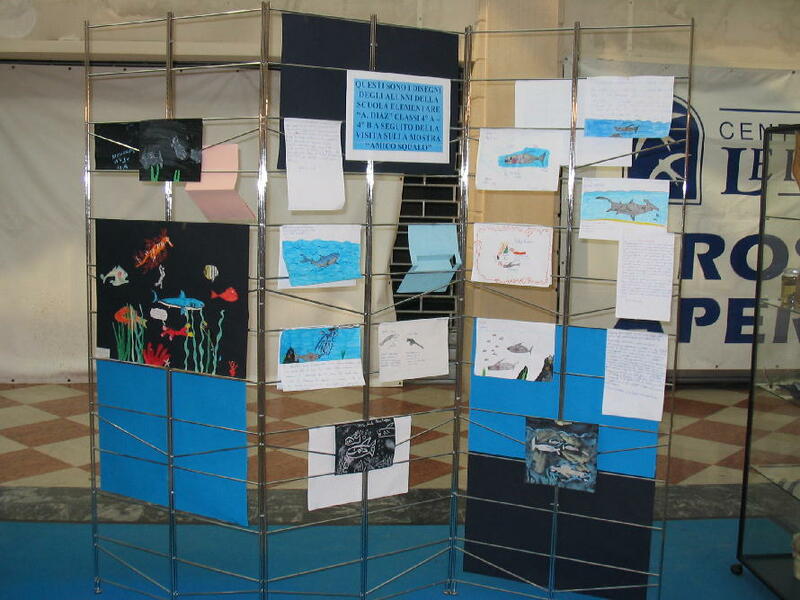 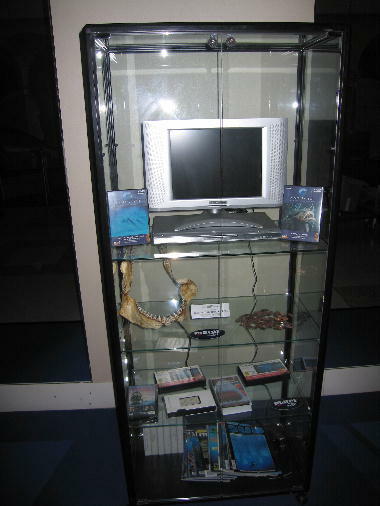 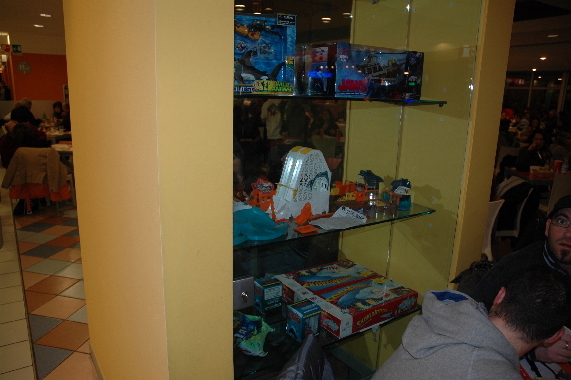 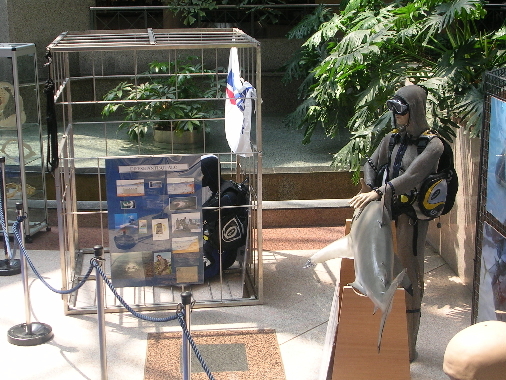 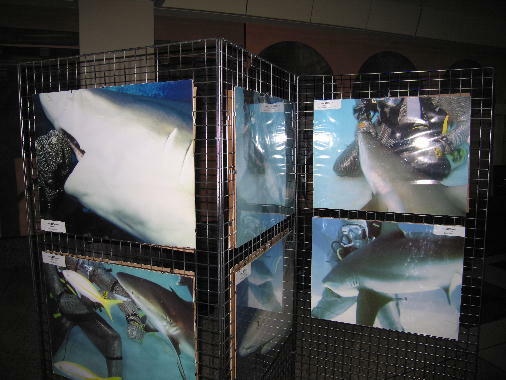 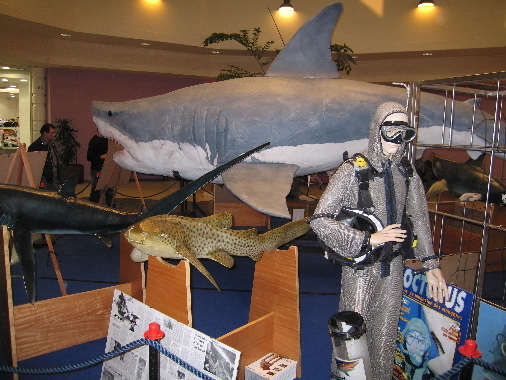 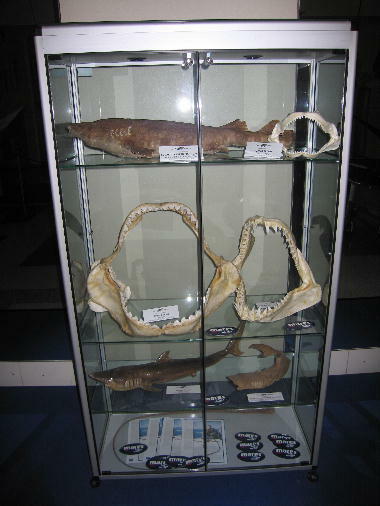 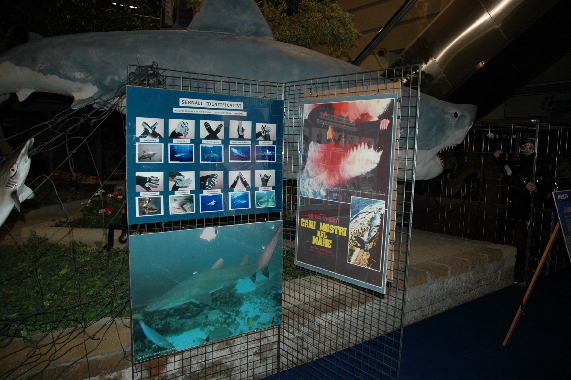 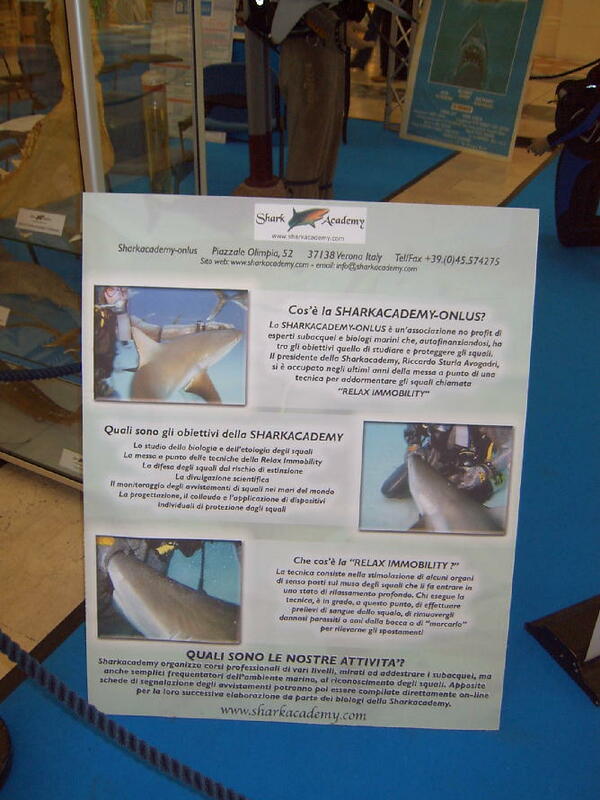 Shark Academy Corp exposition in North West of Italy. 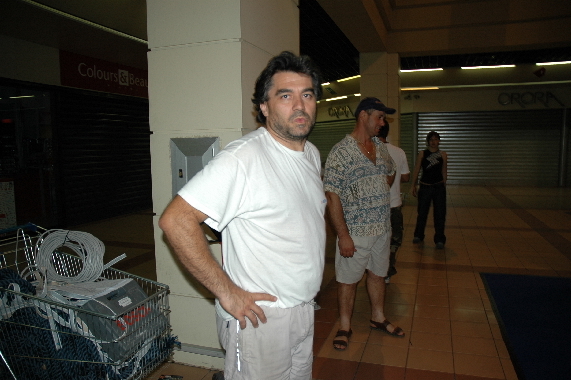 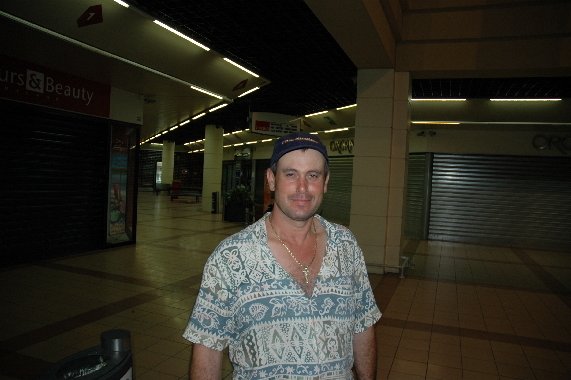 Shopping center "Le Gru". 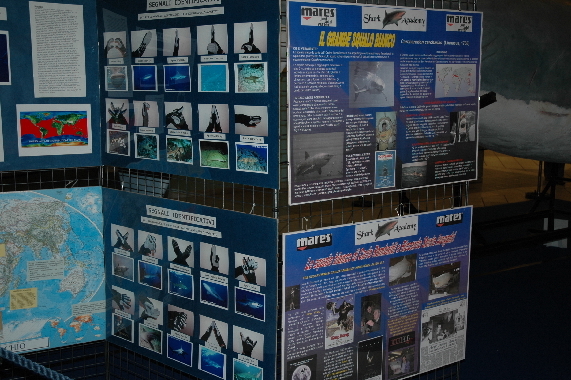 Thank you to "Network Propaganda" the agency who organize the exposition and thank you to Shark Academy Corp for the items. 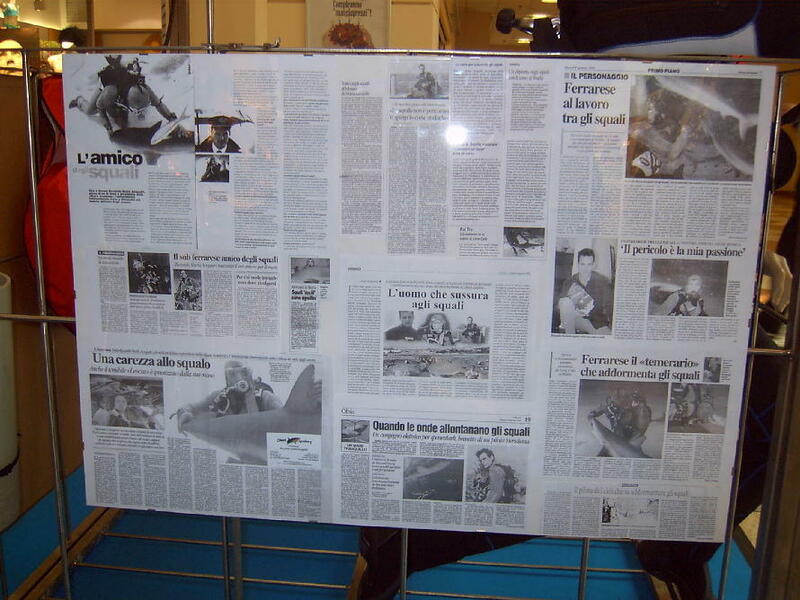 Thank you to, Renzo, Fabrizio Gioelli, and all the other people who make this happen. 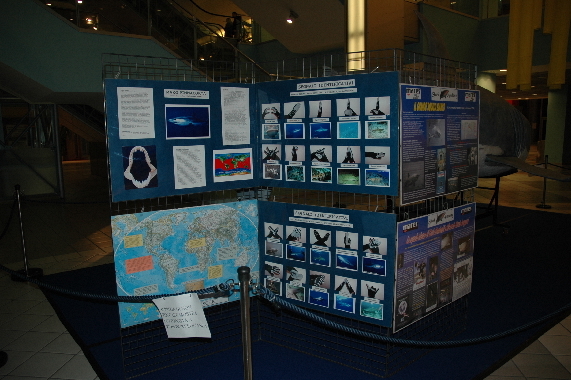 The exposition was made at lower lever in main entrance and everything in one place. 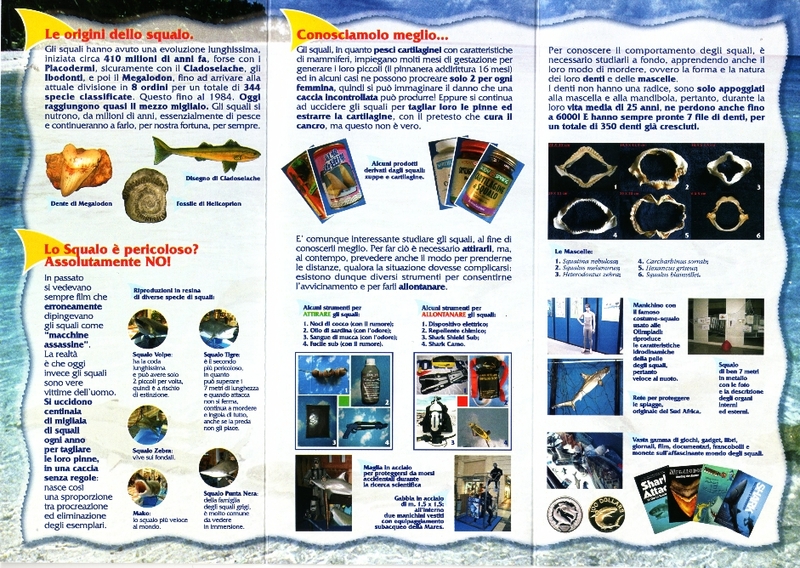 VIGNATE (ITA). 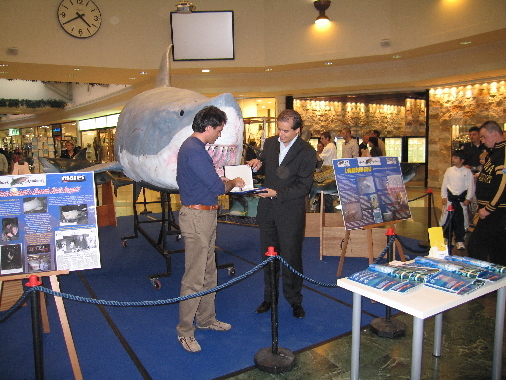 Shark Academy Corp exposition in North West of Italy. 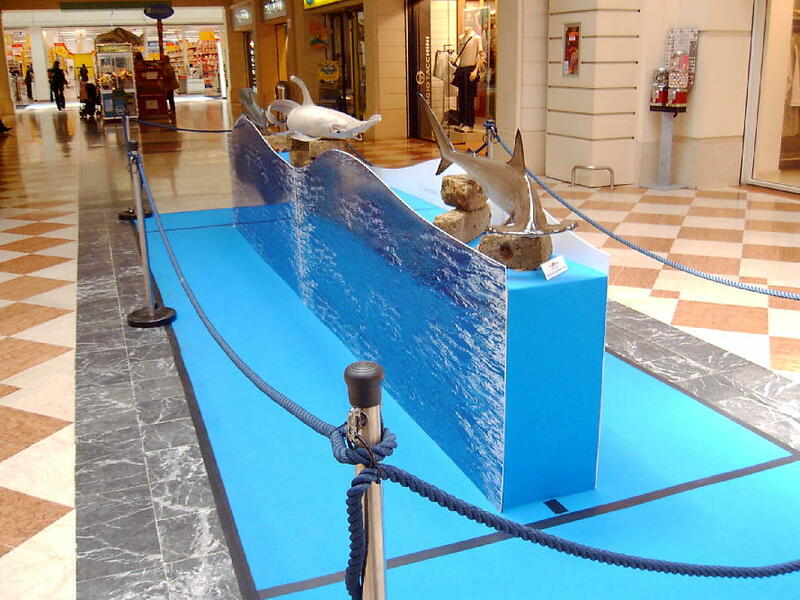 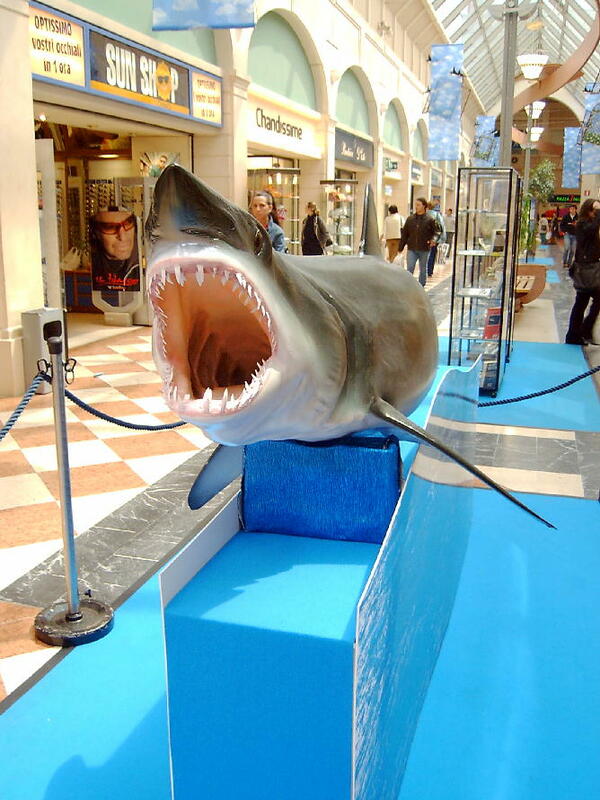 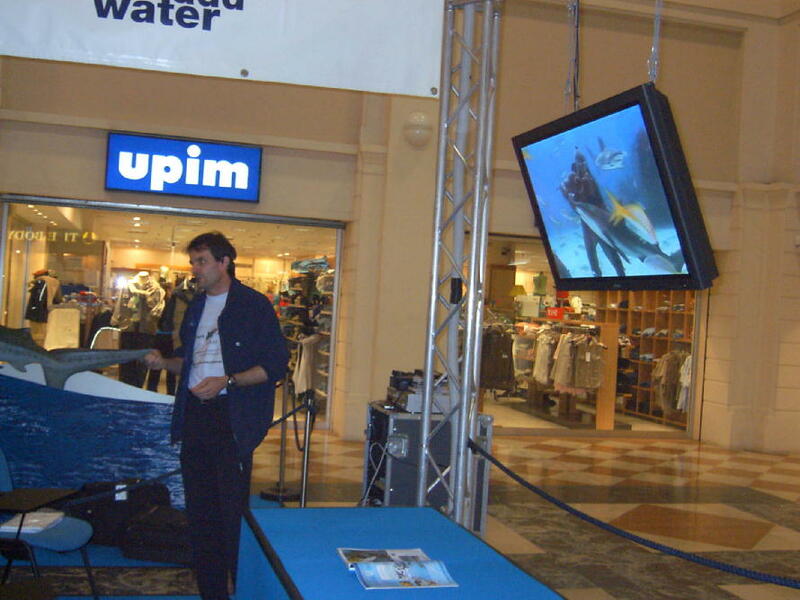 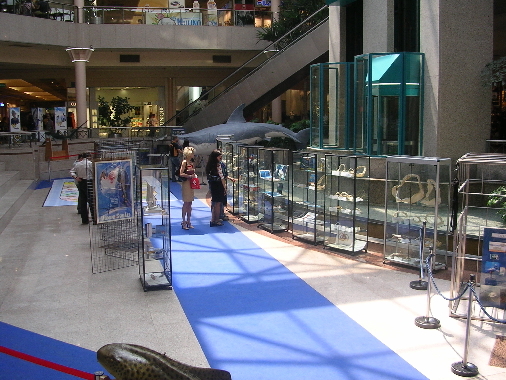 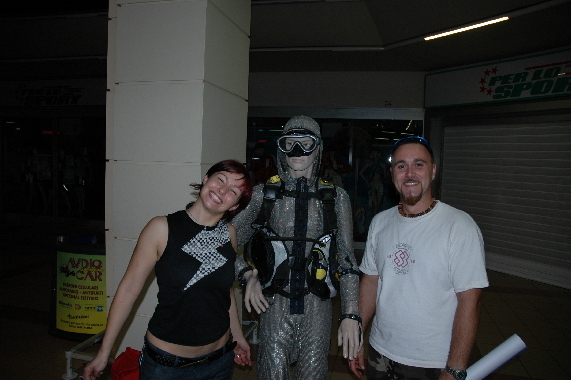 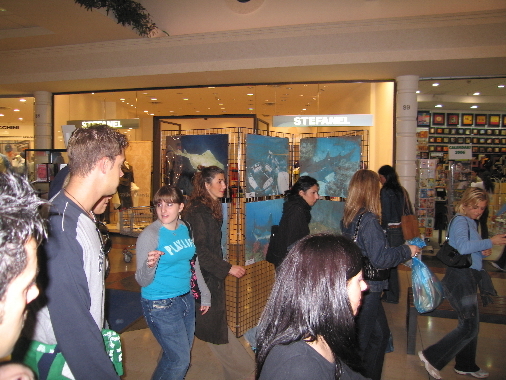 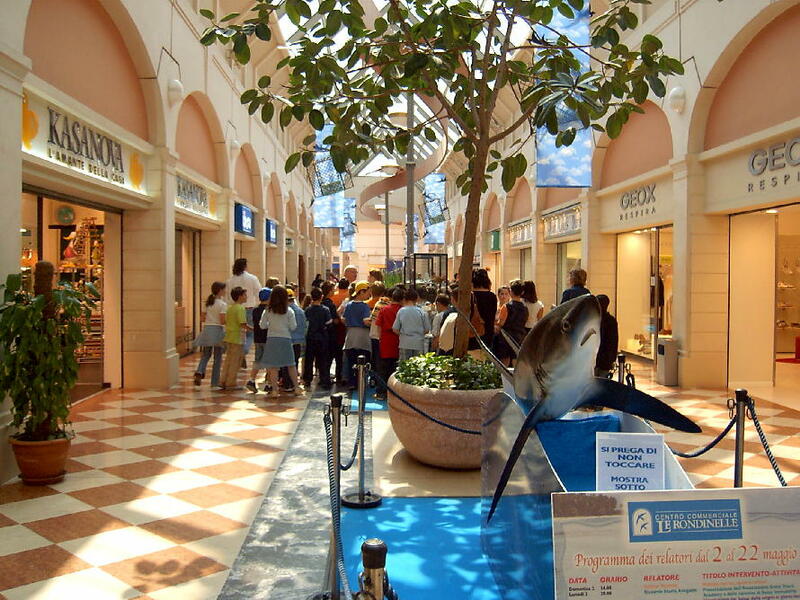 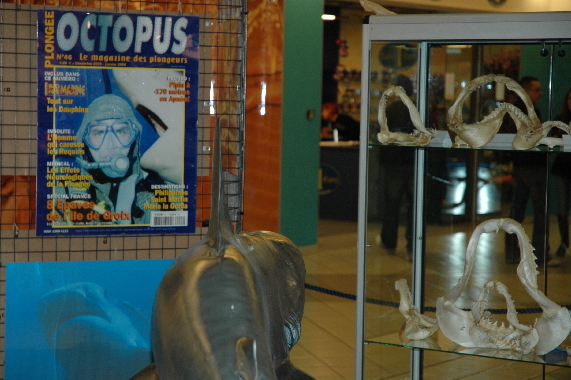 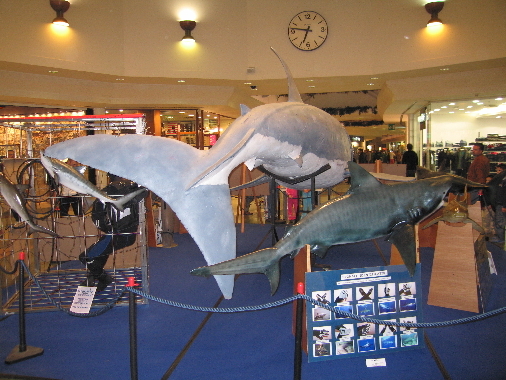 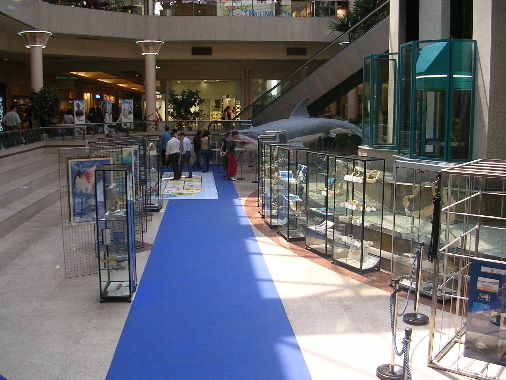 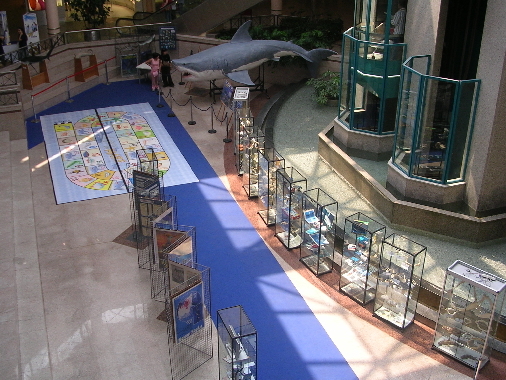 Shopping center "L'acquario". 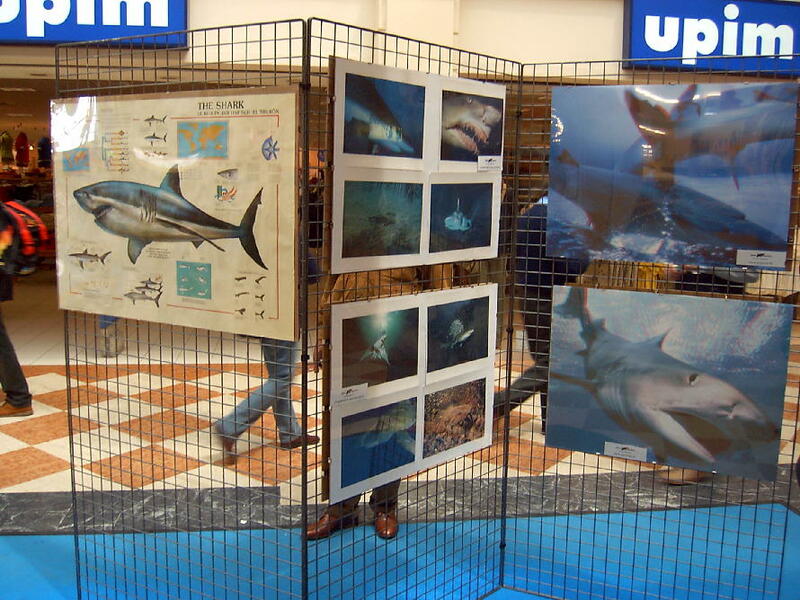 Thank you to "Network Propaganda" the agency who organize the exposition and thank you to Shark Academy Corp for the items. 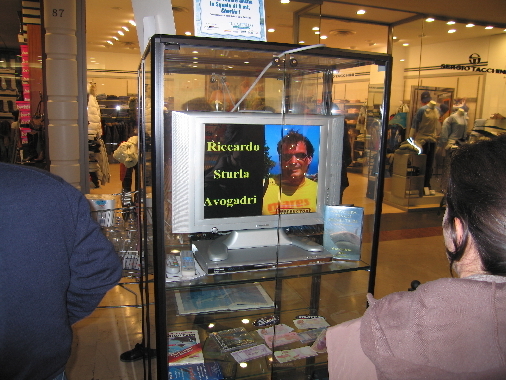 Thank you to, Renzo, Birtilla, Fabrizio, Romano, and all the other people who make this happen. 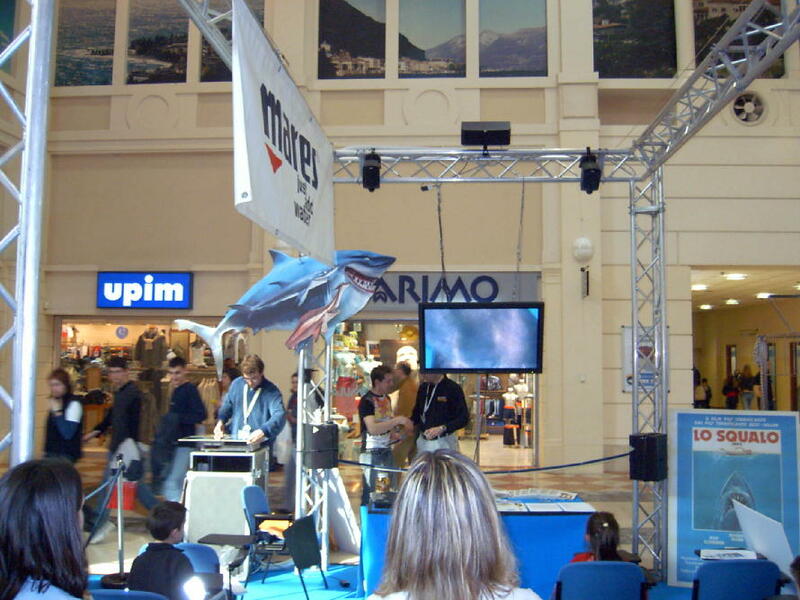 MALPENSA (ITA). 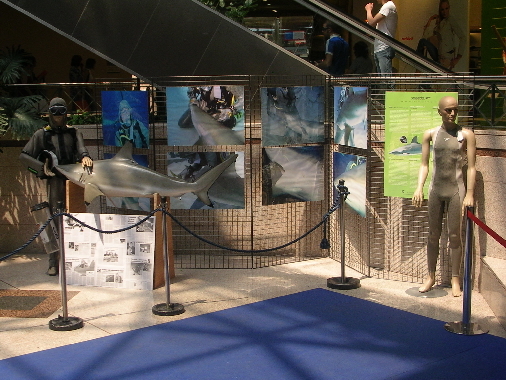 Shark Academy Corp exposition in North West of Italy. 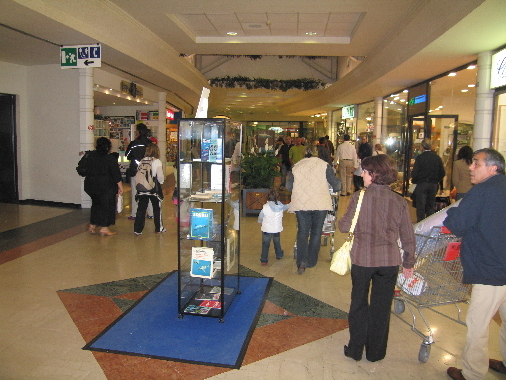 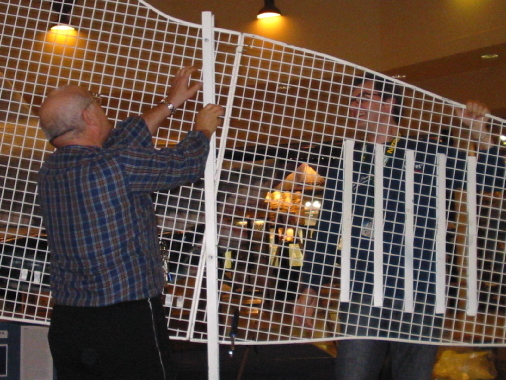 Shopping center "Move in". 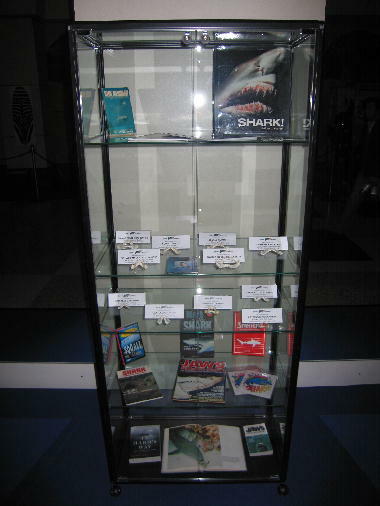 Thank you to "Network Propaganda" the agency who organize the exposition and thank you to Shark Academy Corp for the items. 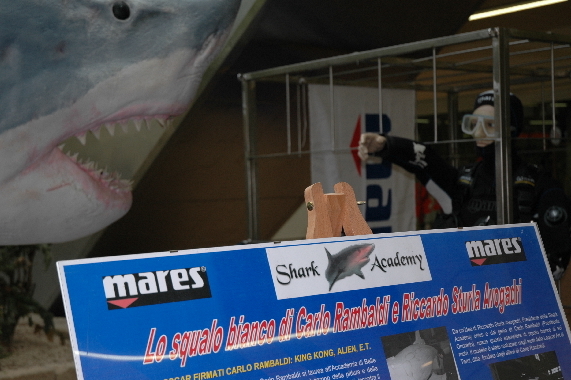 Thank you to, Renzo, Mauro, Romano and all the other people who make this happen.